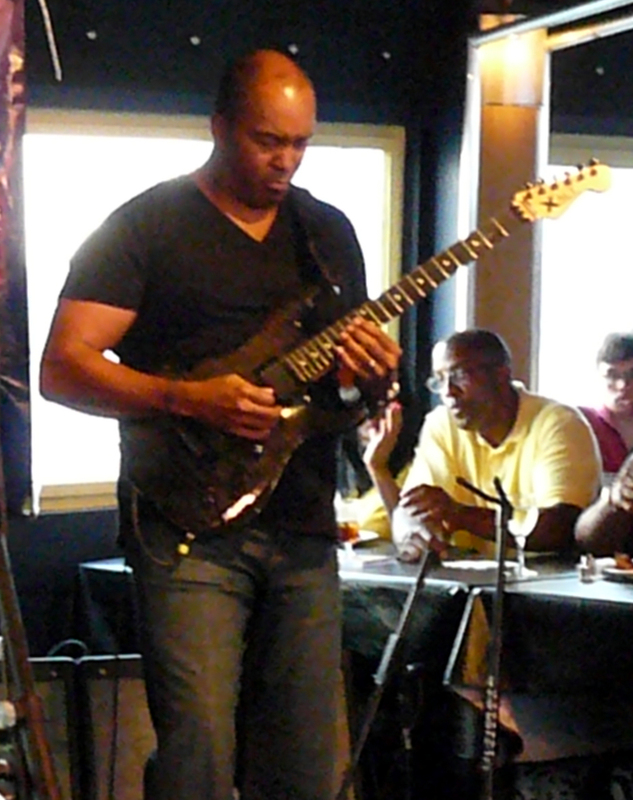 Last night, it was time for another trip to Mirelle’s restaurant in Westbury, New York, for John Favicchia’s Dharma All Stars. 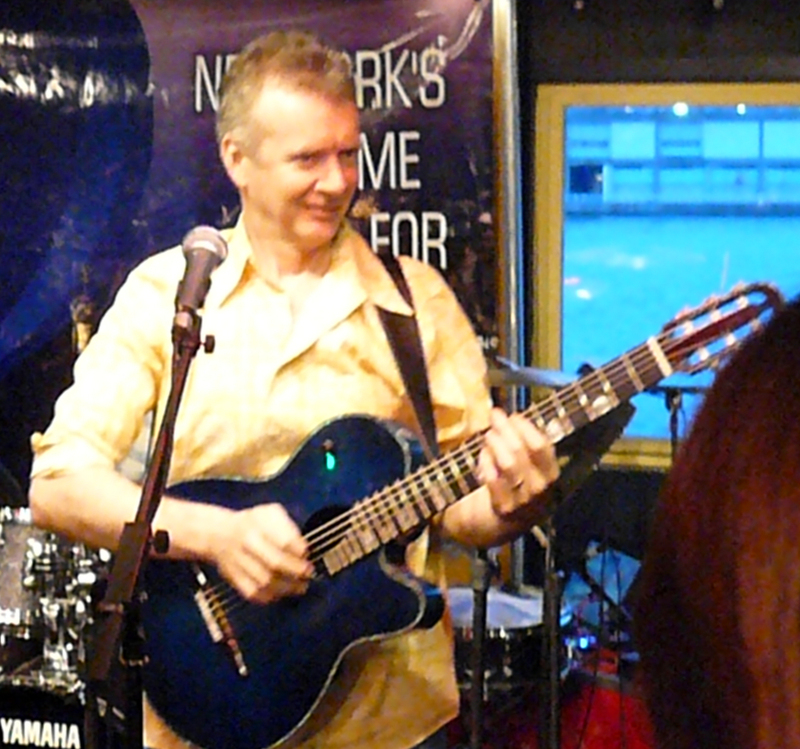 Last month marked five years since I began attending Dharma gigs. 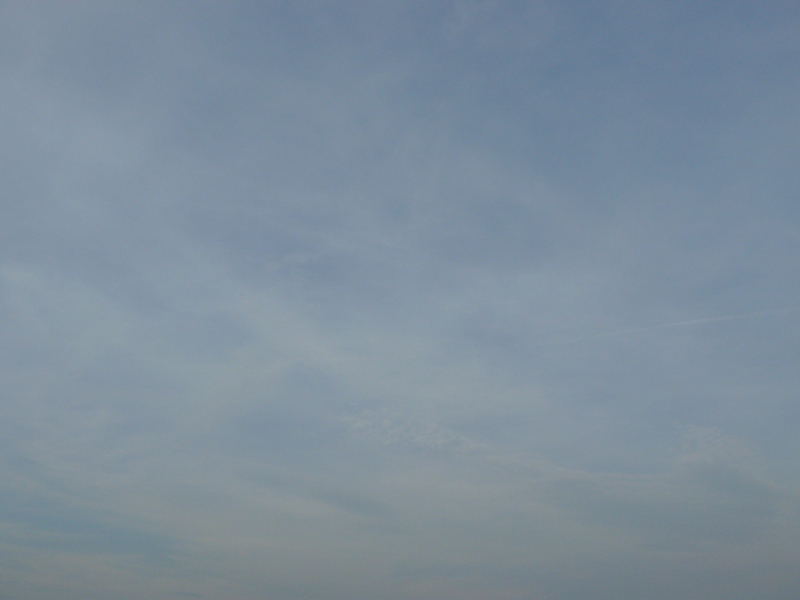 I’ve lost track of how many times I’ve seen them, but I know I’ve written six recaps for this blog; this recap being the sixth. 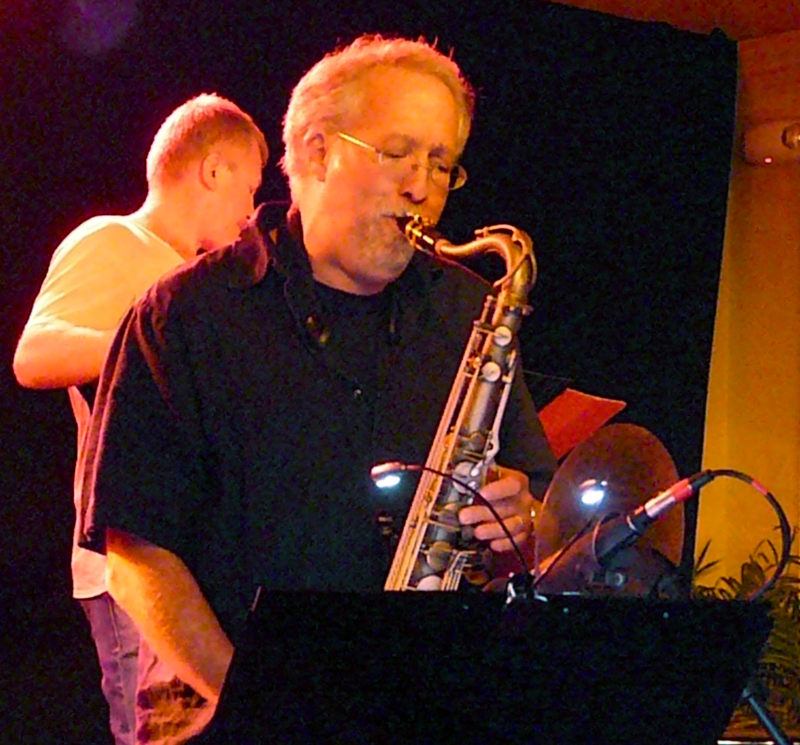 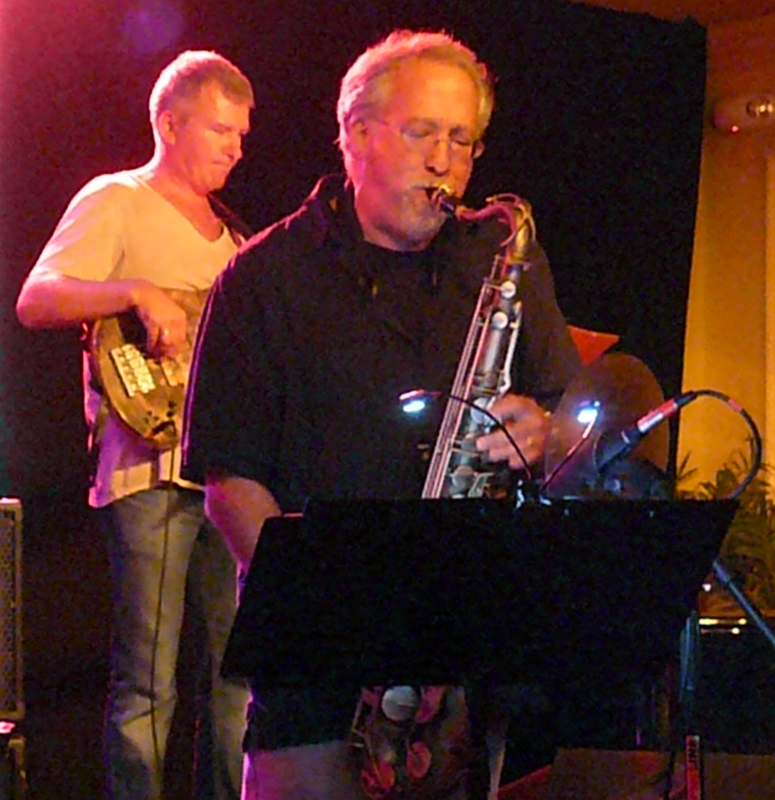 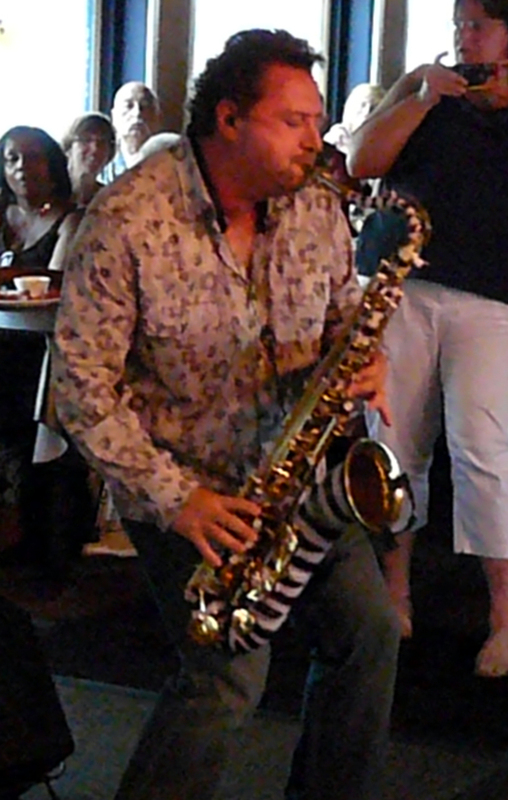 Dave’s primary instrument has been the alto sax. 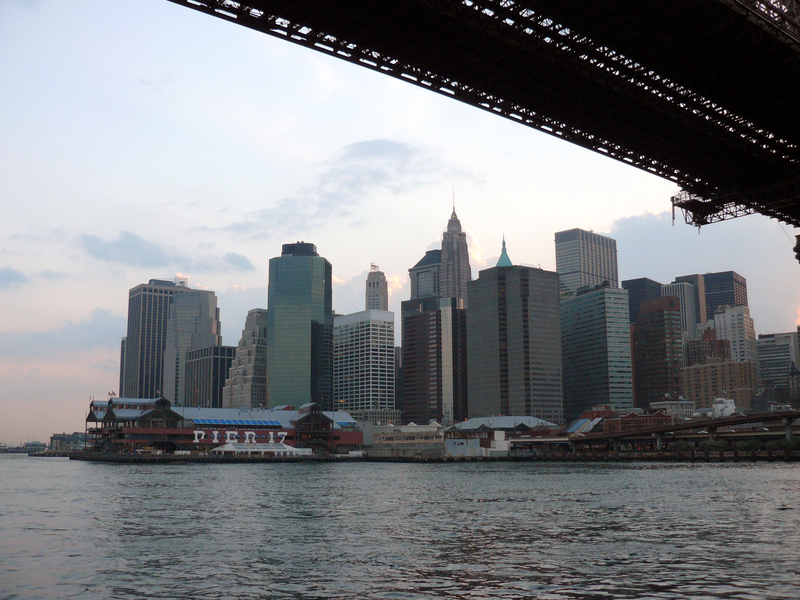 Incidentally, that pic was taken by author, and fellow fan, Katherine Gilraine. 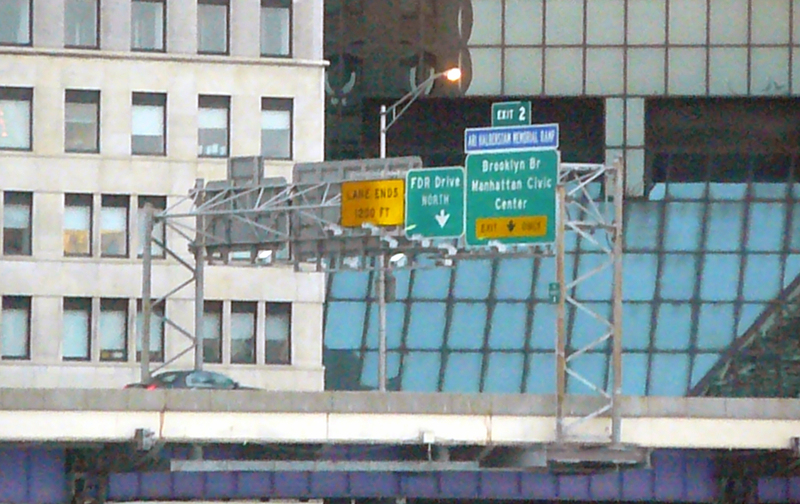 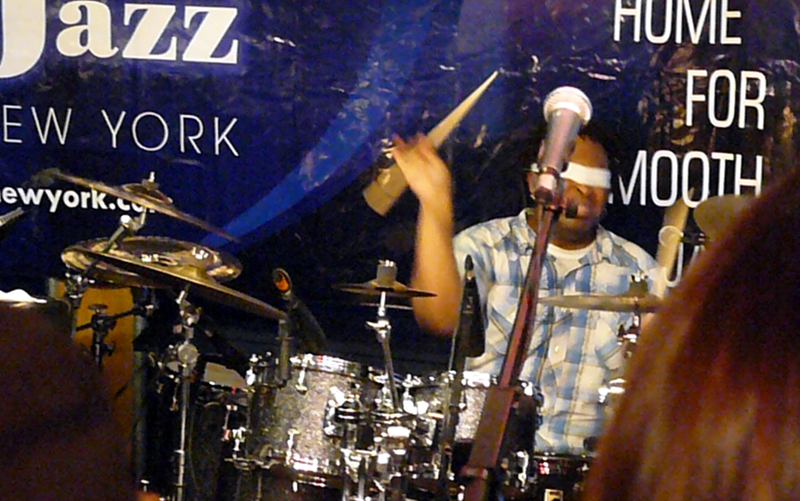 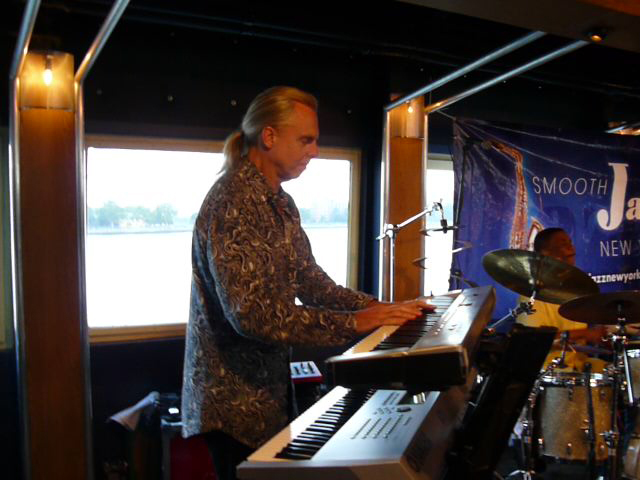 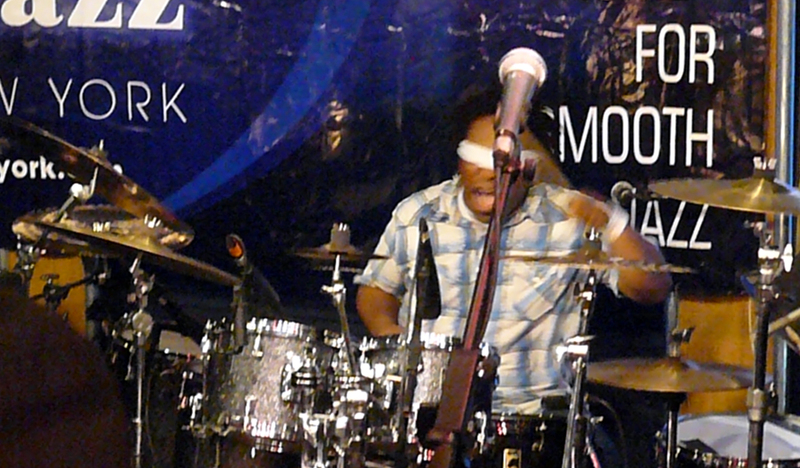 Posted by Mike C. in Jazz, Music, Photography, Travel, Weather. 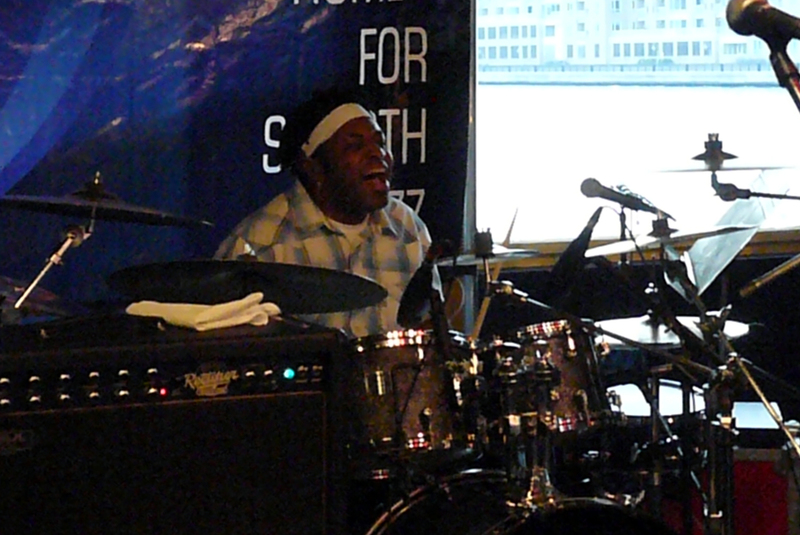 8/18 UPDATE: I’ve added more pictures of Arlington Jones, Braylon Lacy, and Eric Valentine. 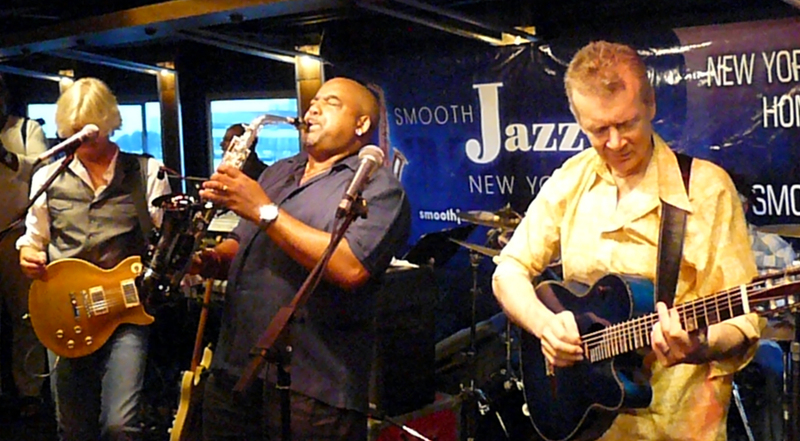 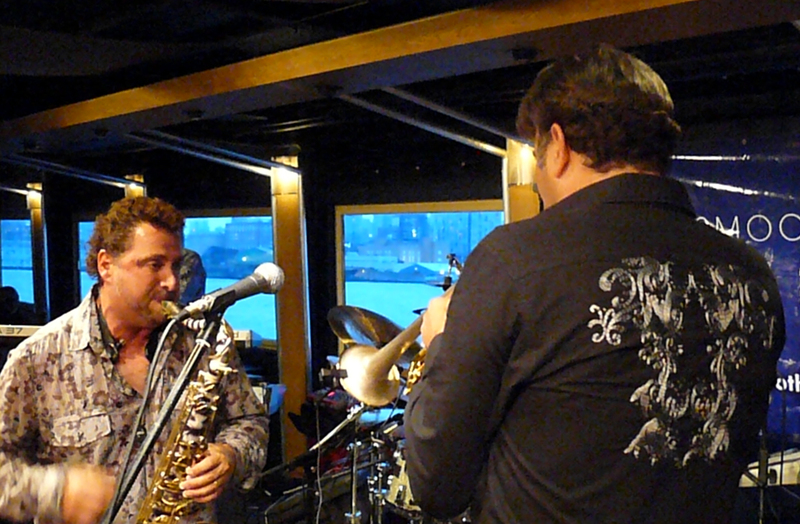 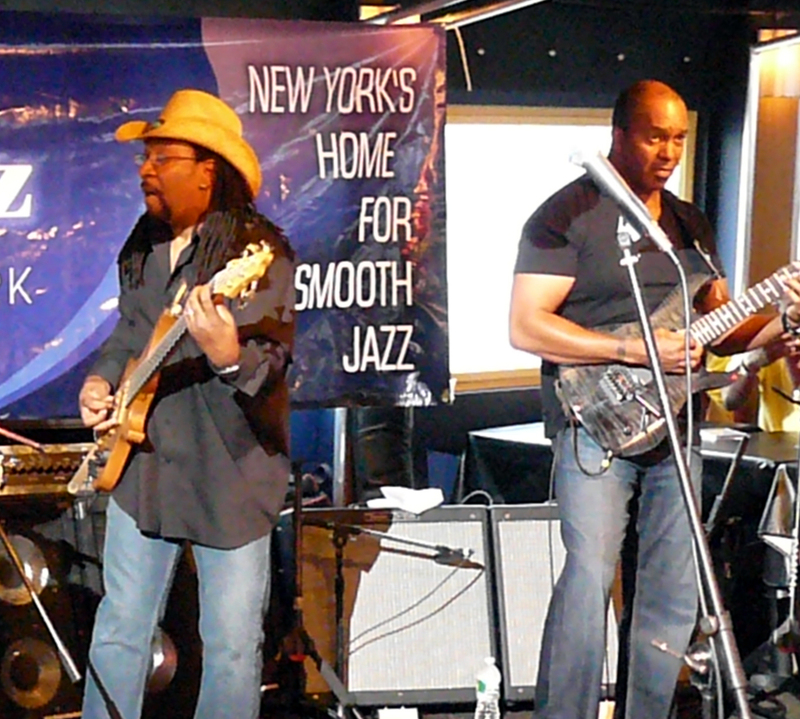 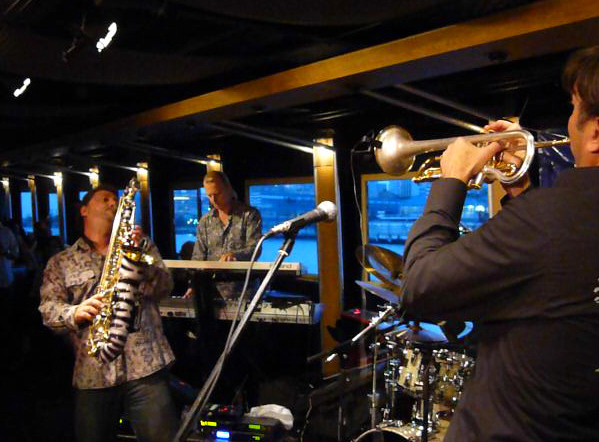 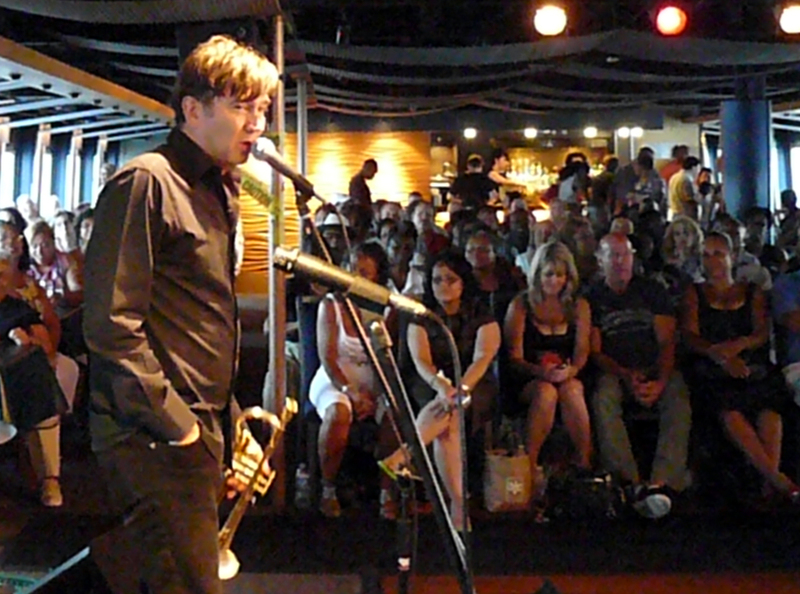 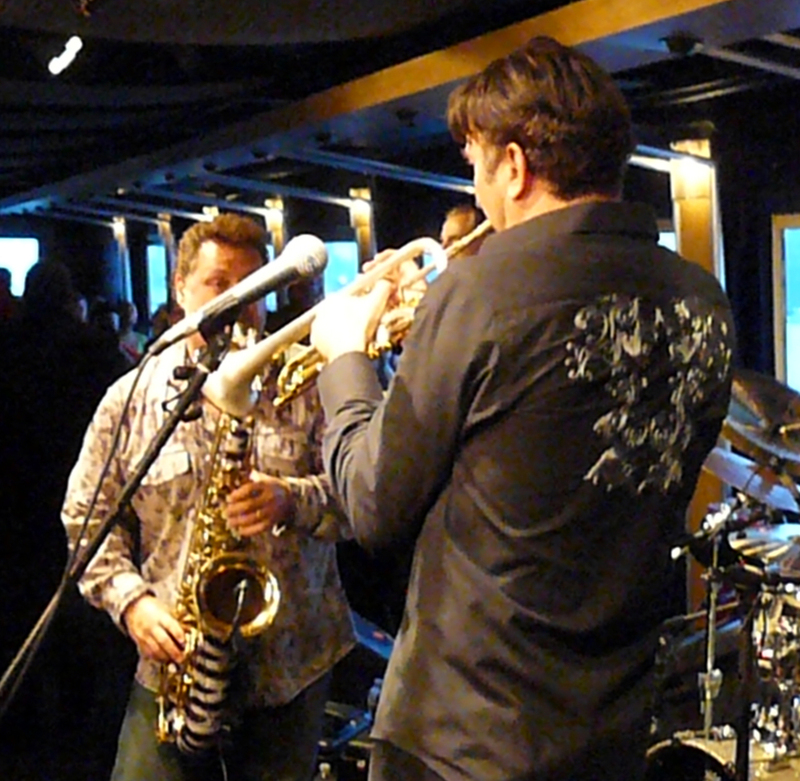 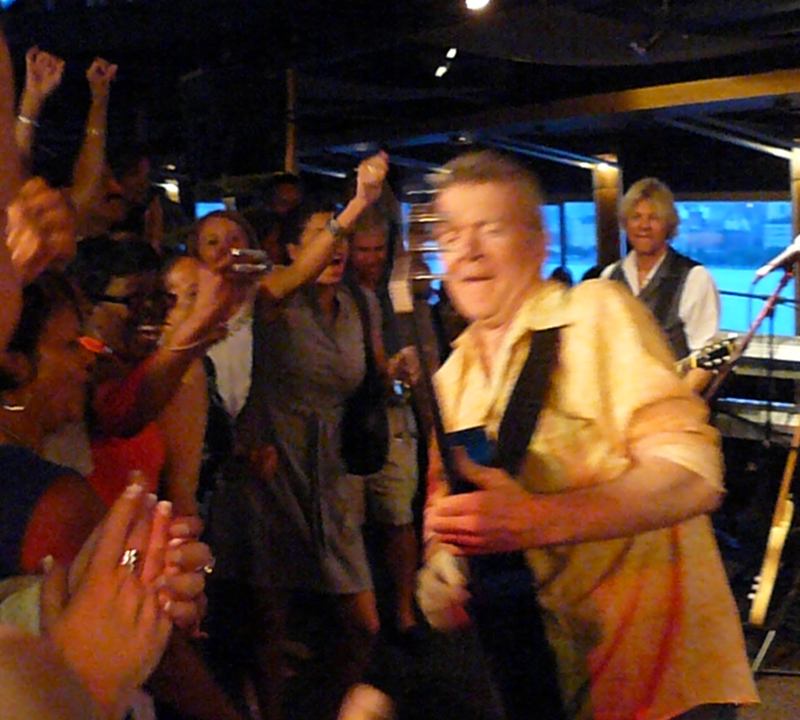 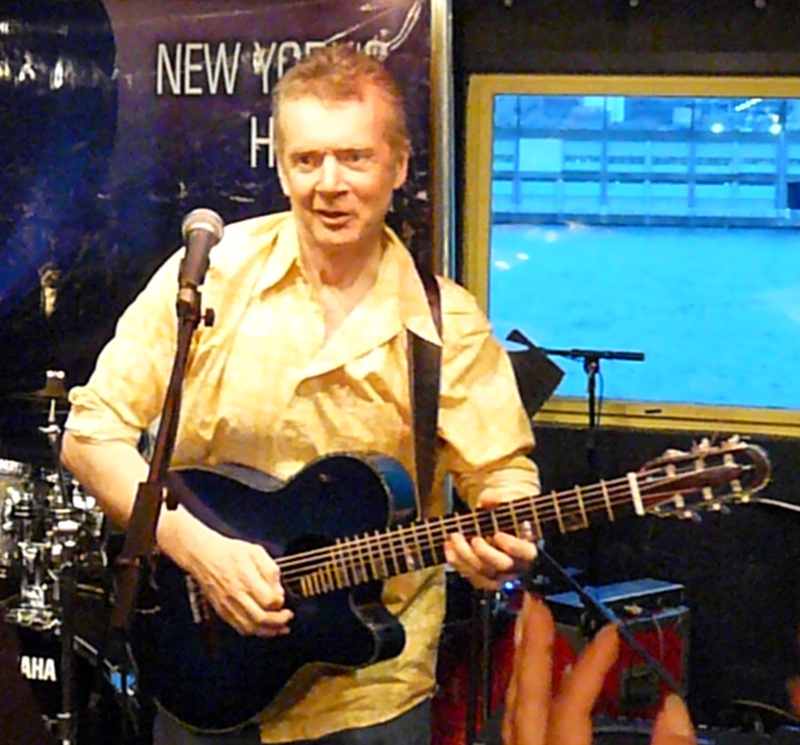 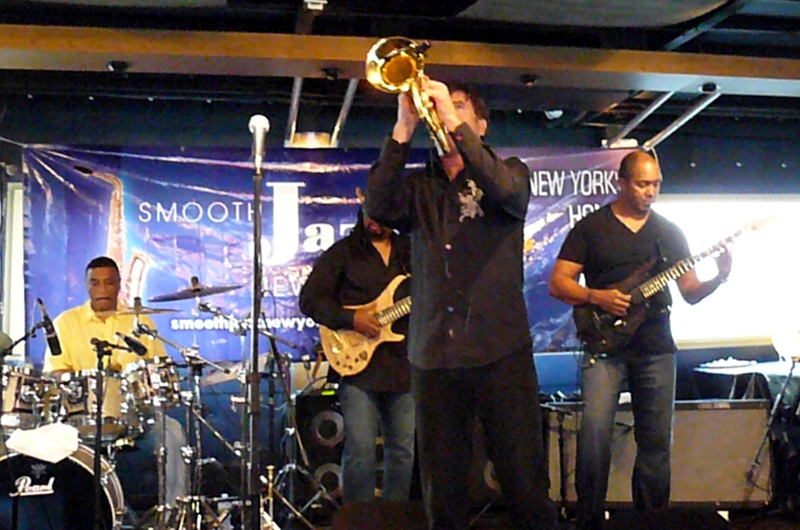 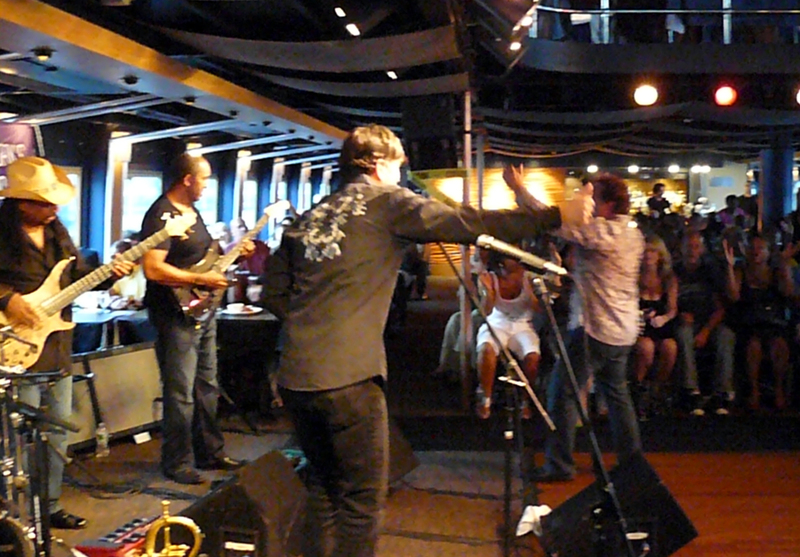 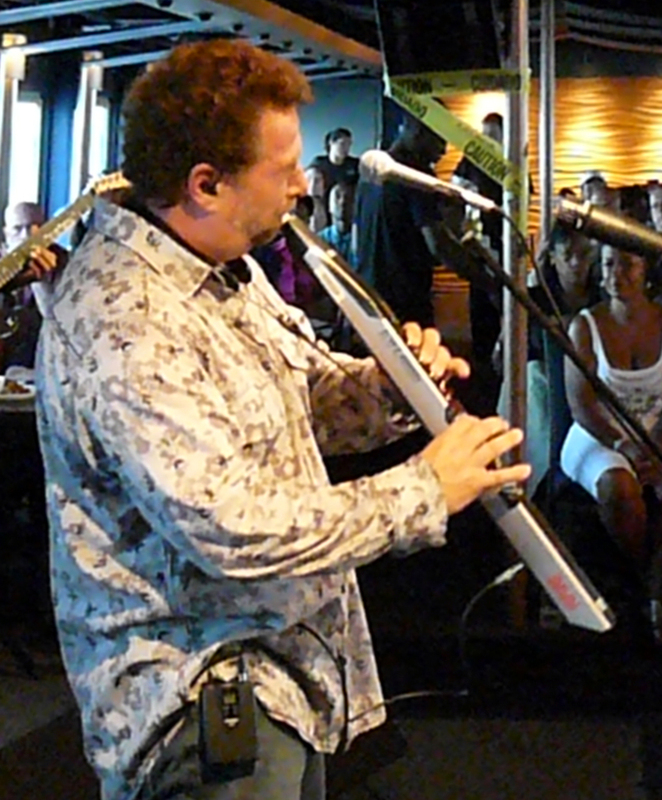 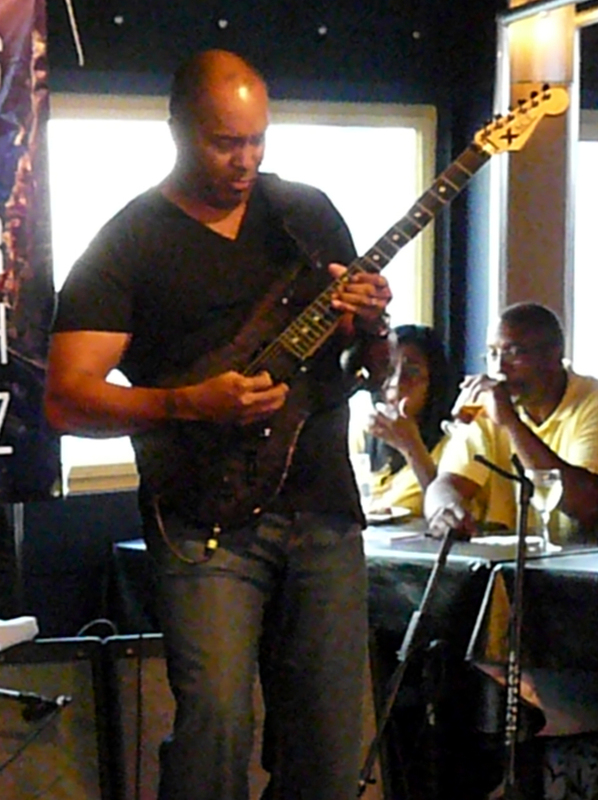 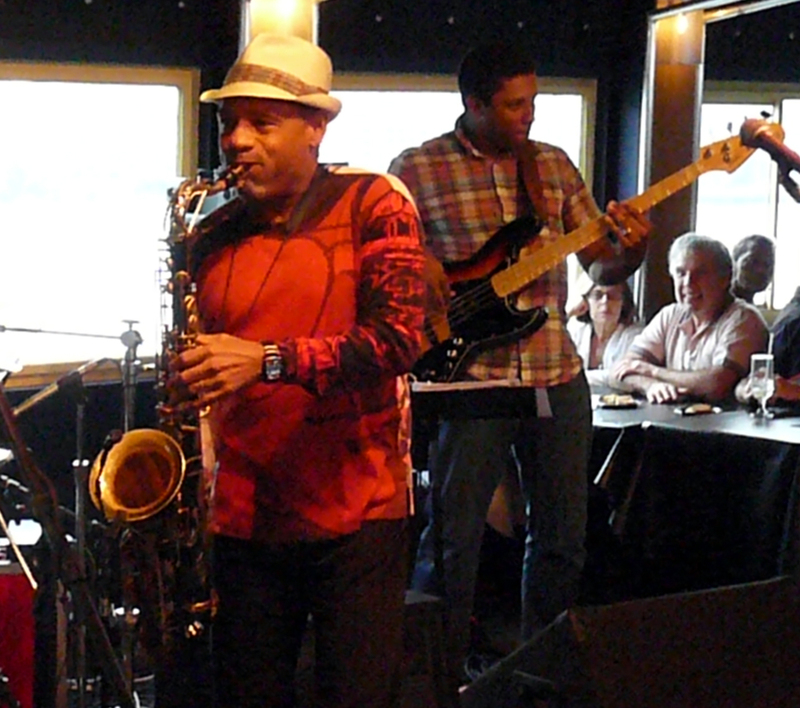 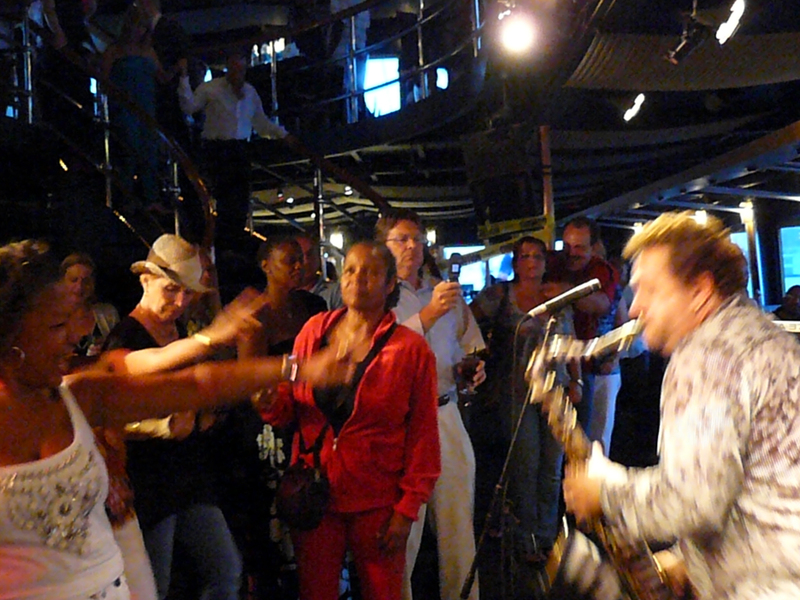 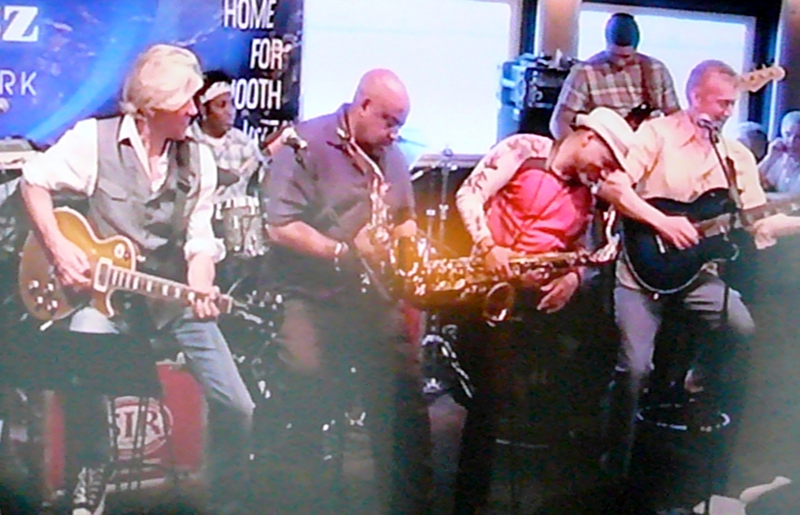 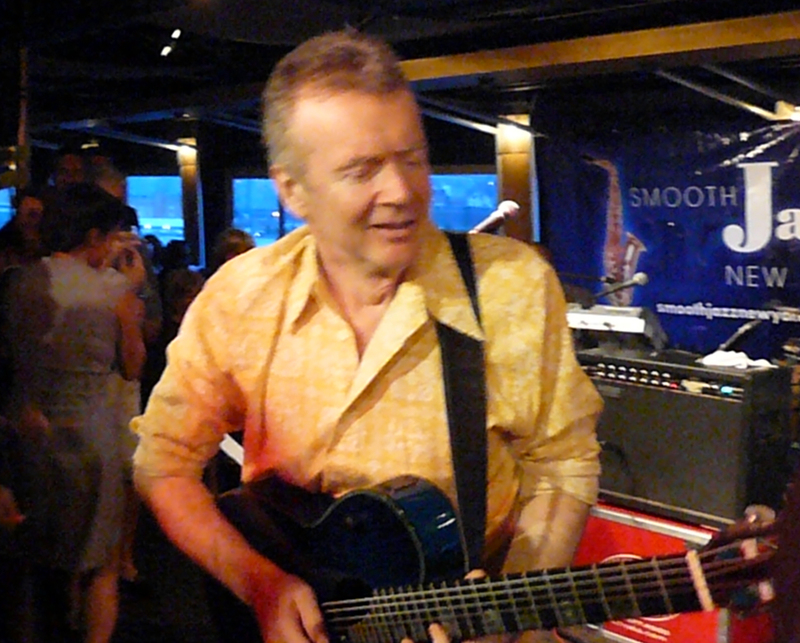 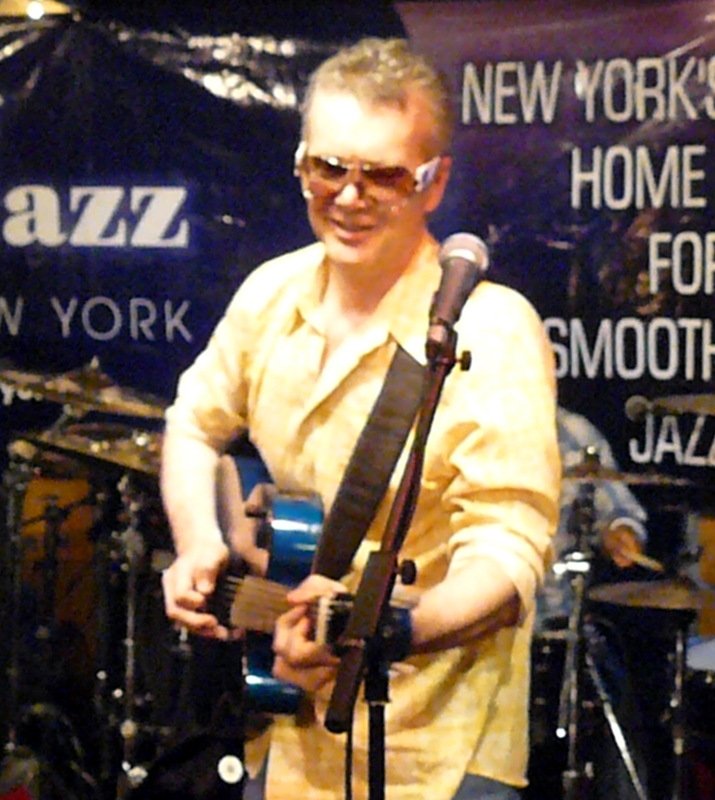 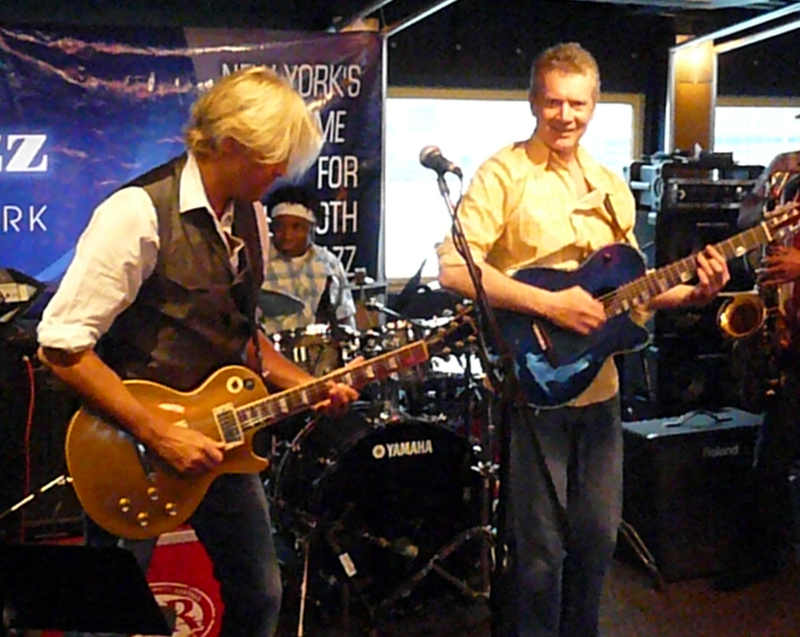 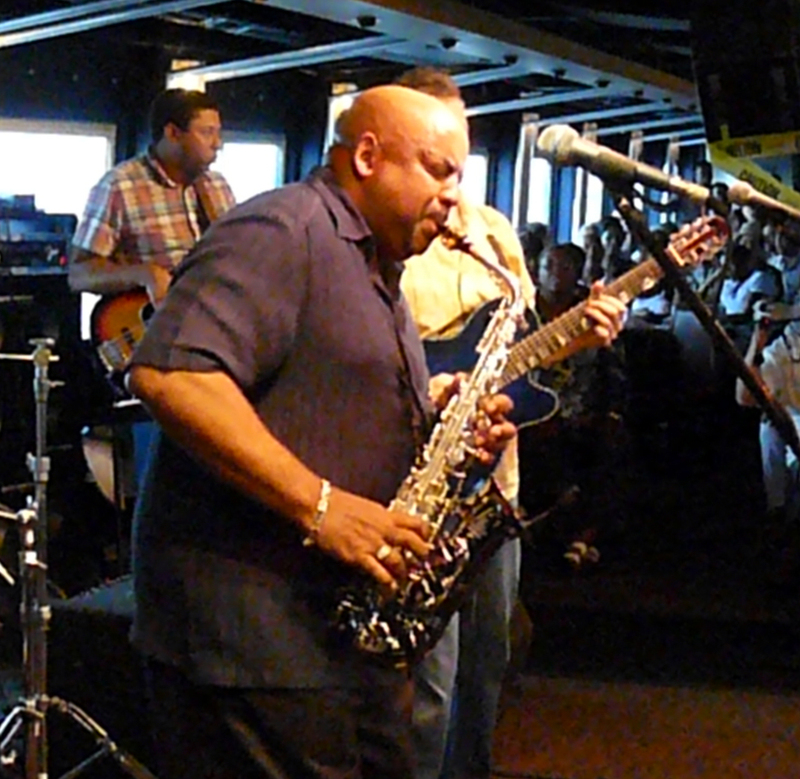 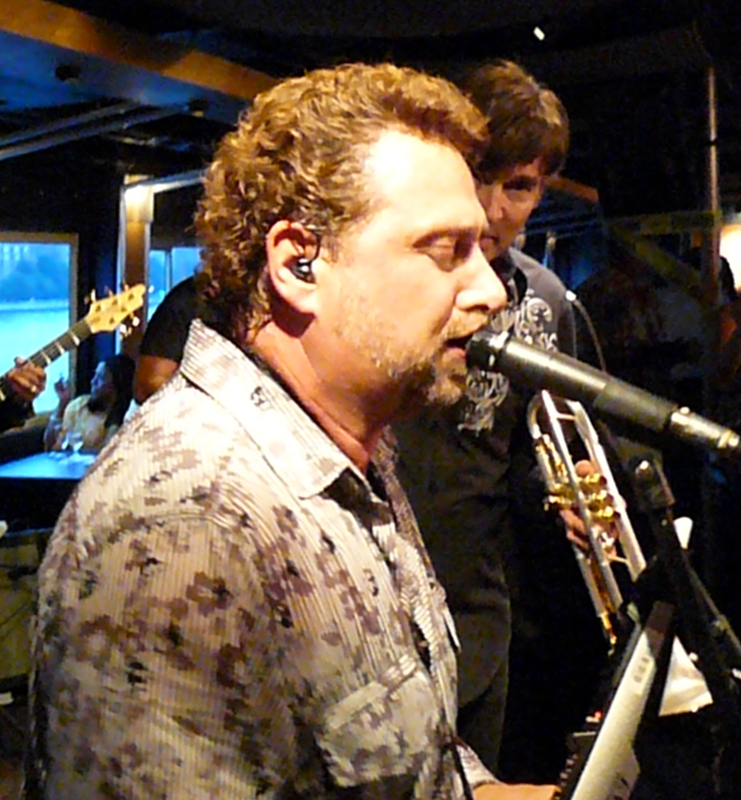 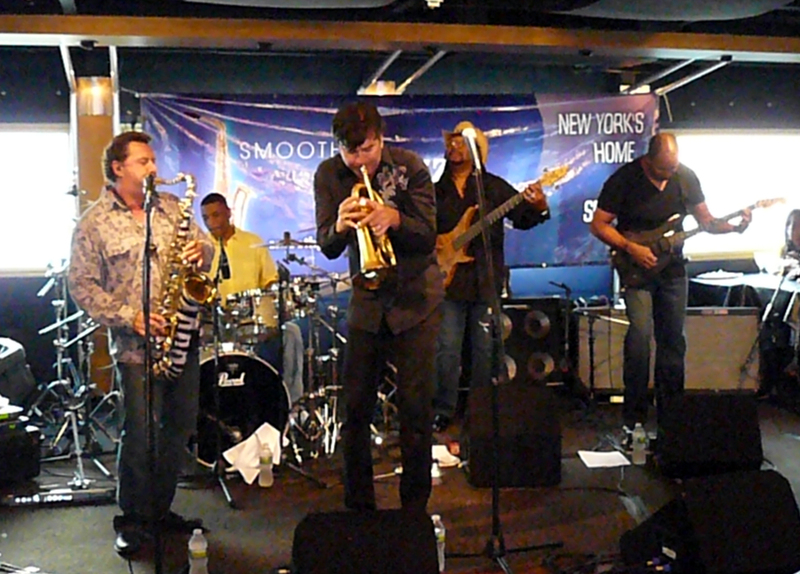 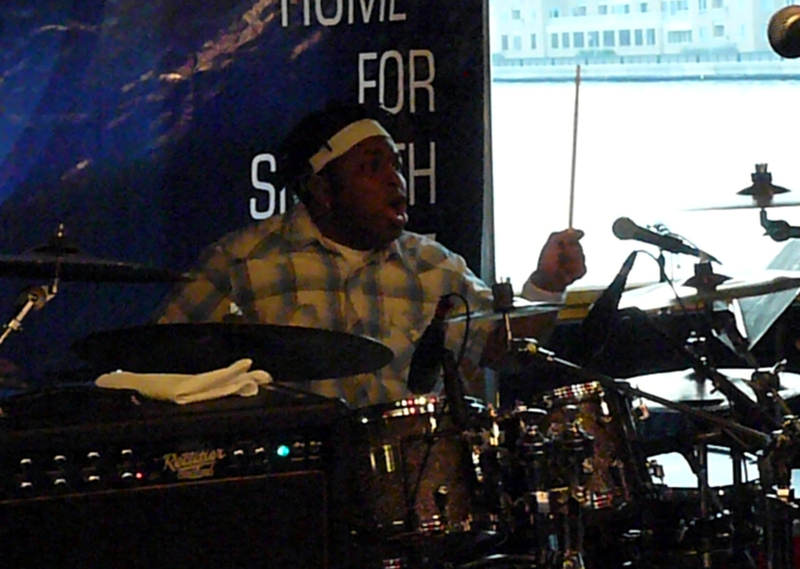 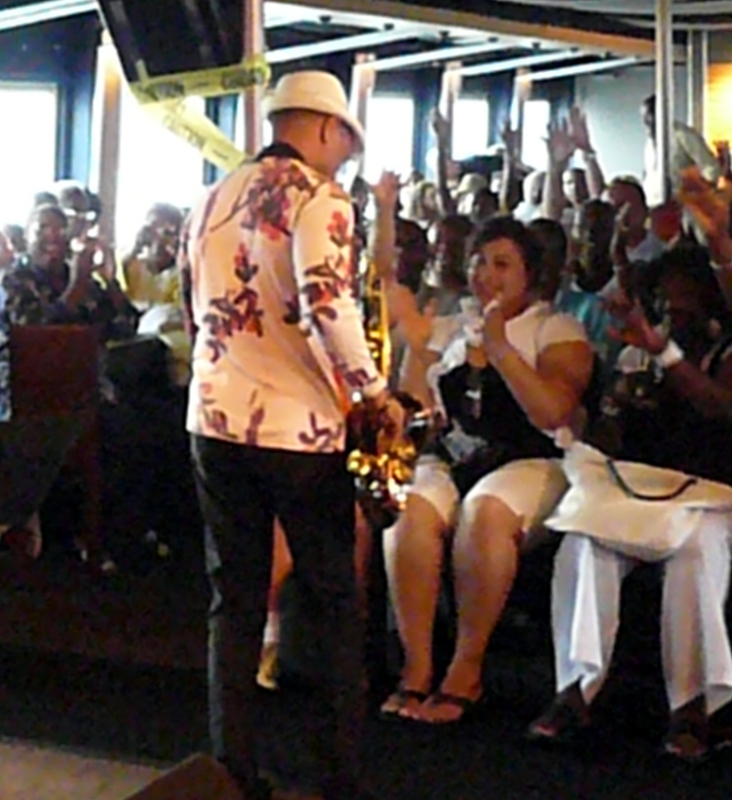 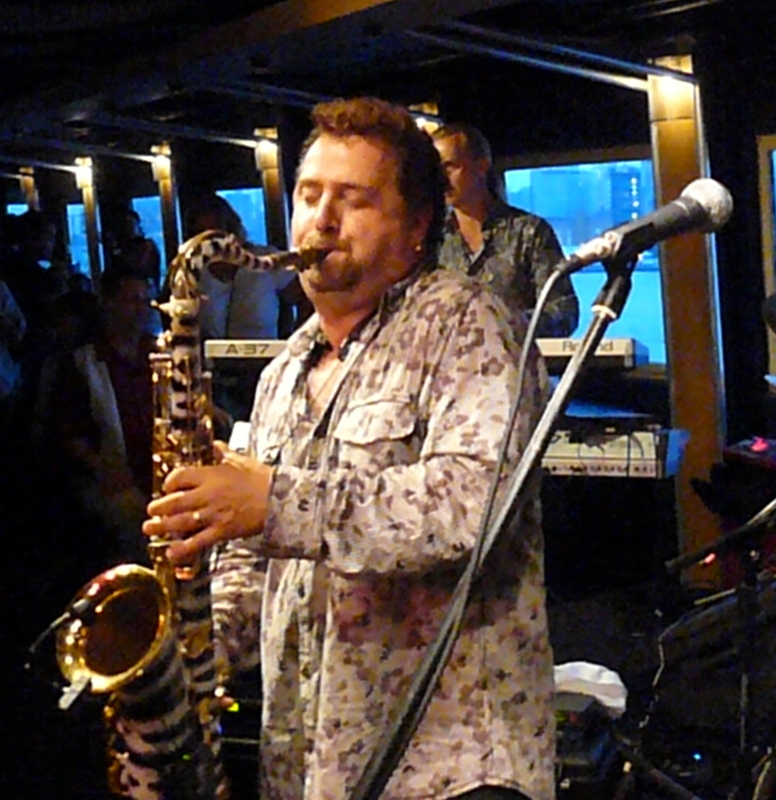 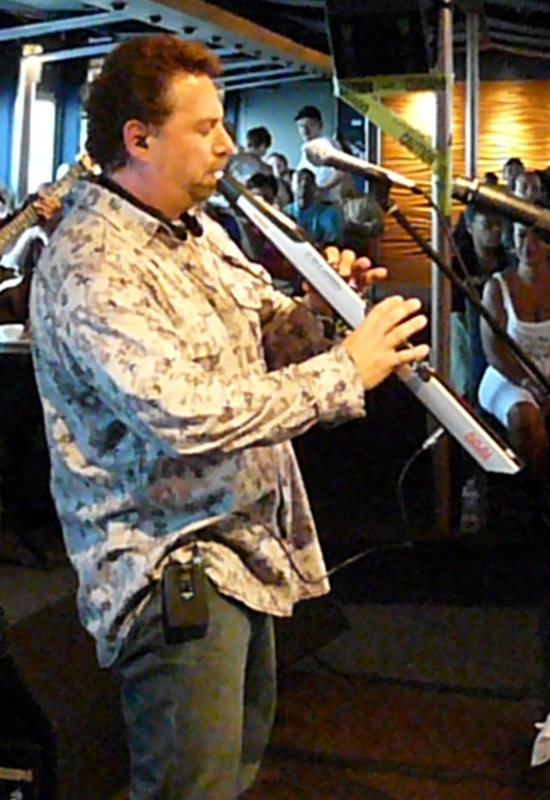 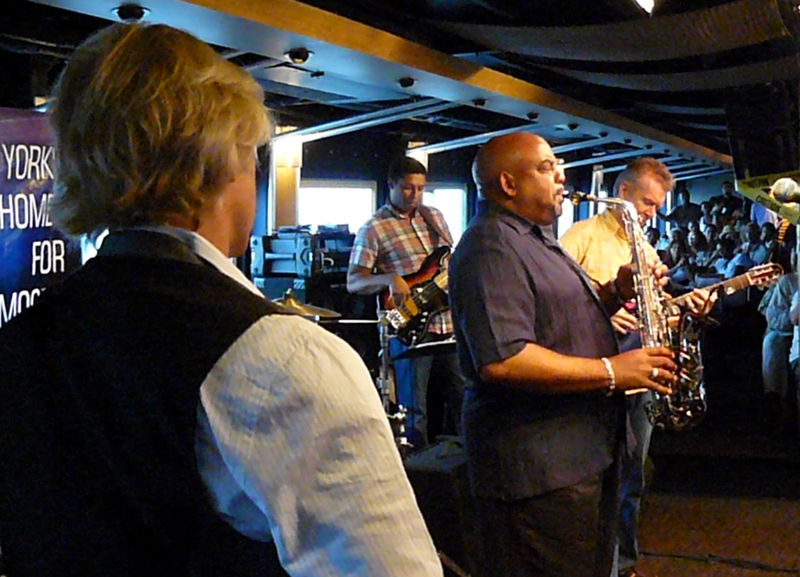 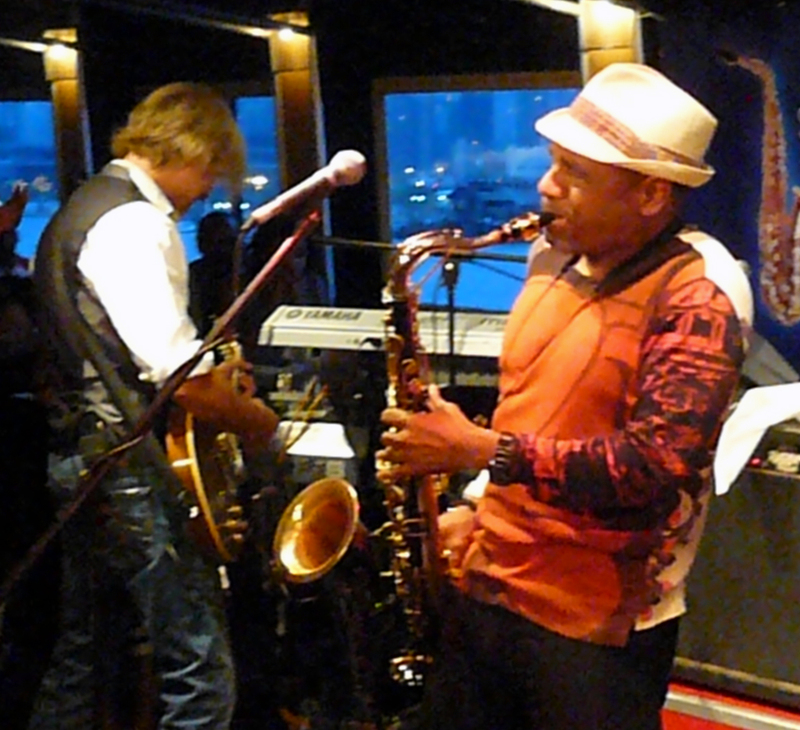 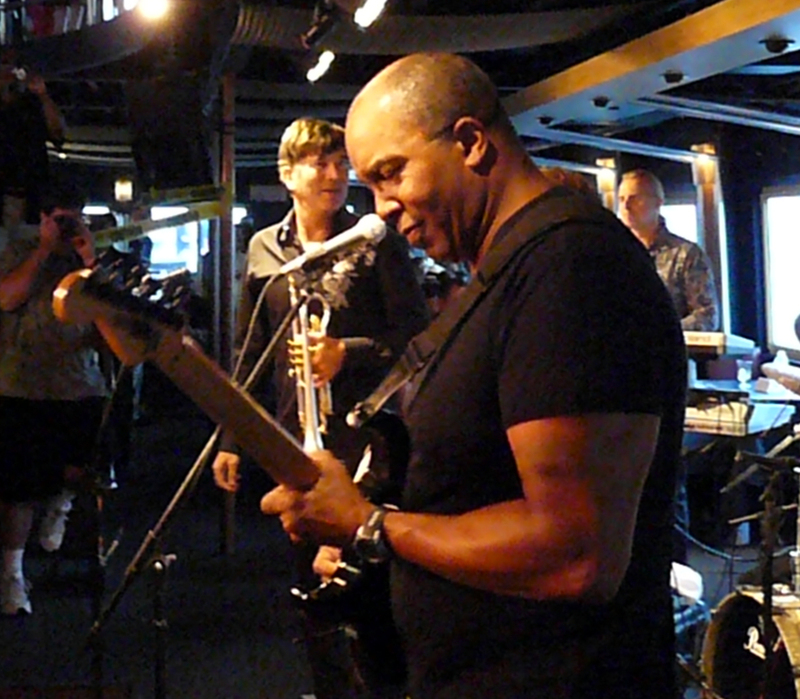 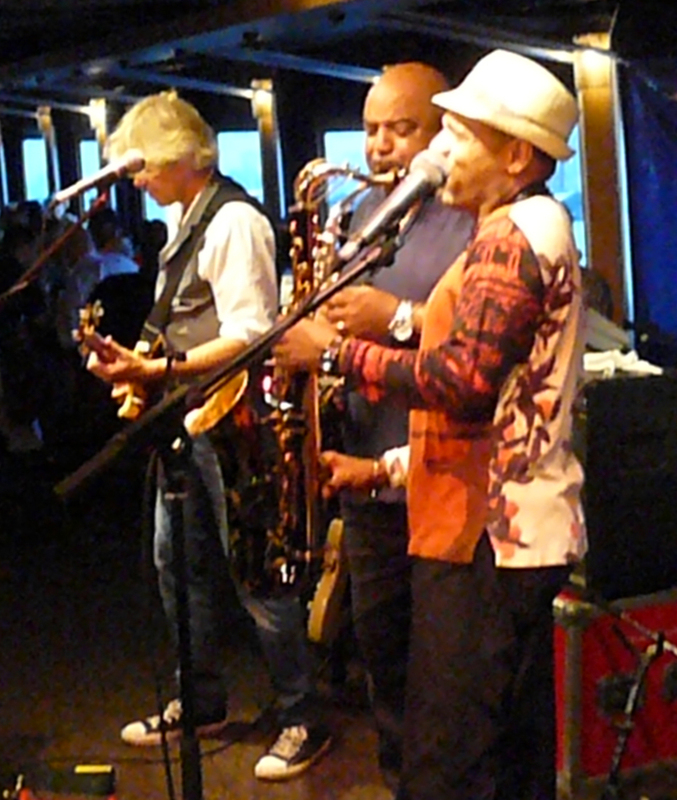 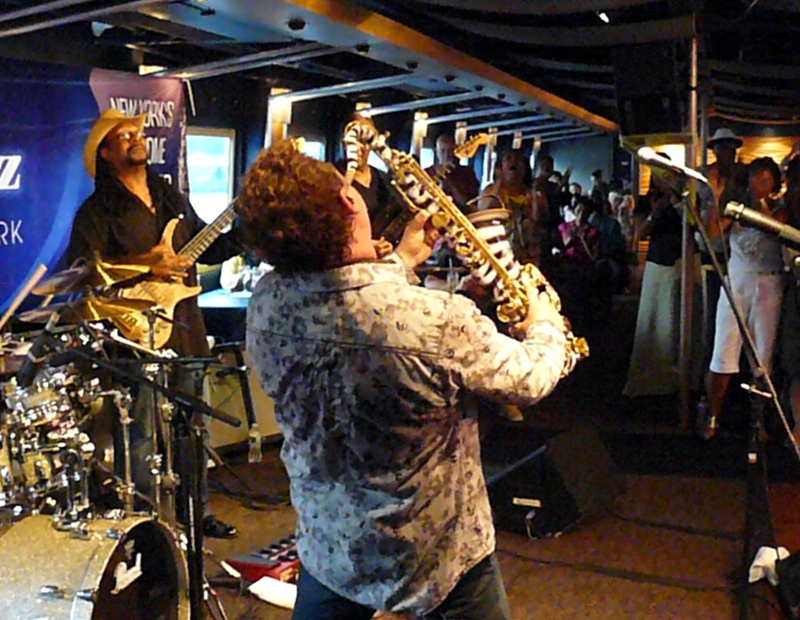 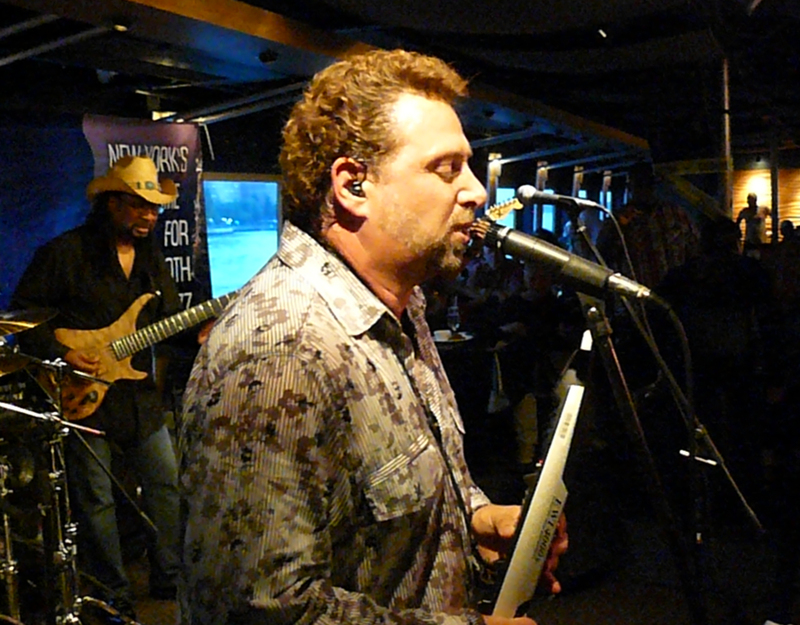 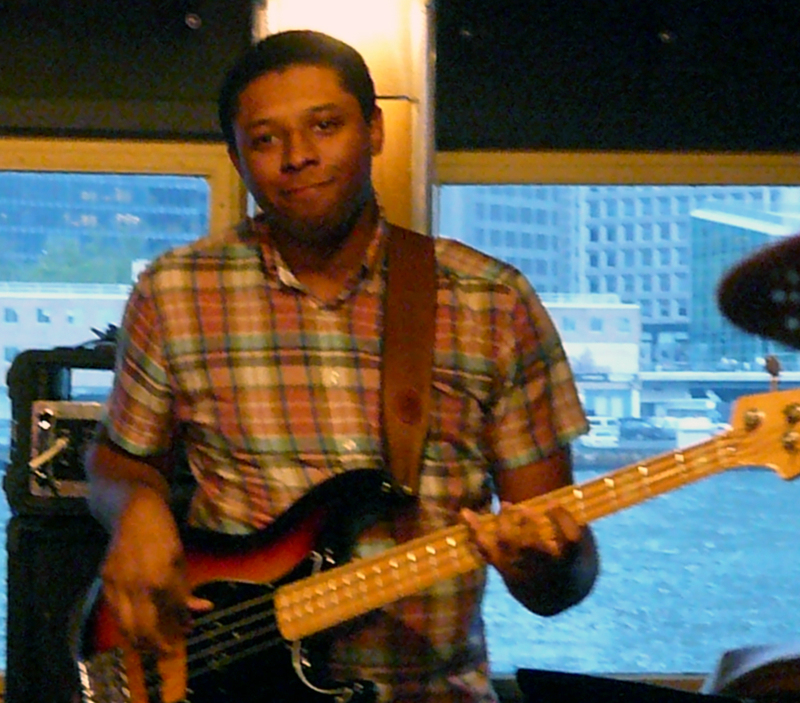 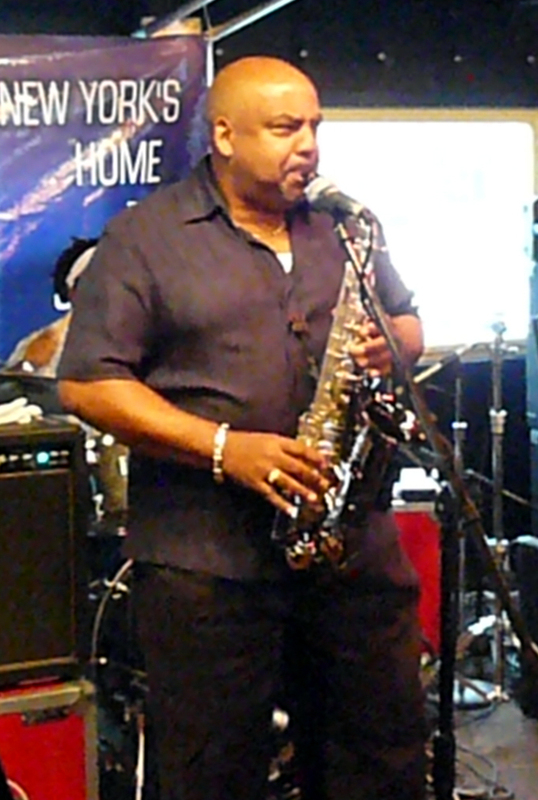 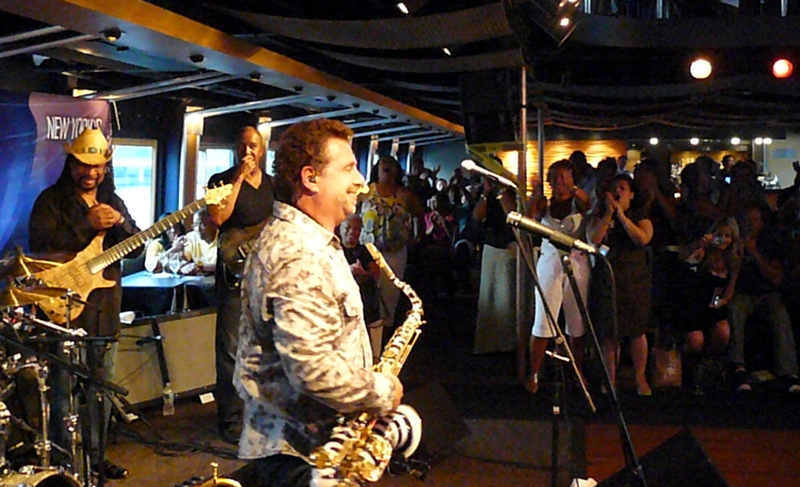 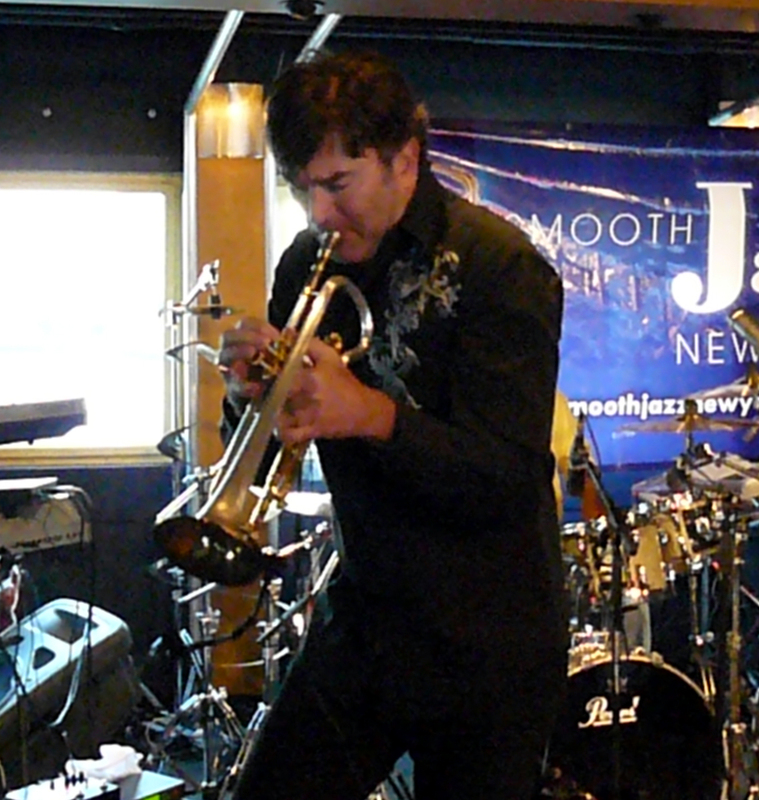 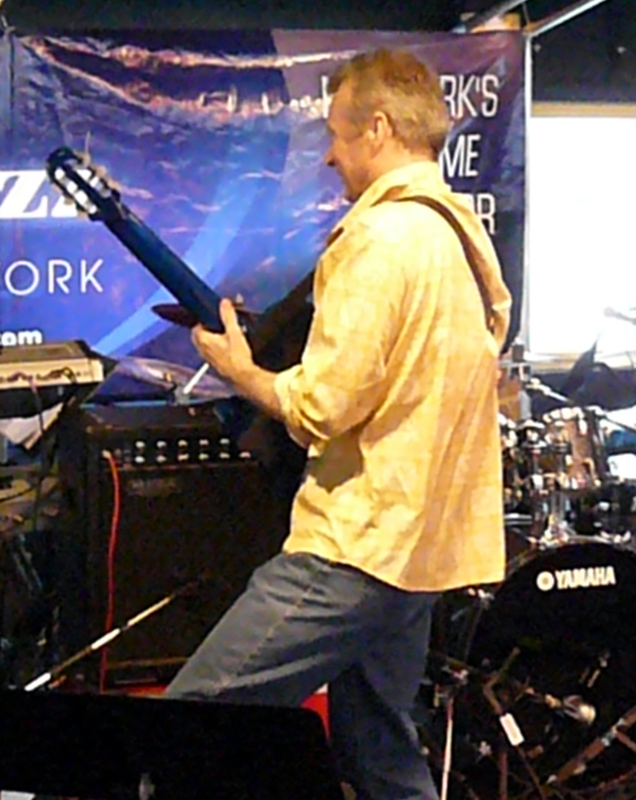 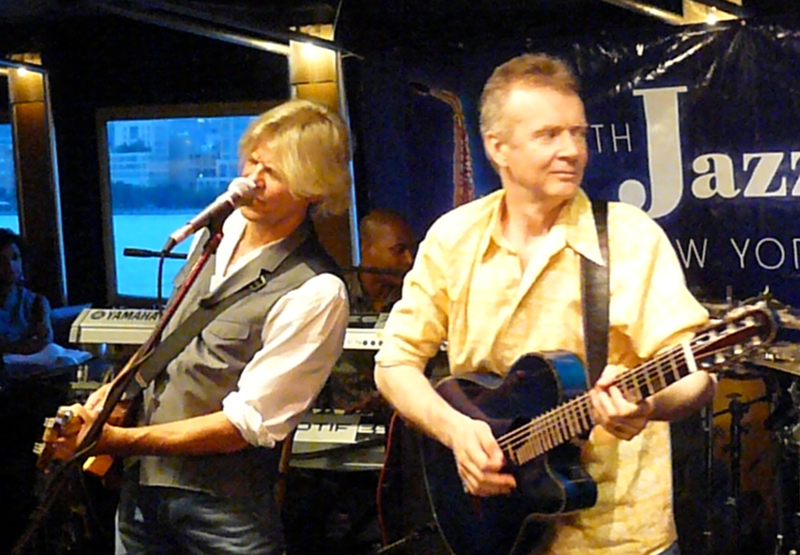 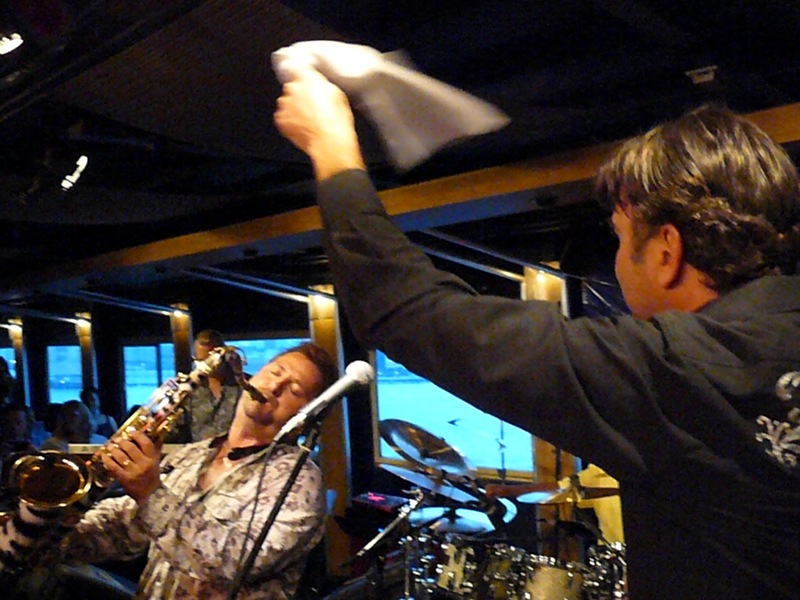 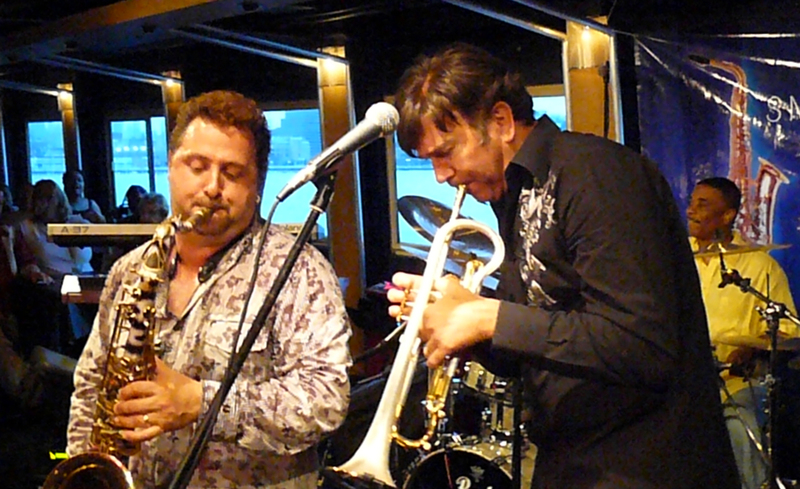 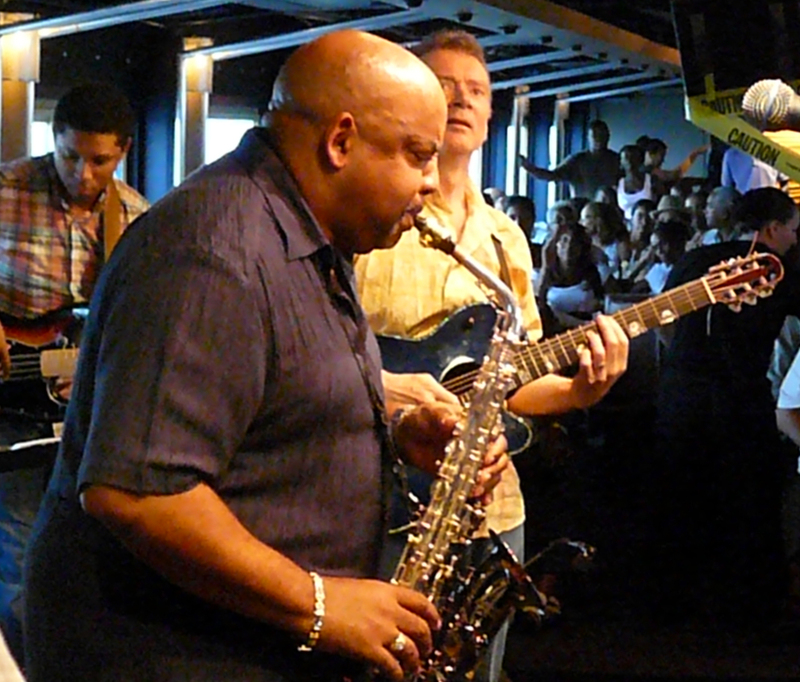 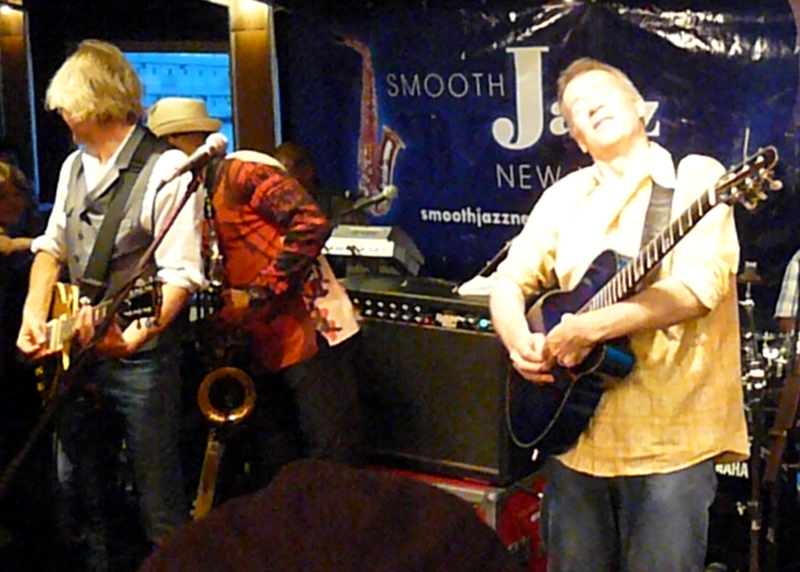 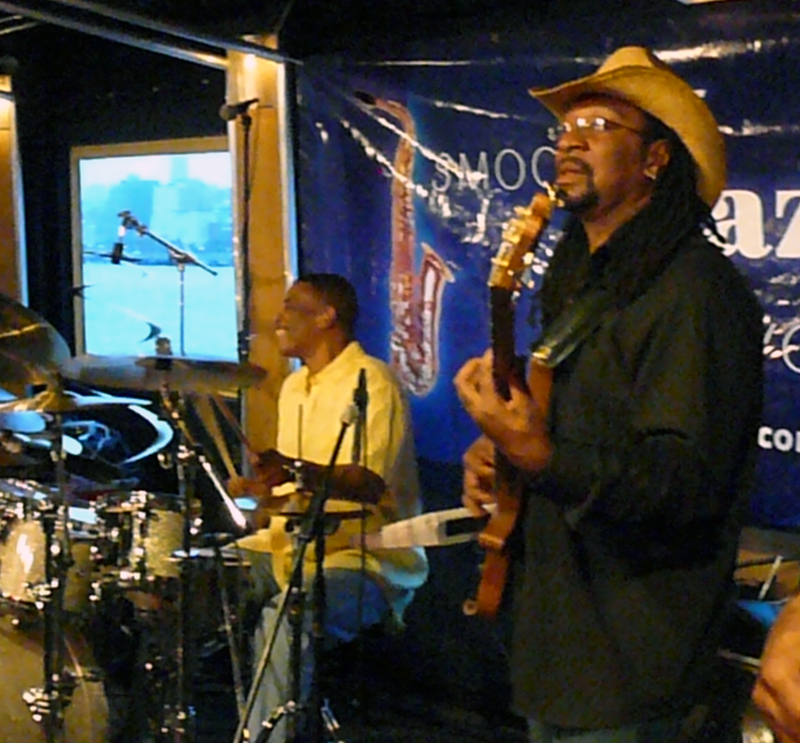 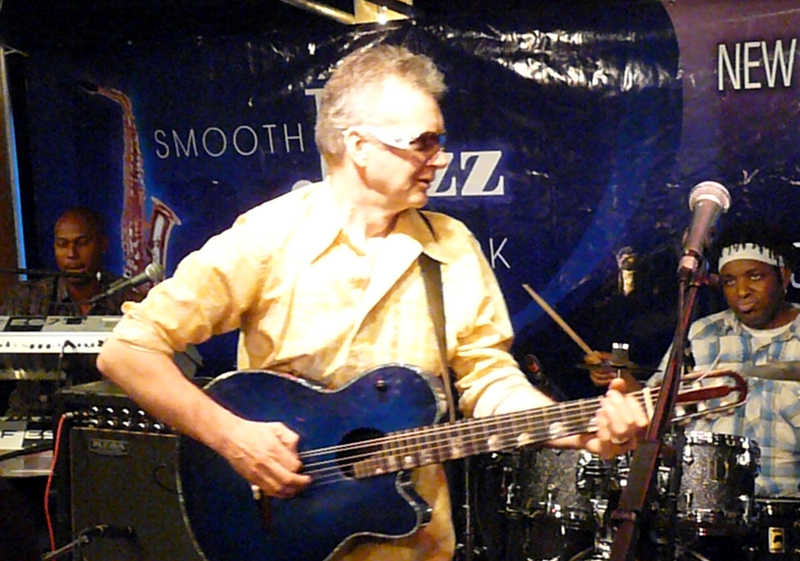 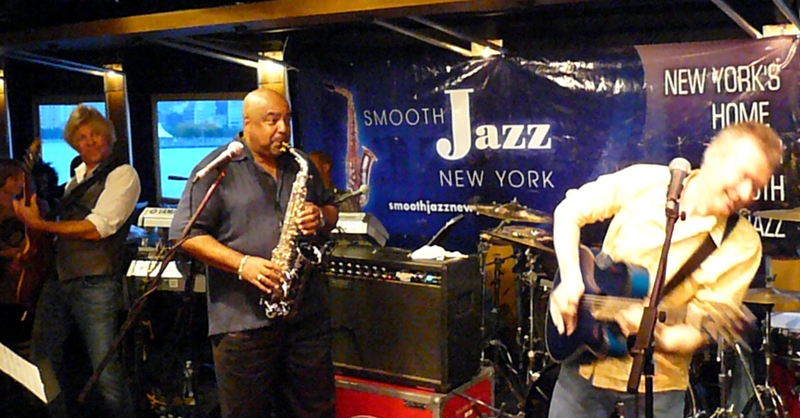 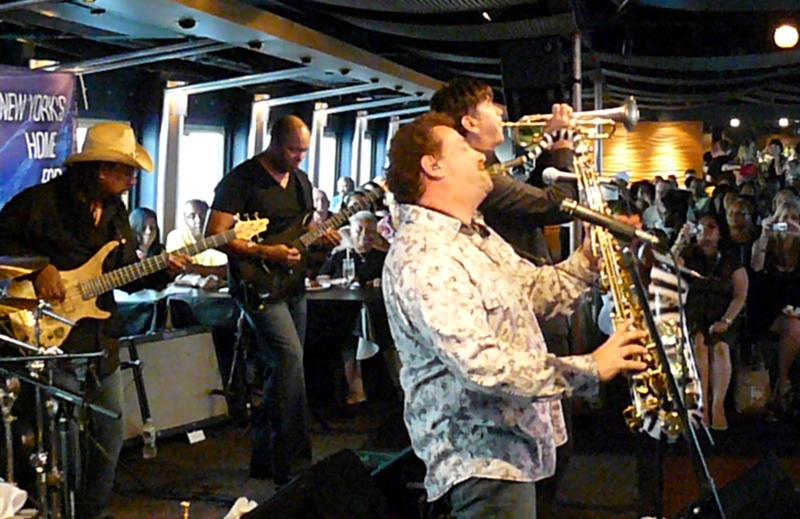 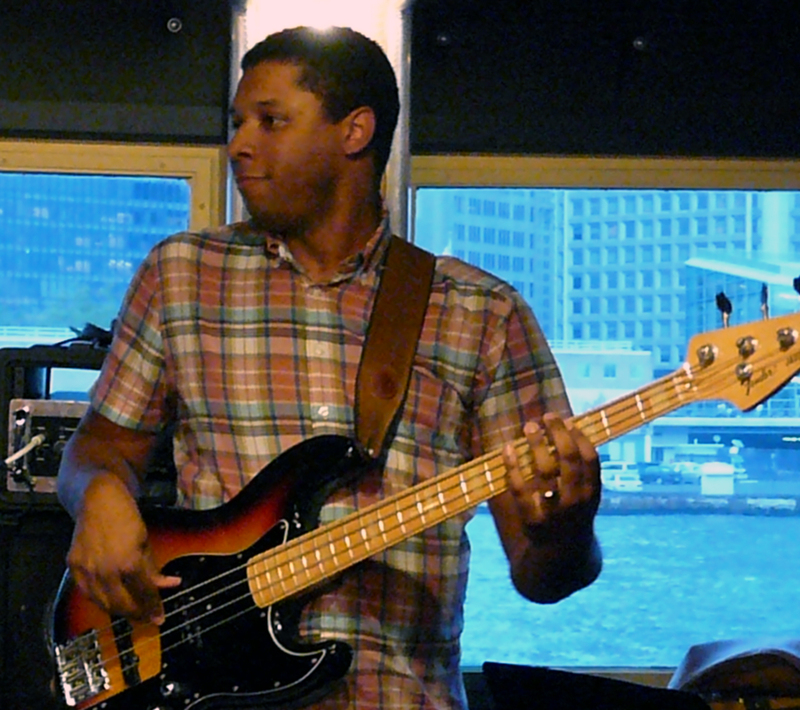 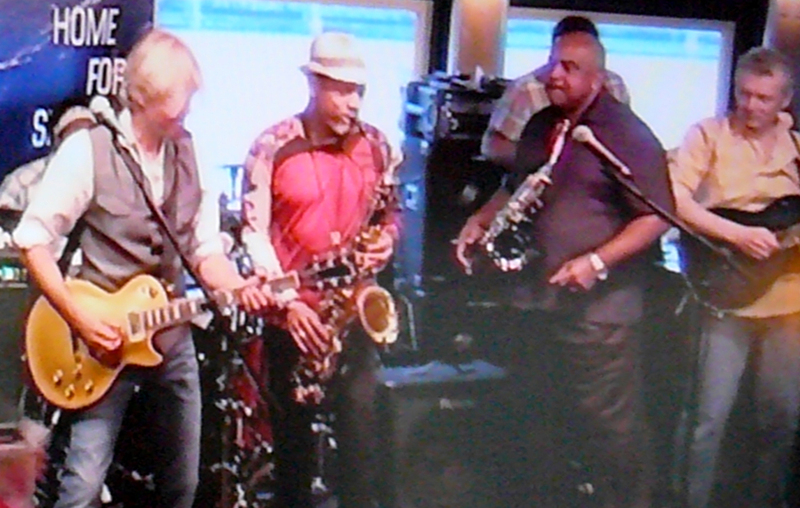 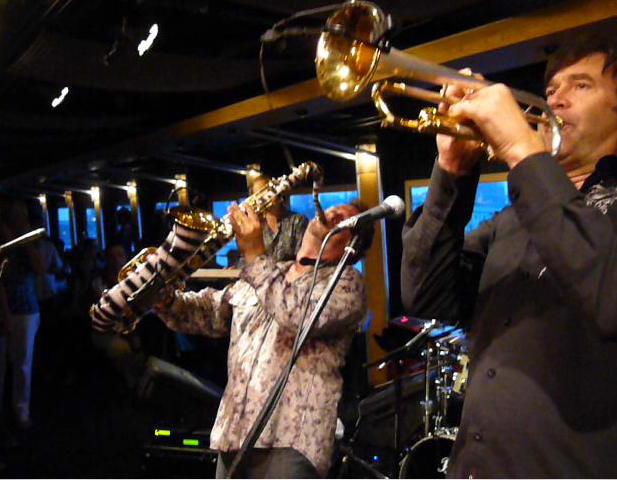 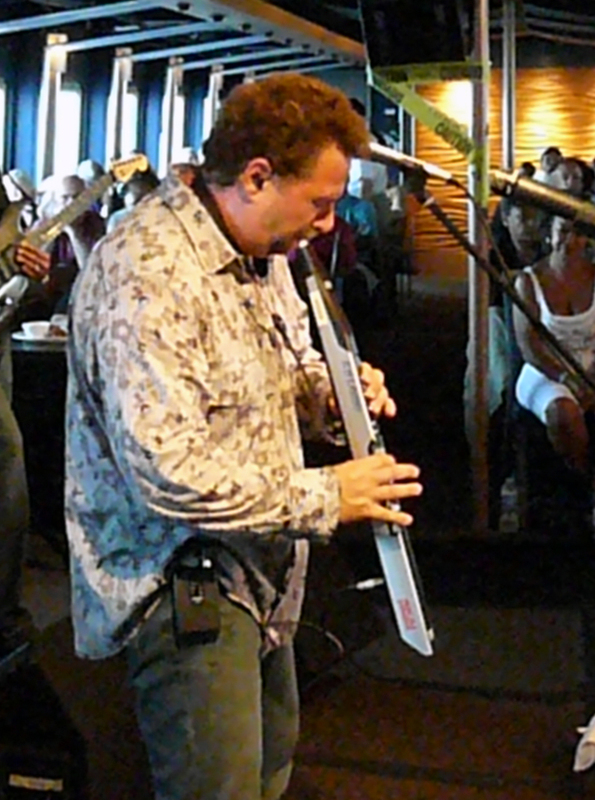 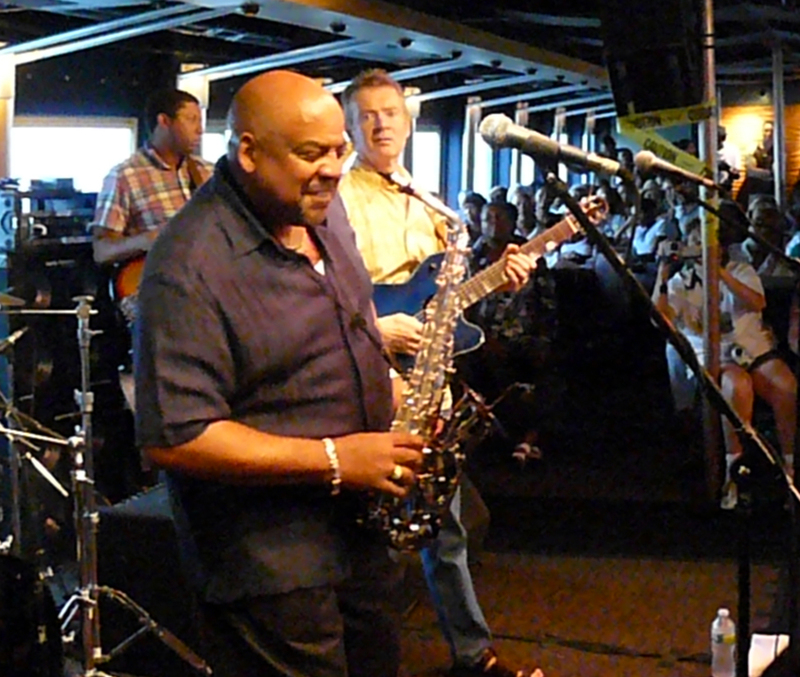 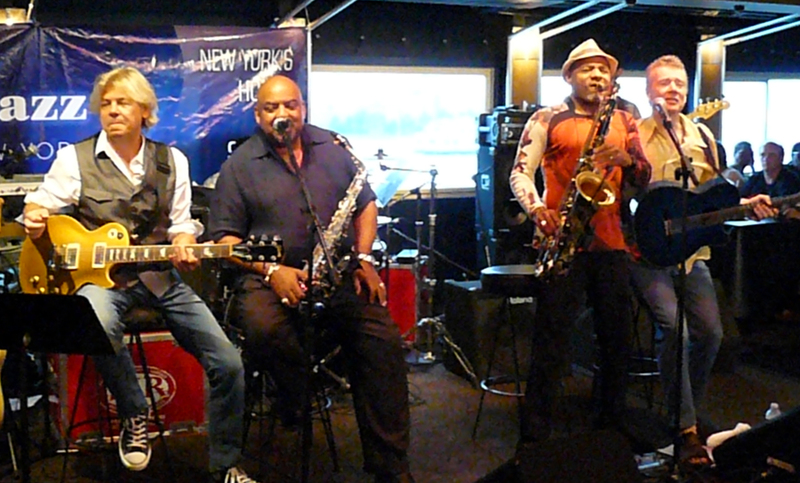 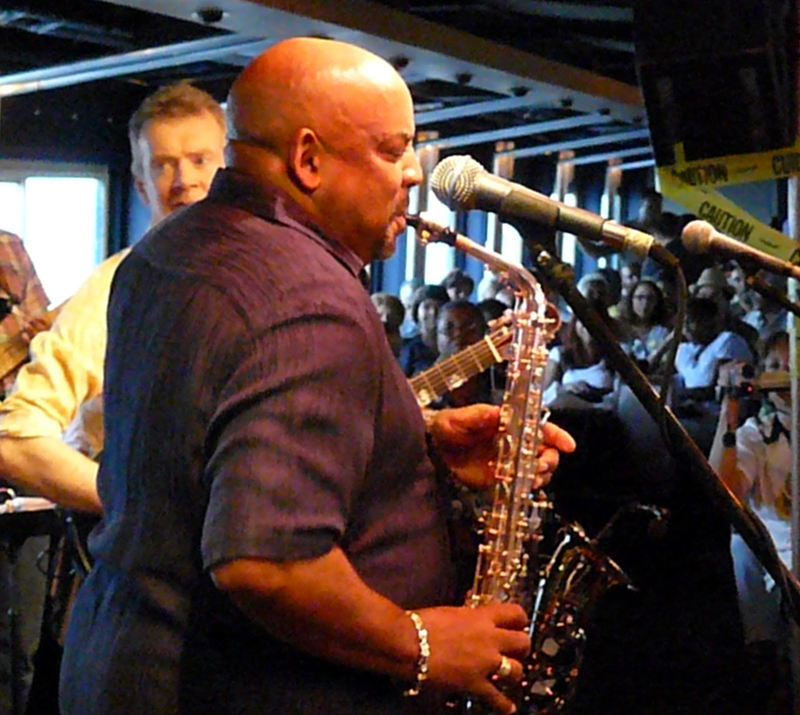 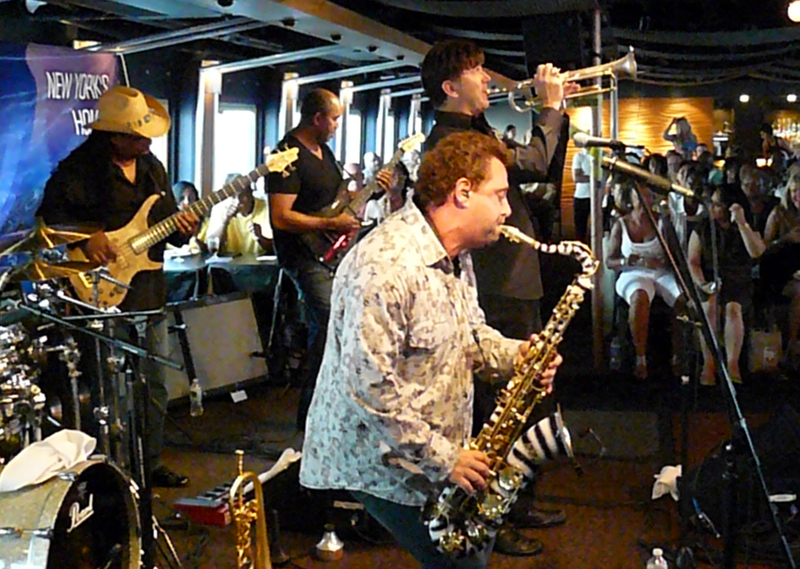 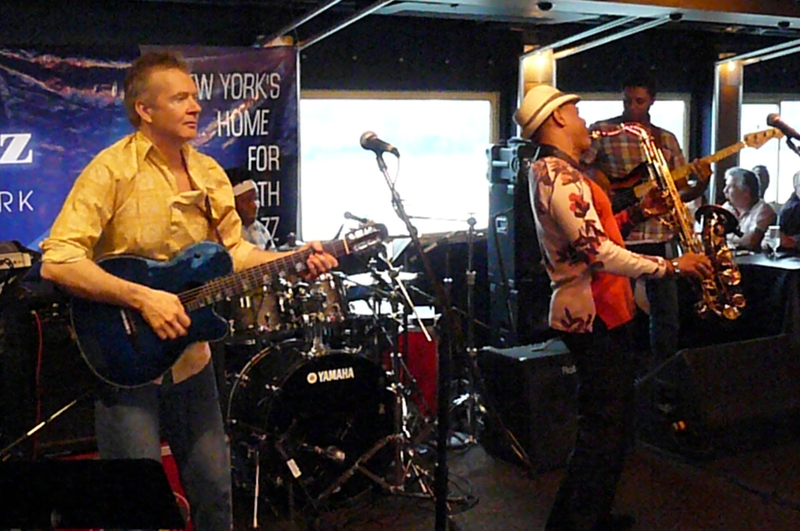 Yesterday, I went to my second Smooth Cruise in a row; this time, for Guitars & Saxes 2010. 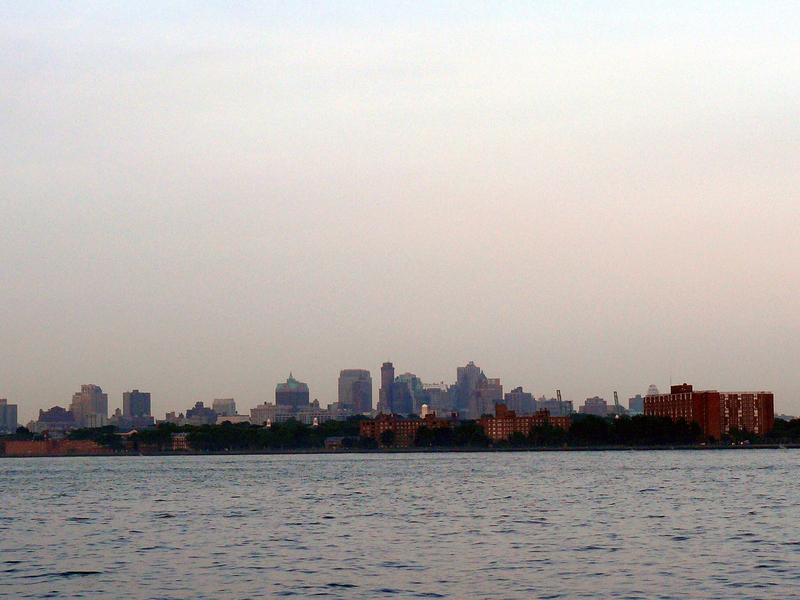 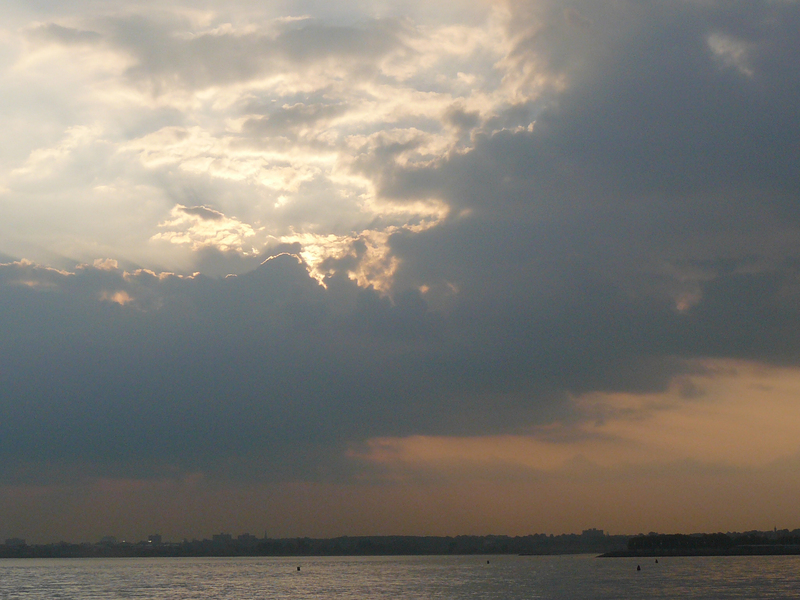 As usual, I took the sunset cruise aboard the Spirit of New York. 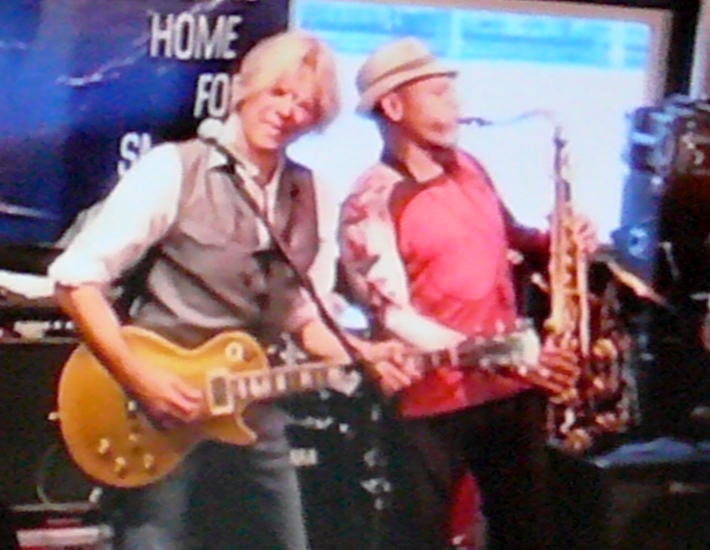 As with RnR, the last time I saw G&S before yesterday was in 2008 at IMAC. 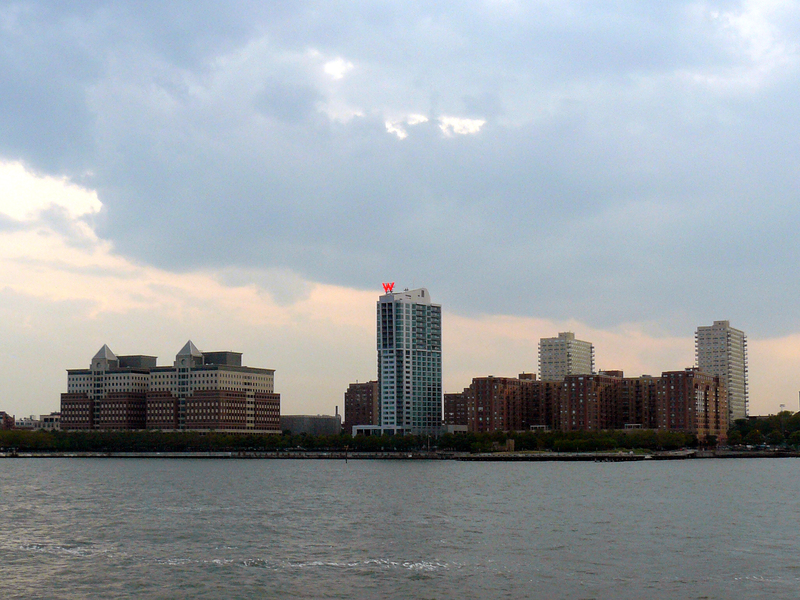 The ship left Chelsea Piers’ Pier 61 at 6:37. 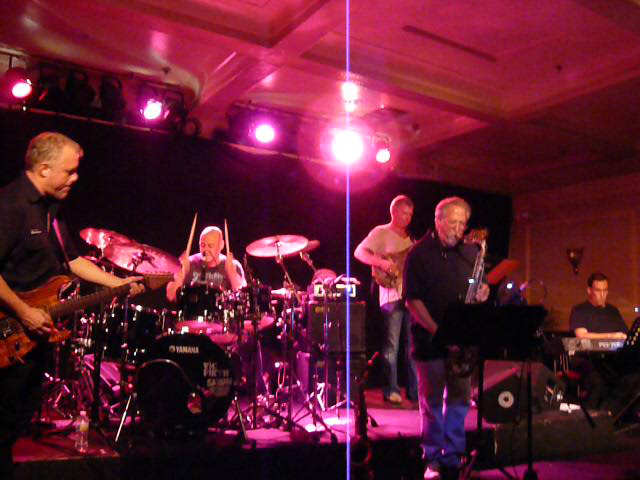 The set began at 6:50. 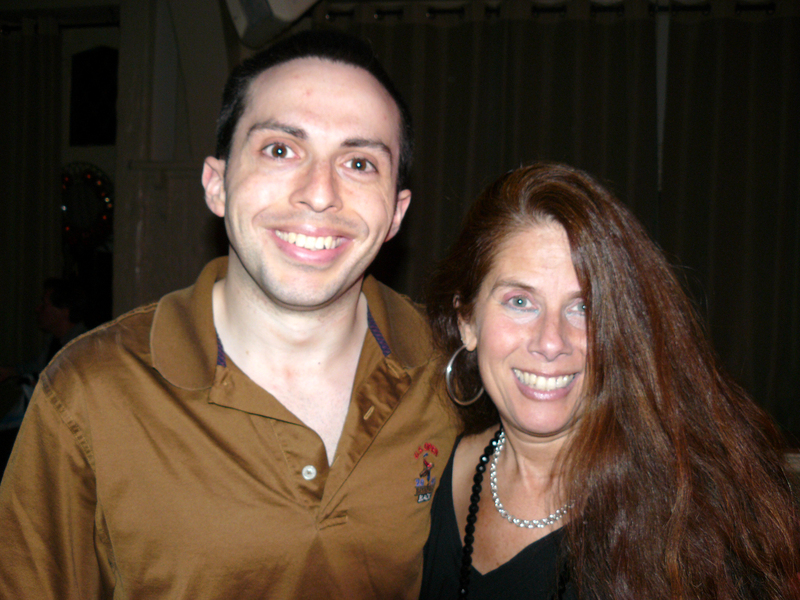 UPDATE: Hello to author Katherine Gilraine, who was among the sold out crowd last night. 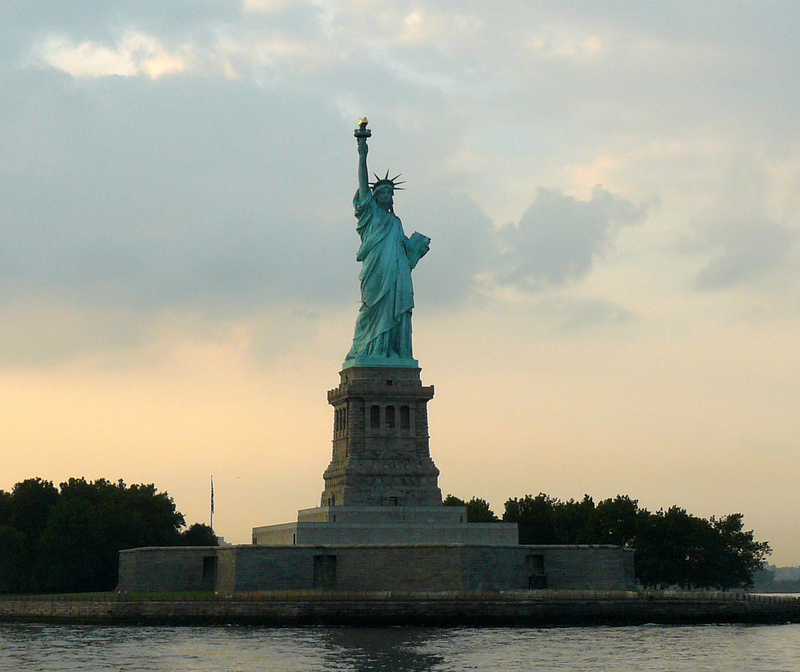 Check out her recap here. 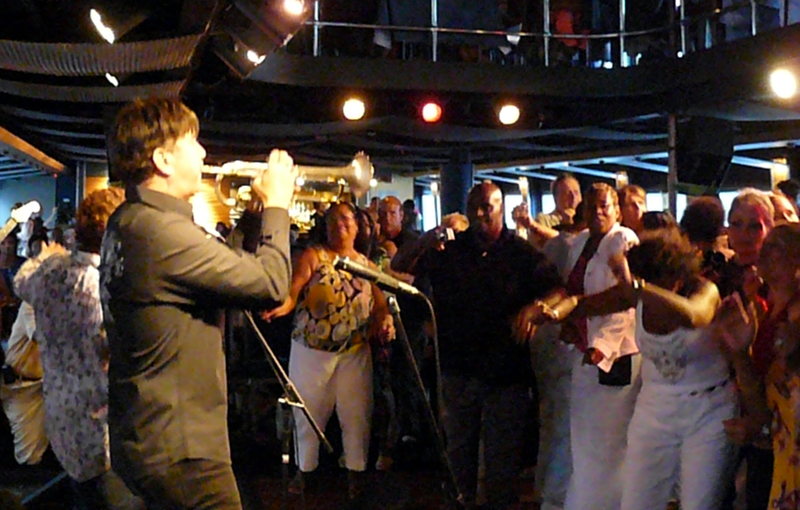 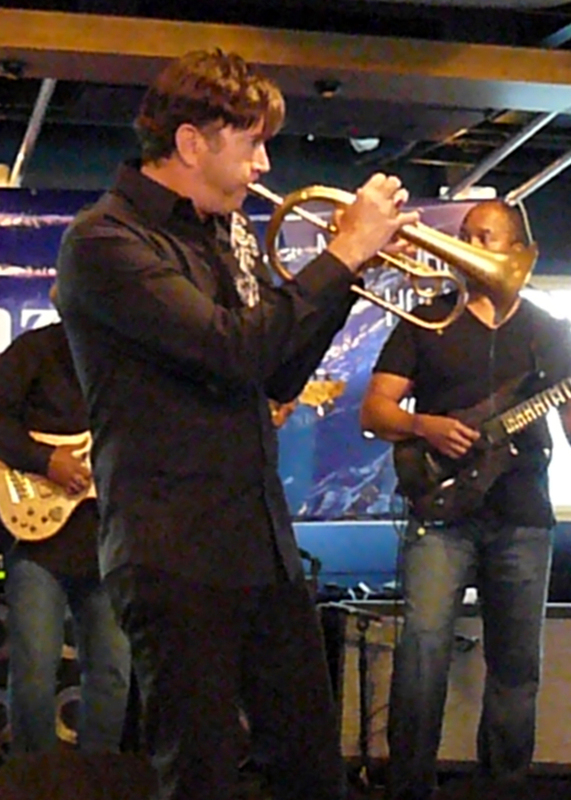 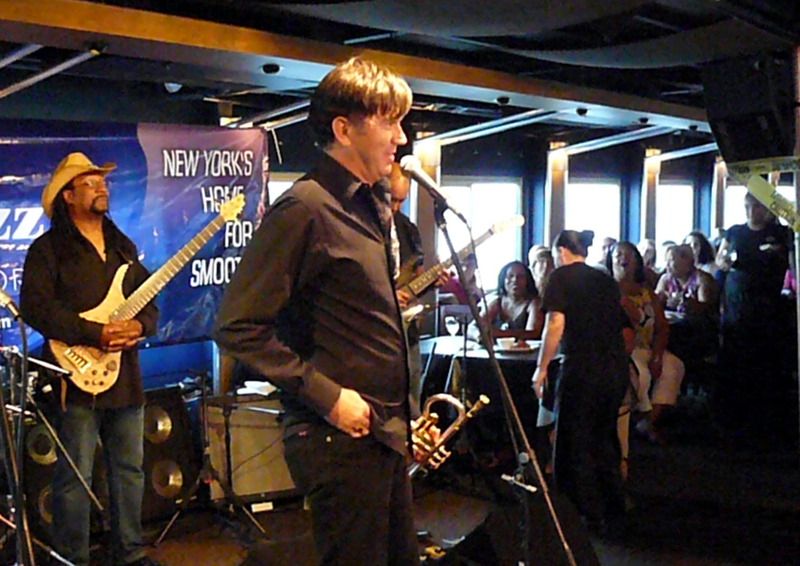 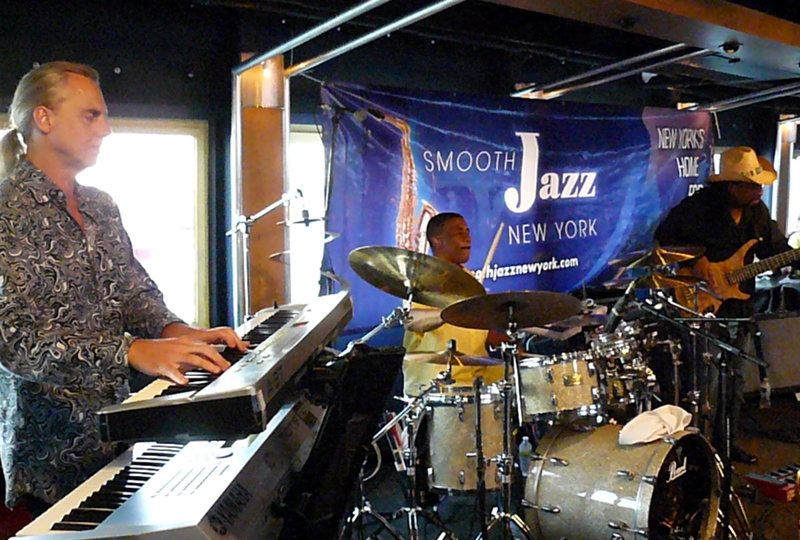 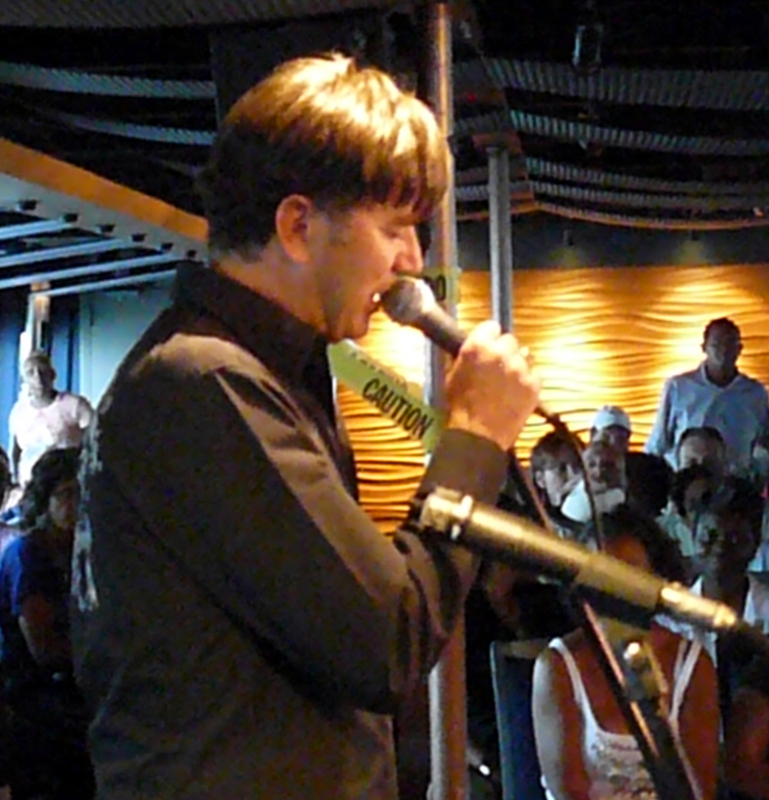 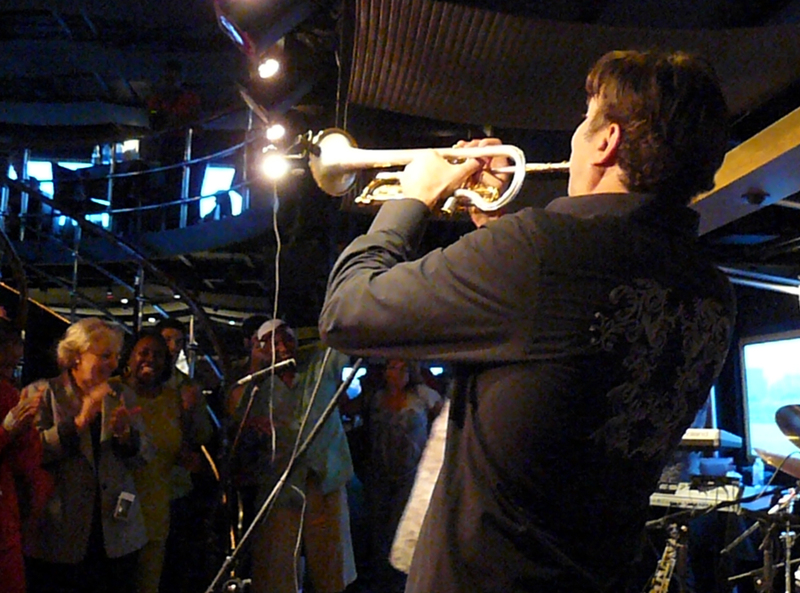 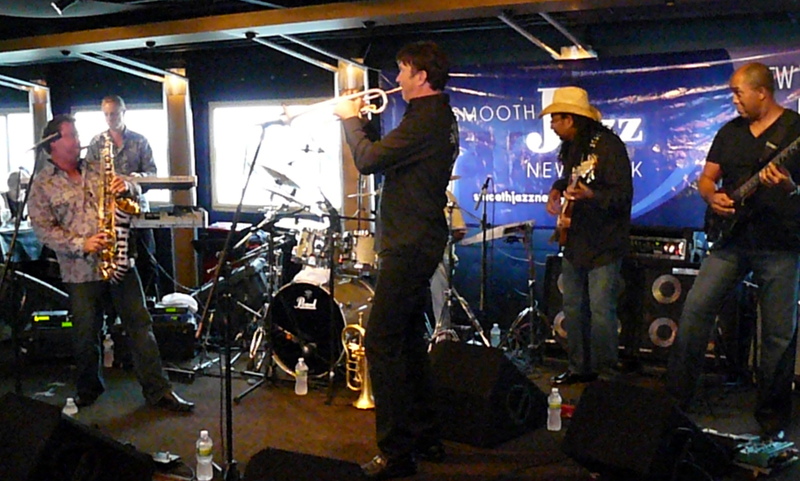 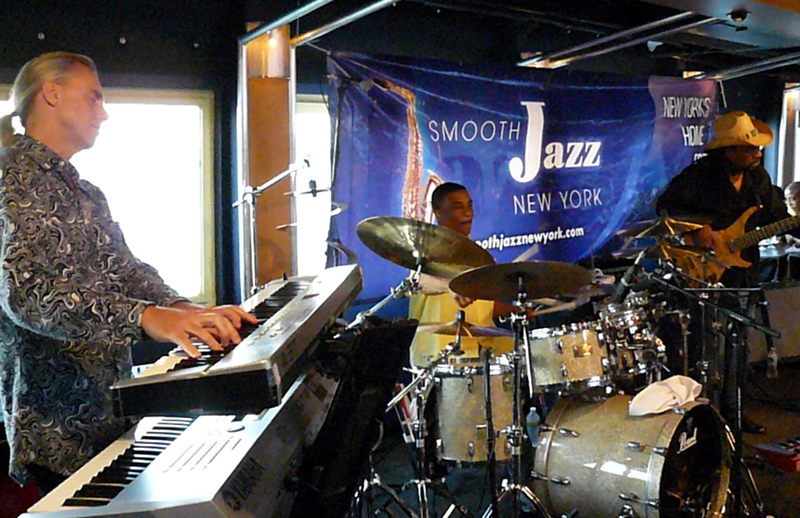 On Wednesday, I embarked on my third Smooth Cruise aboard the Spirit of New York. 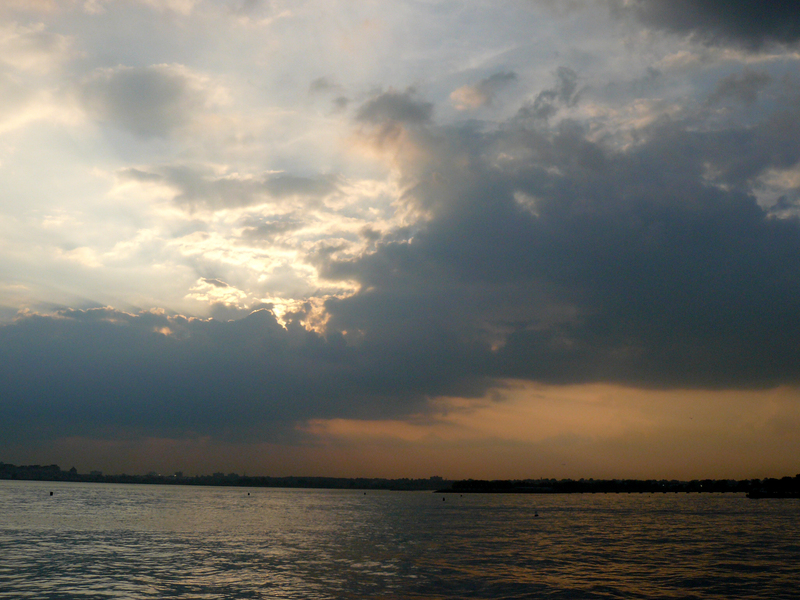 The cruise was their 6:30 PM sunset cruise. 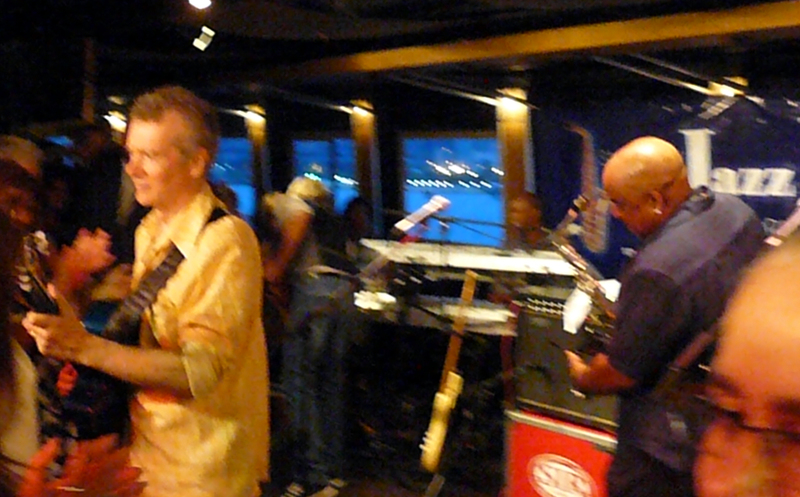 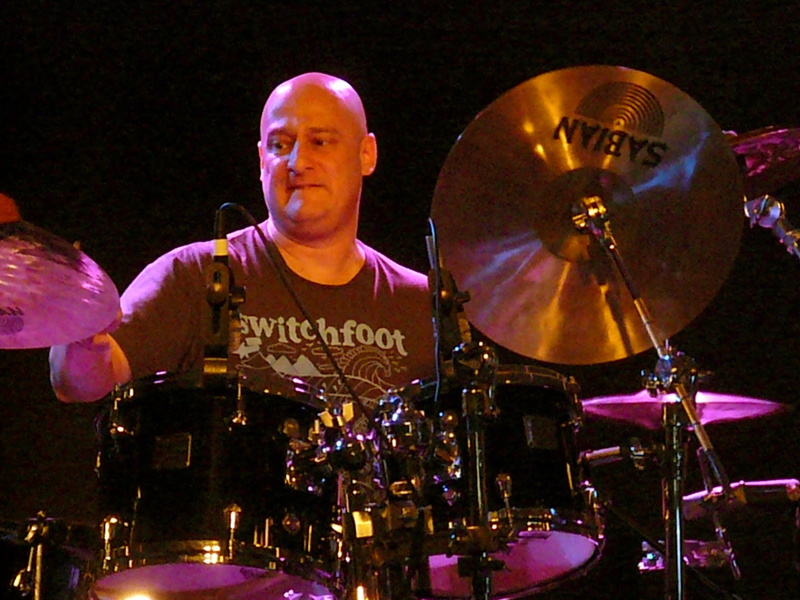 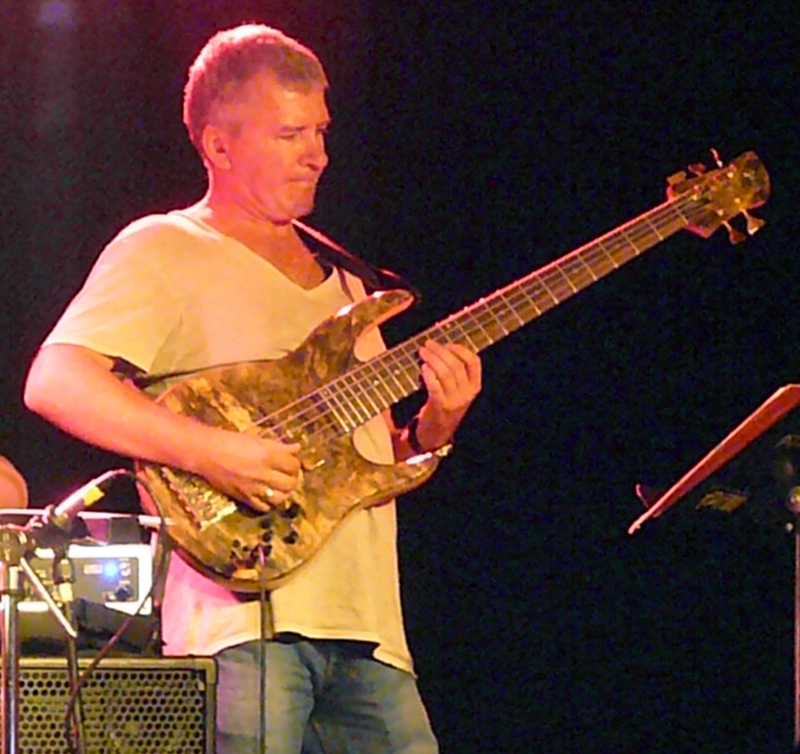 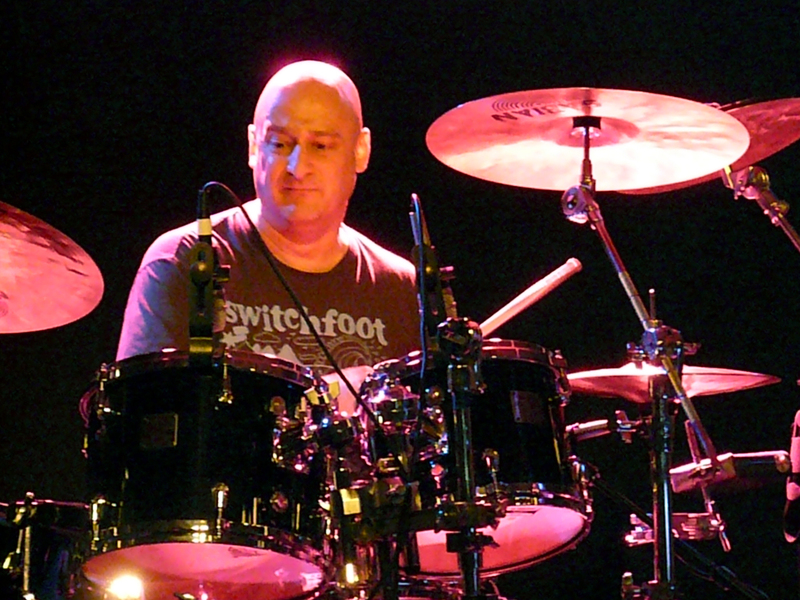 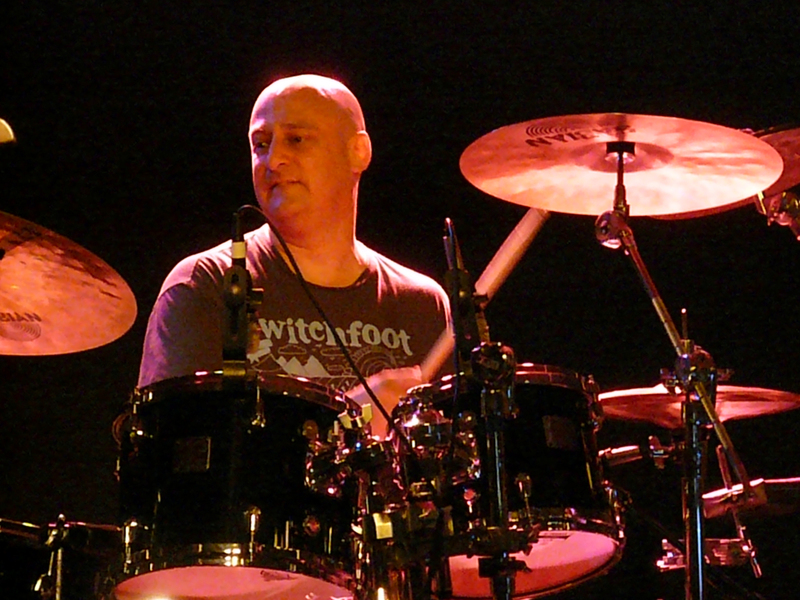 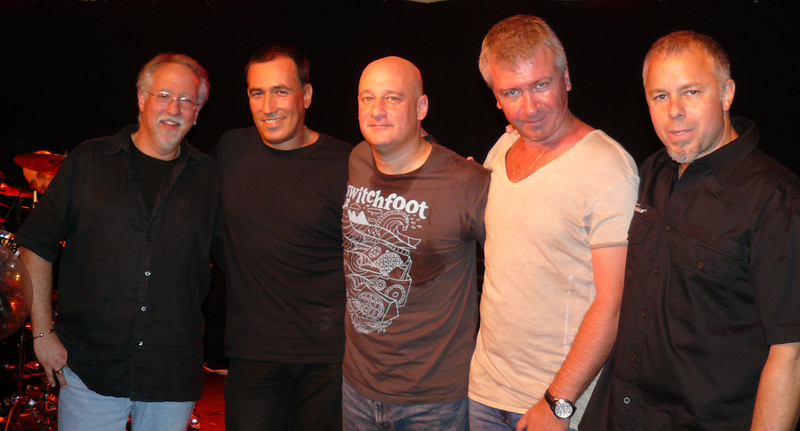 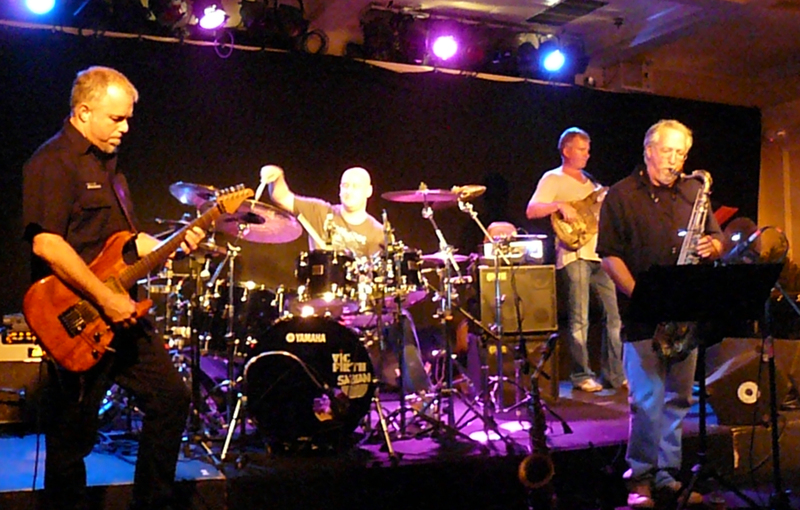 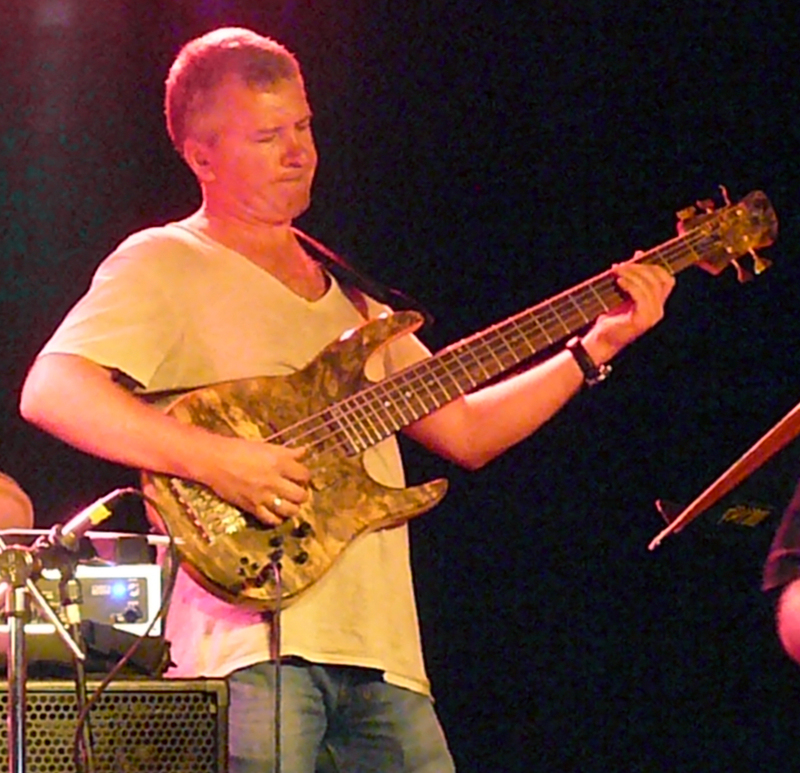 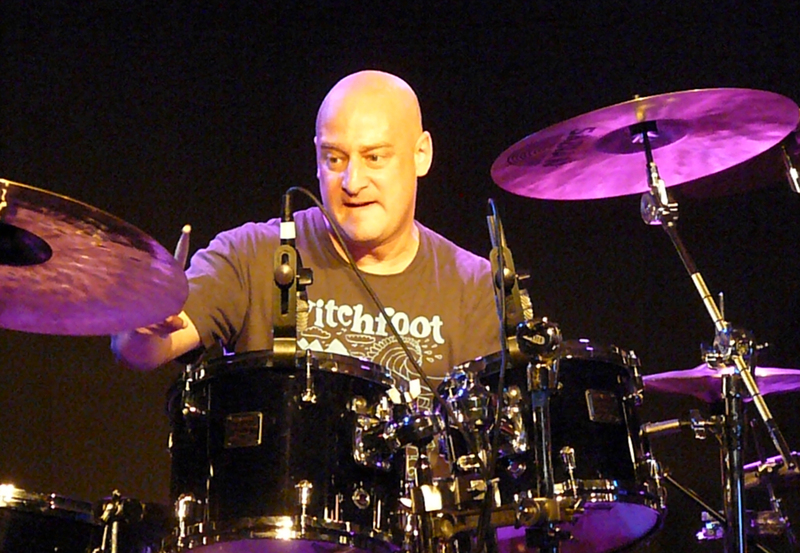 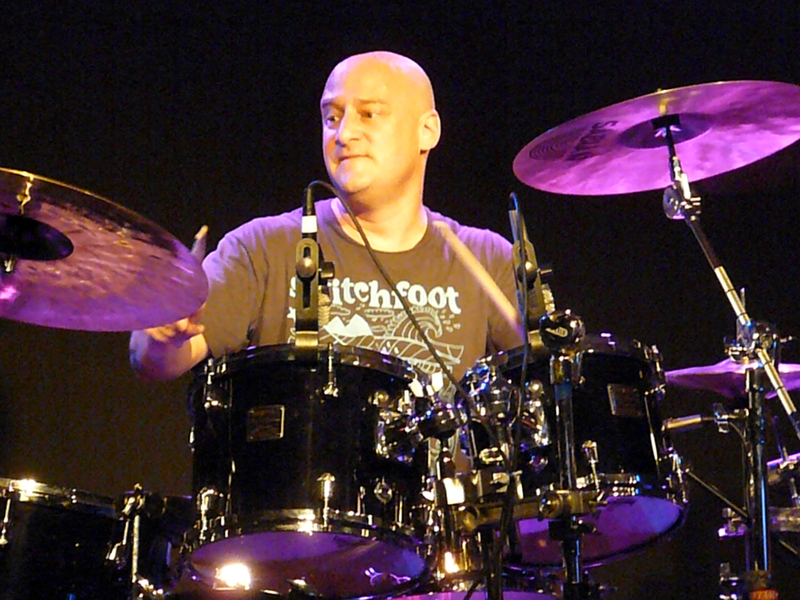 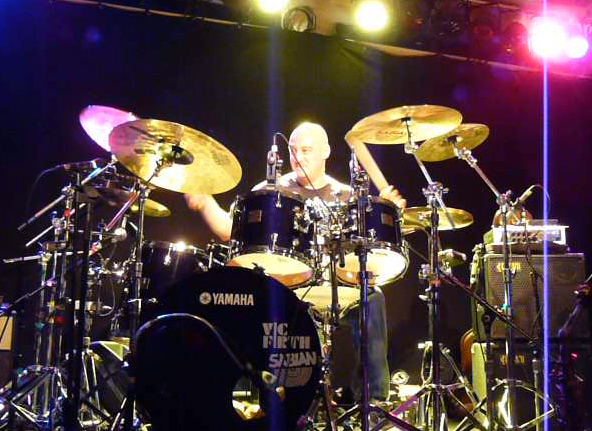 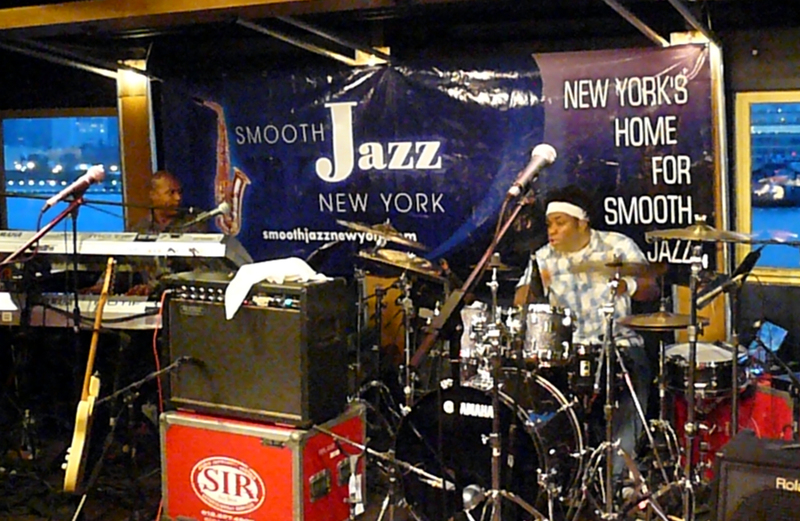 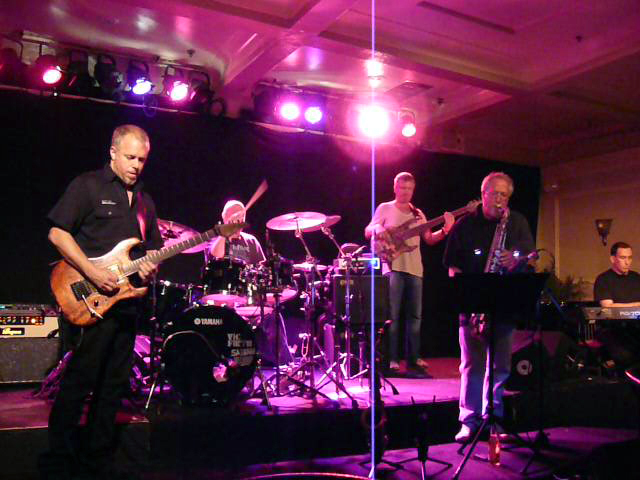 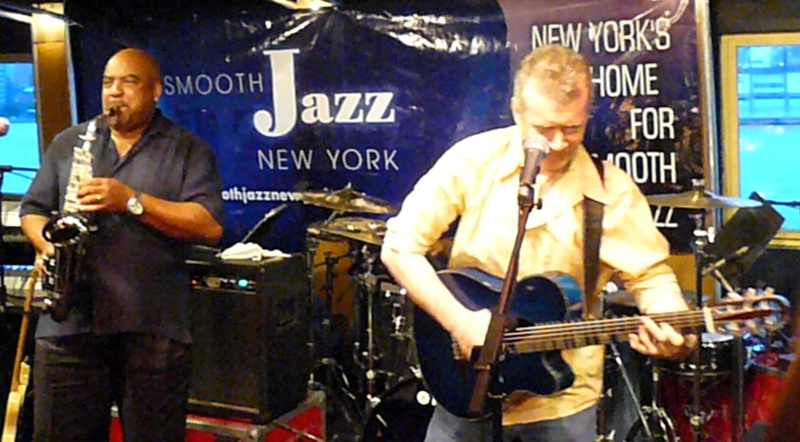 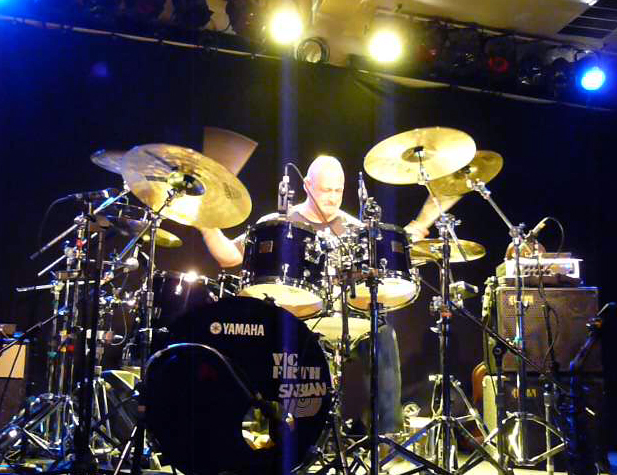 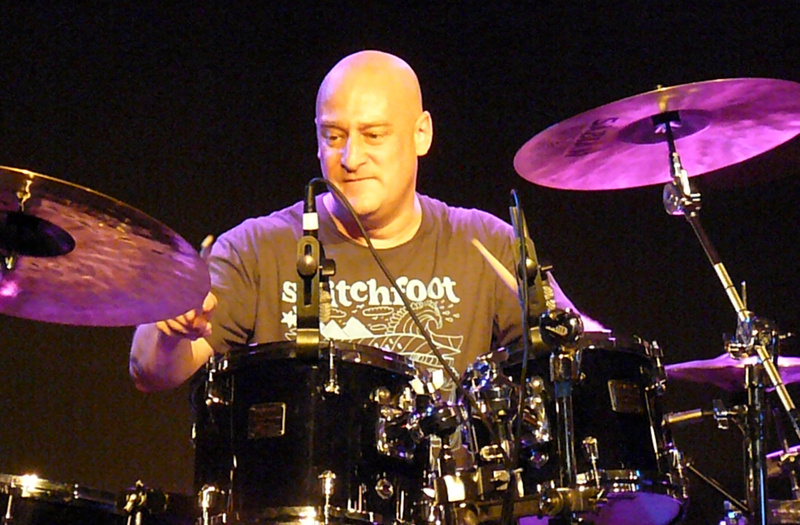 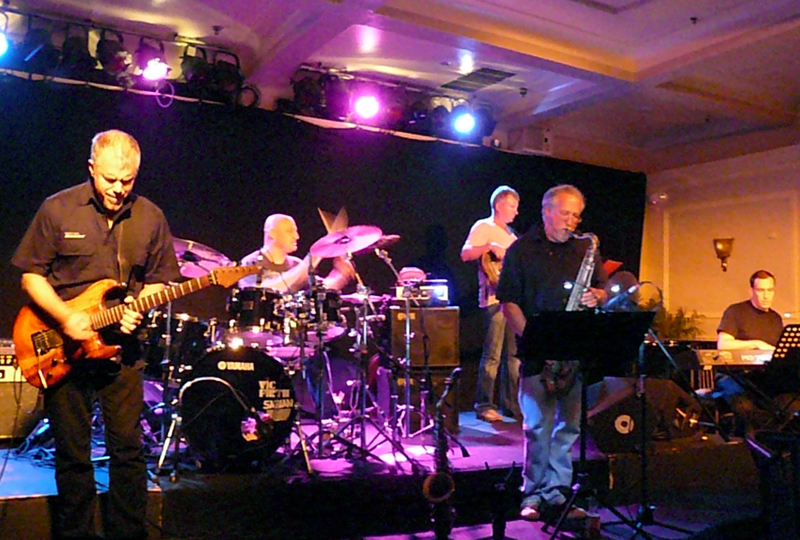 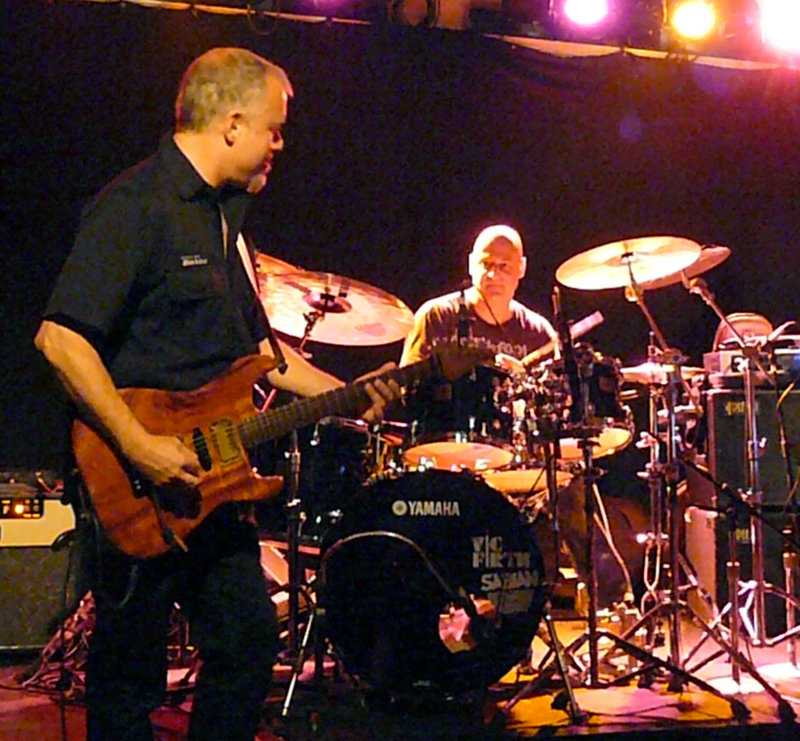 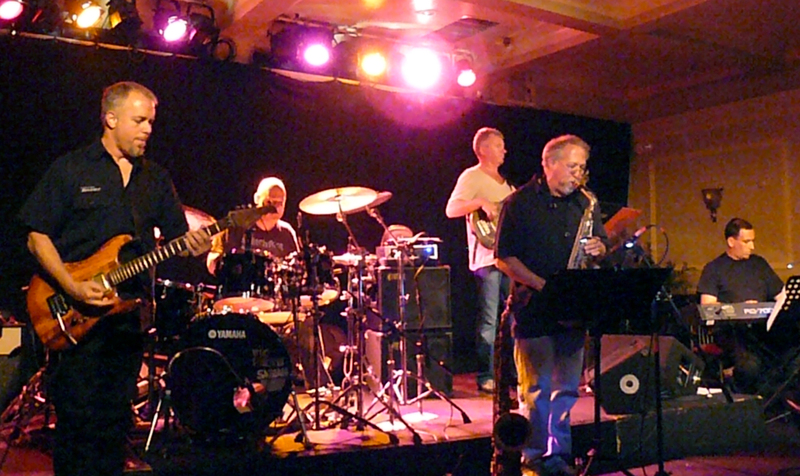 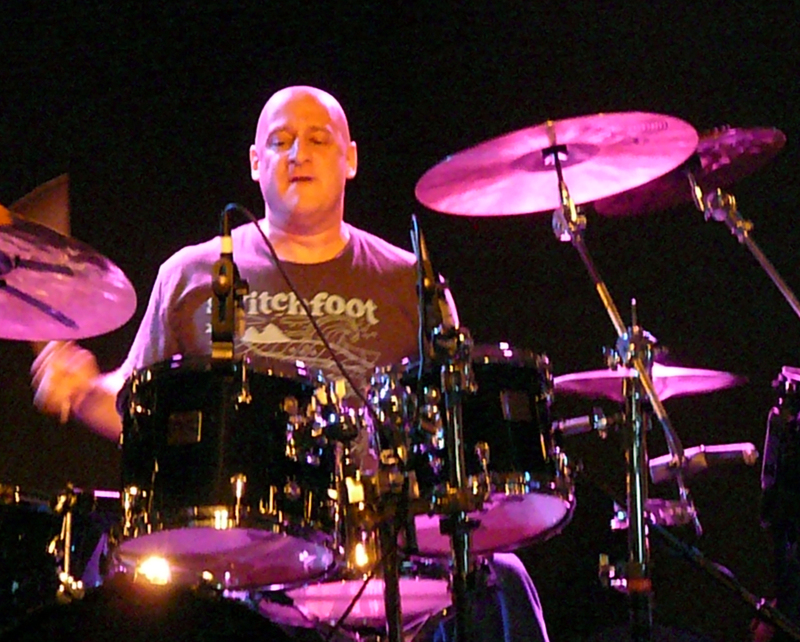 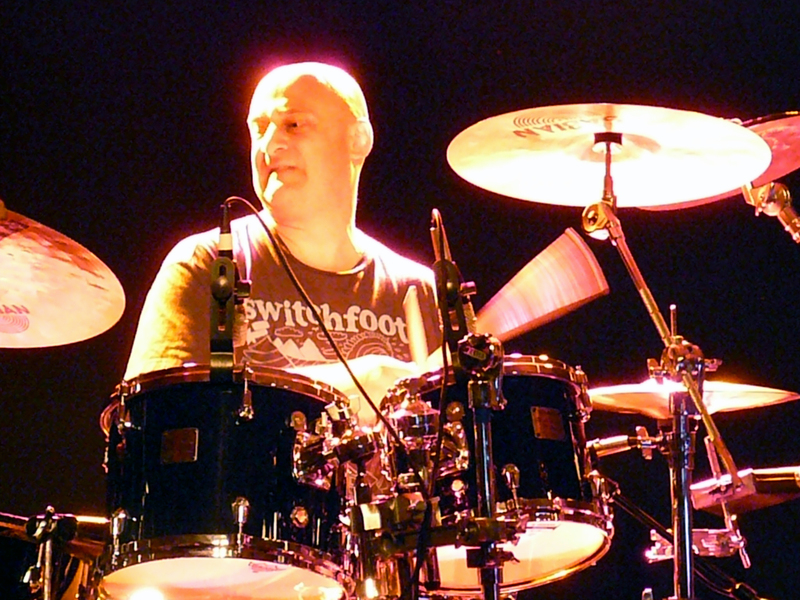 In 2008, I saw Spyro Gyra. 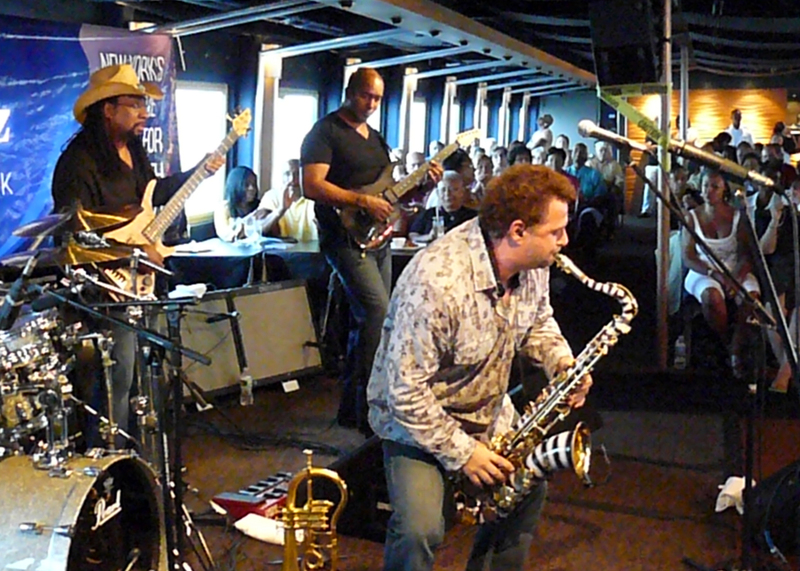 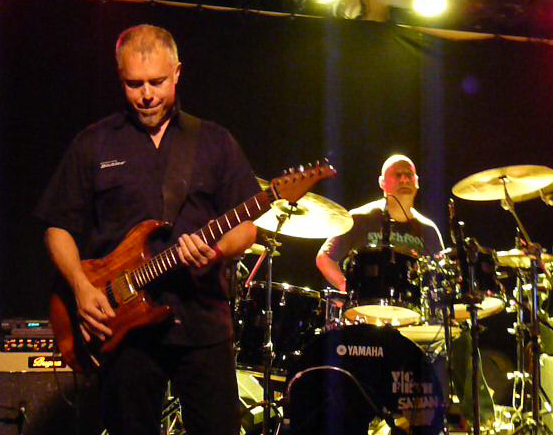 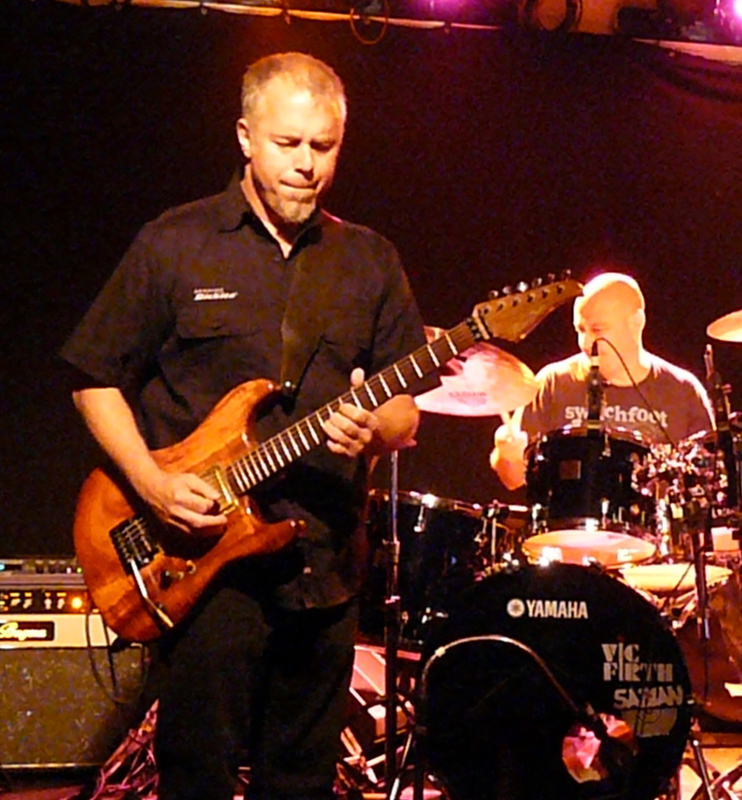 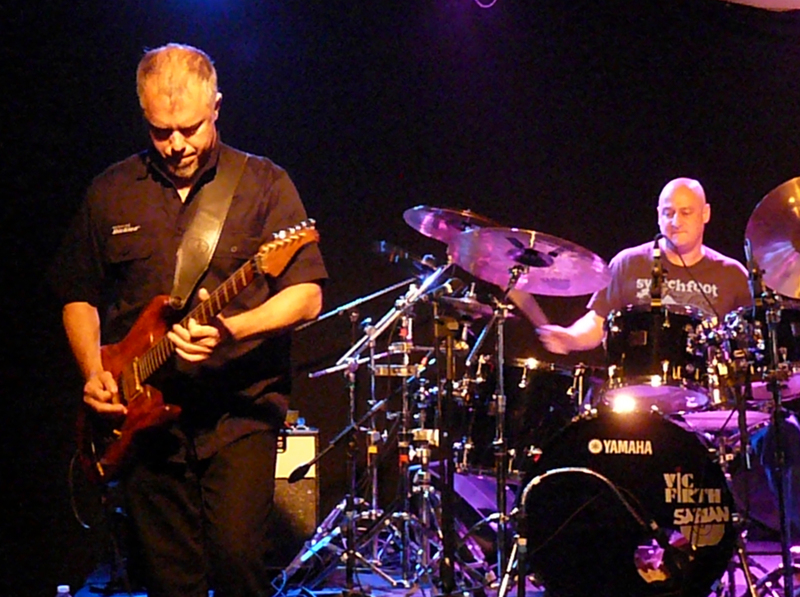 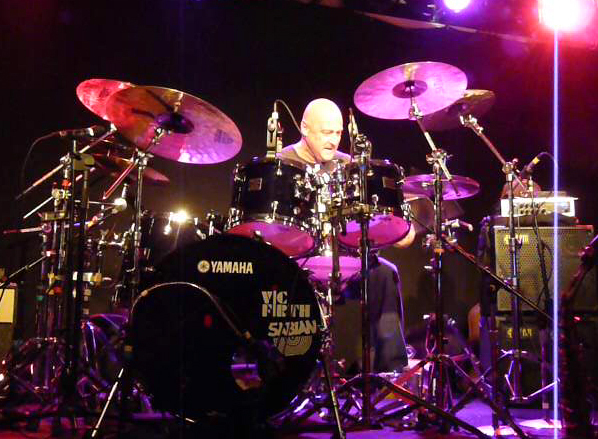 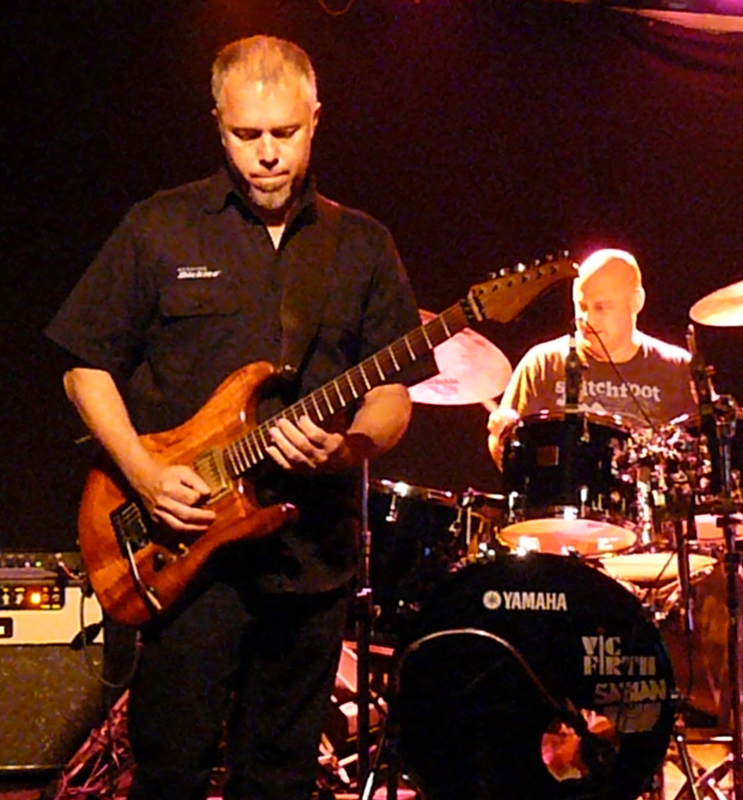 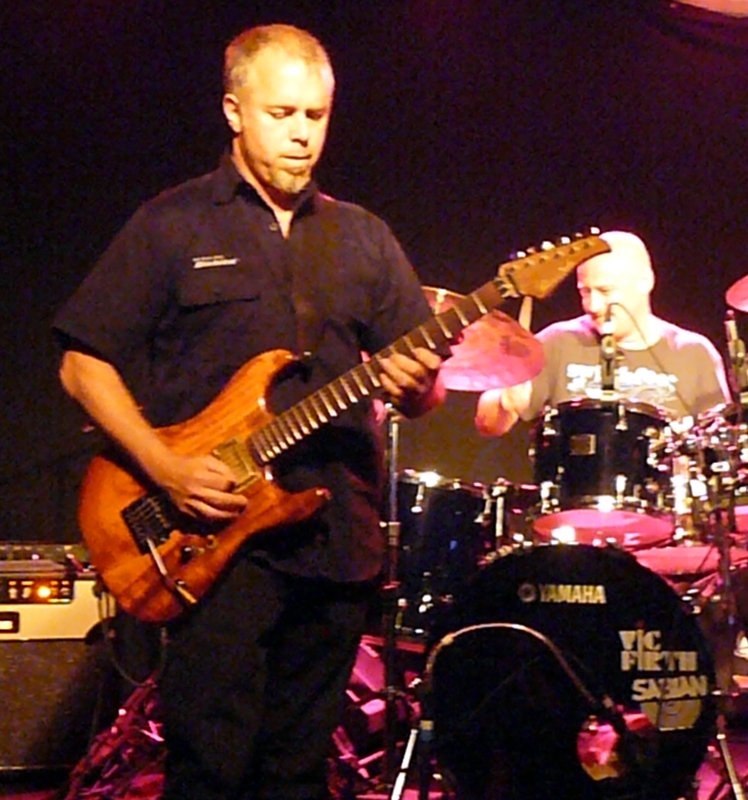 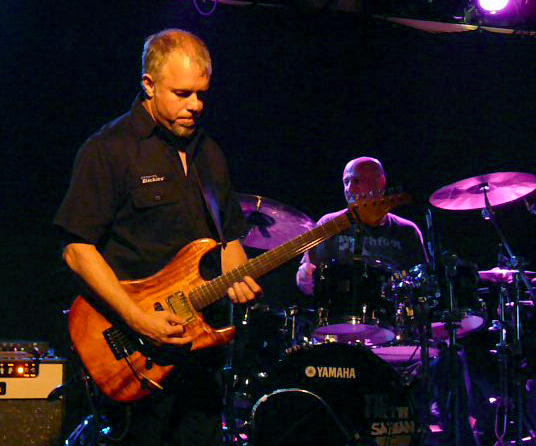 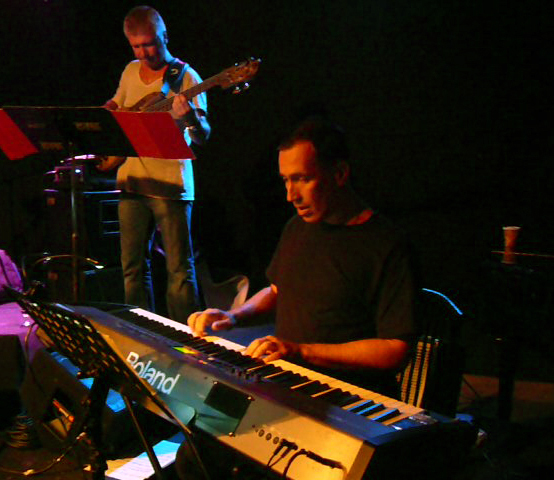 In 2009, I caught the Rippingtons. 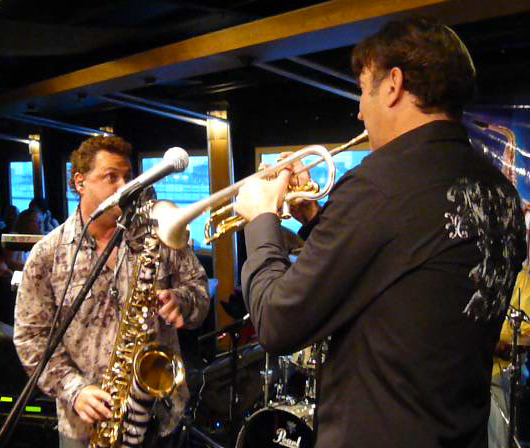 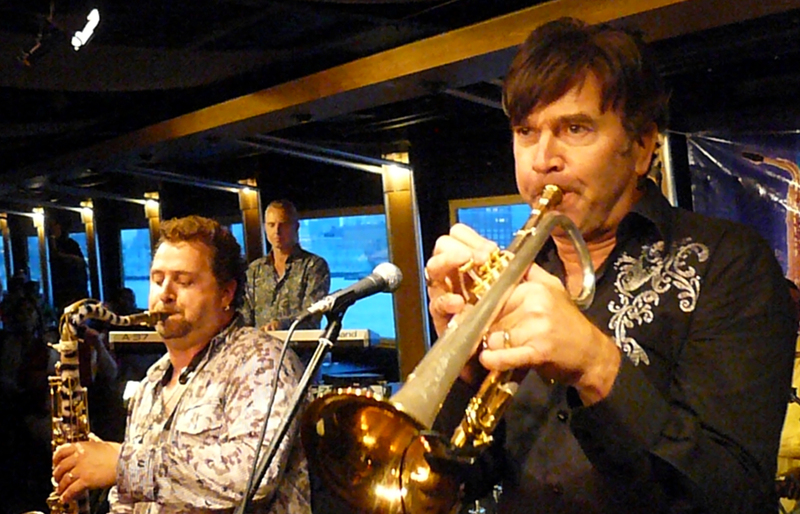 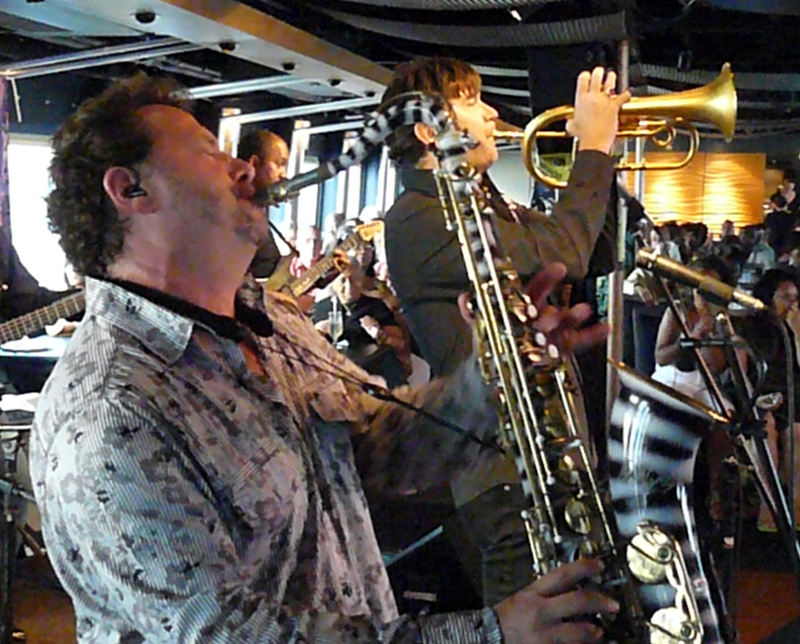 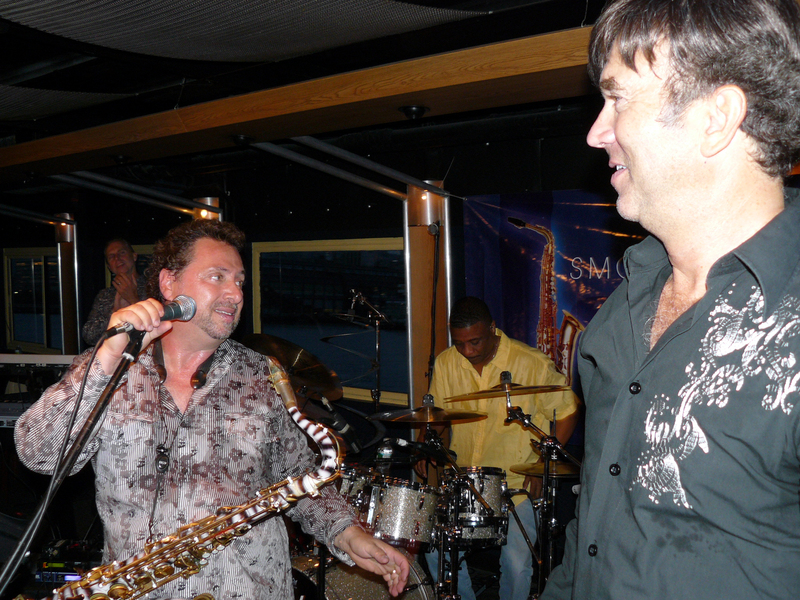 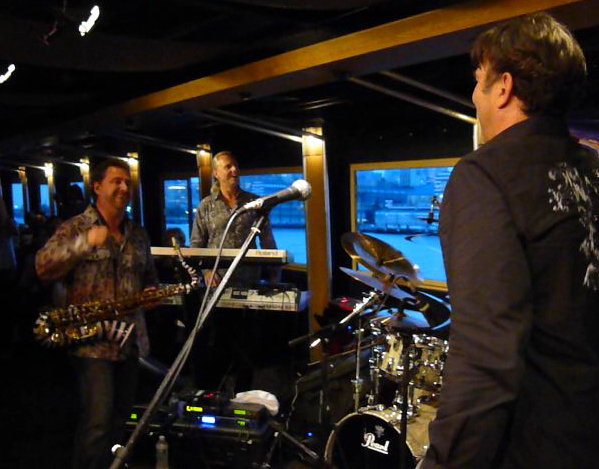 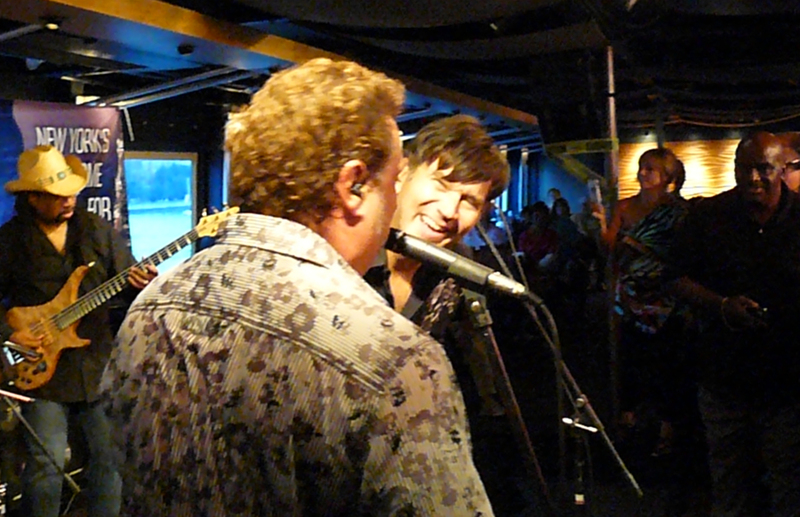 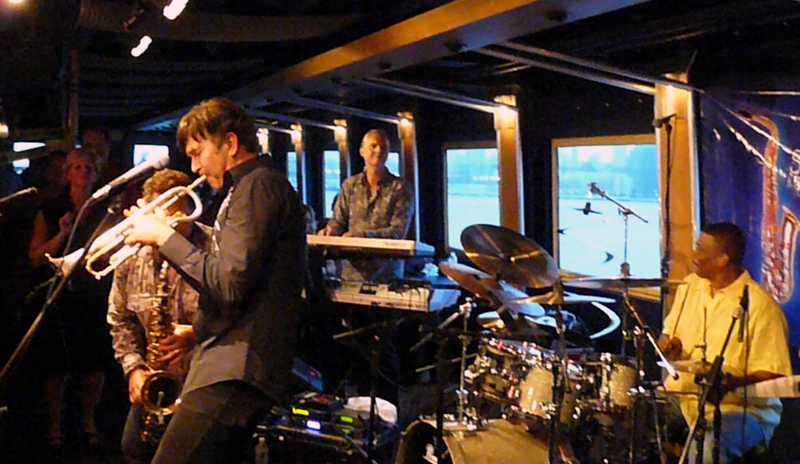 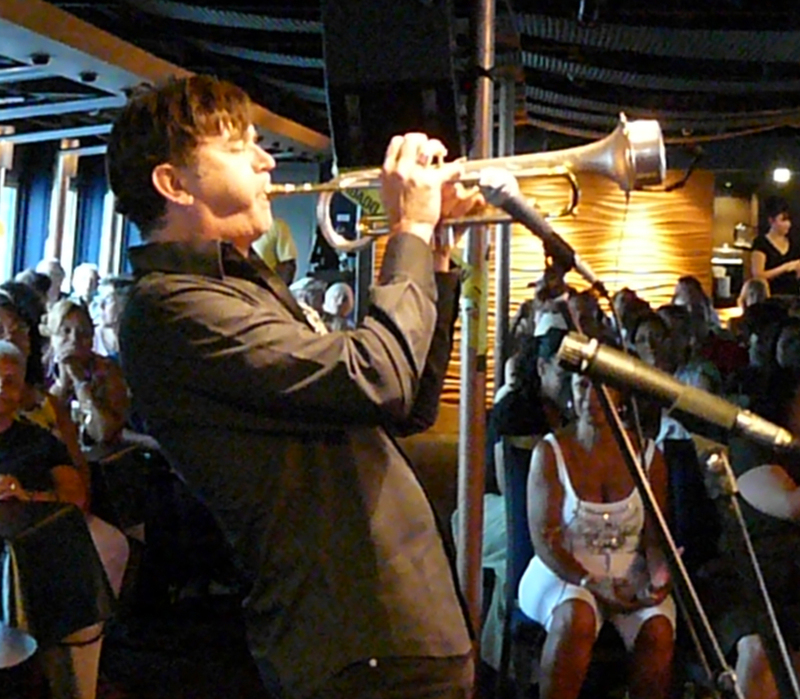 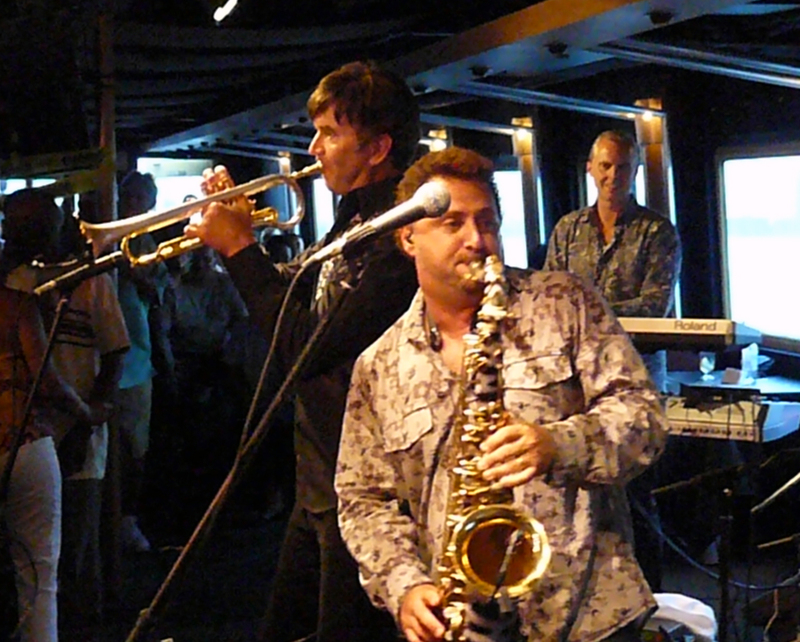 This time, the group was RnR: Rick Braun and Richard Elliot. 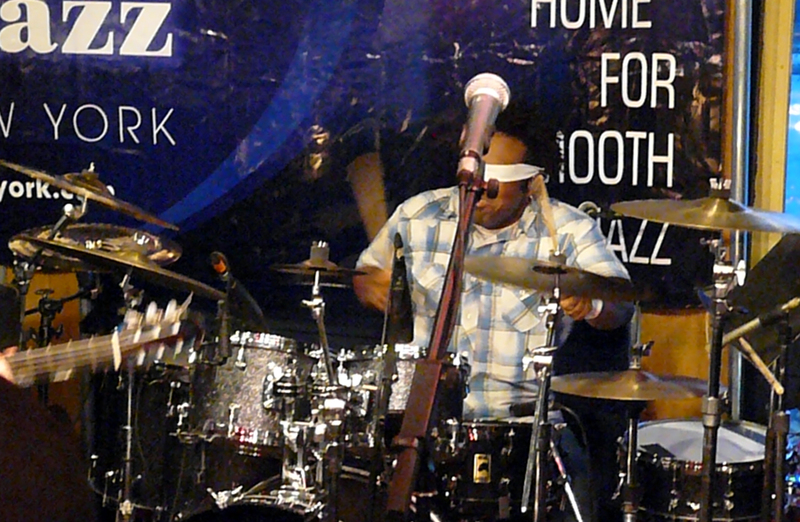 It was the first time I had seen them since June 2008 at IMAC. 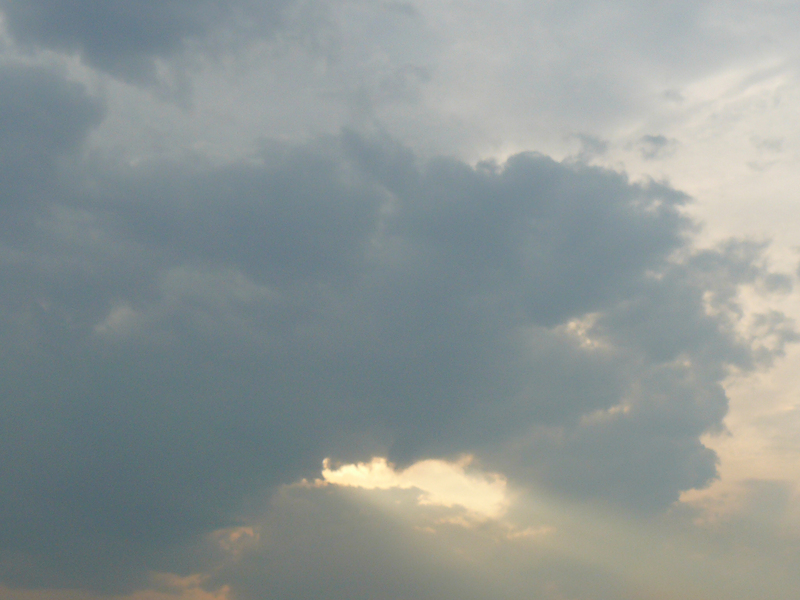 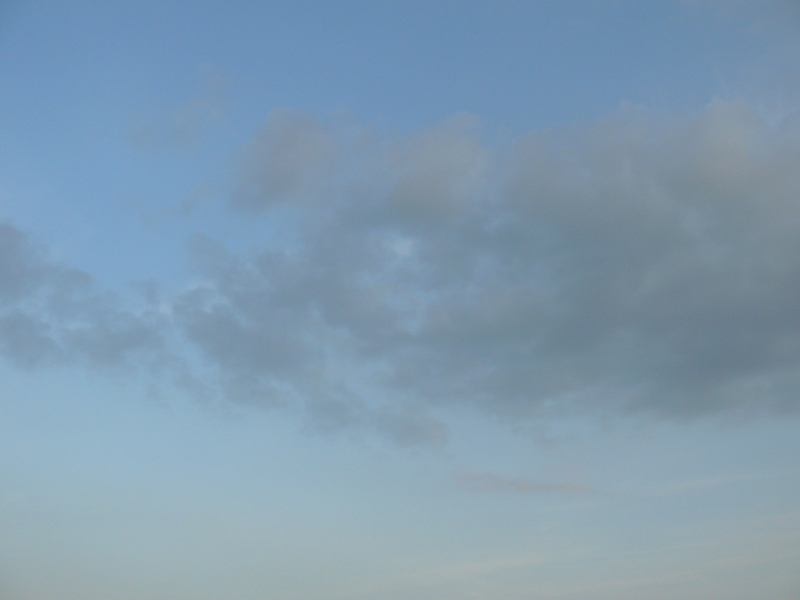 I went outside for a few minutes to snap some pictures. 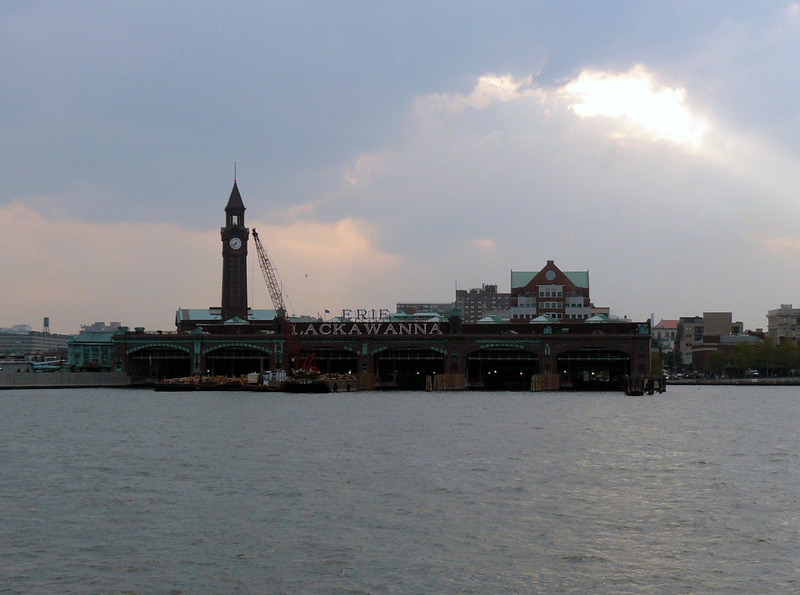 The ship then turned around, heading back for Chelsea Piers. 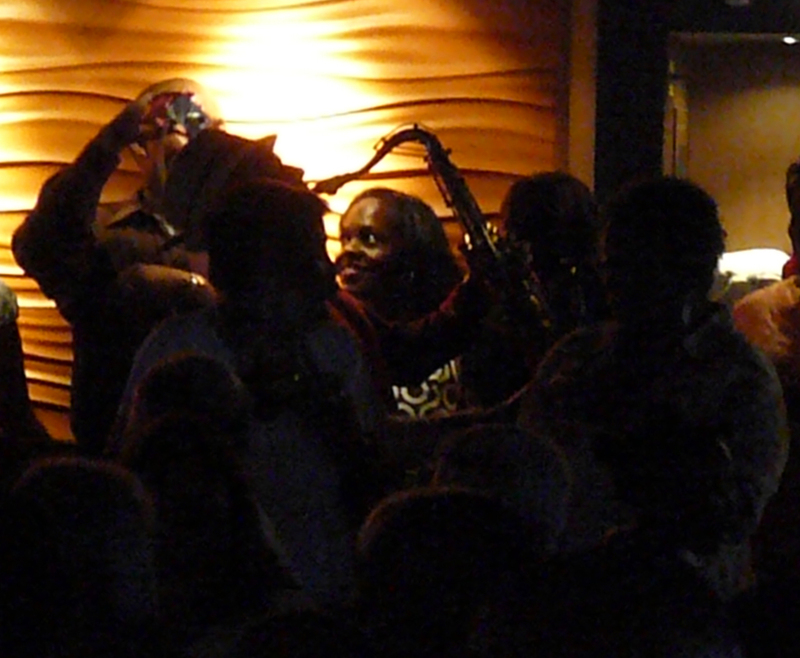 Those on the floor didn’t leave until the set was over. 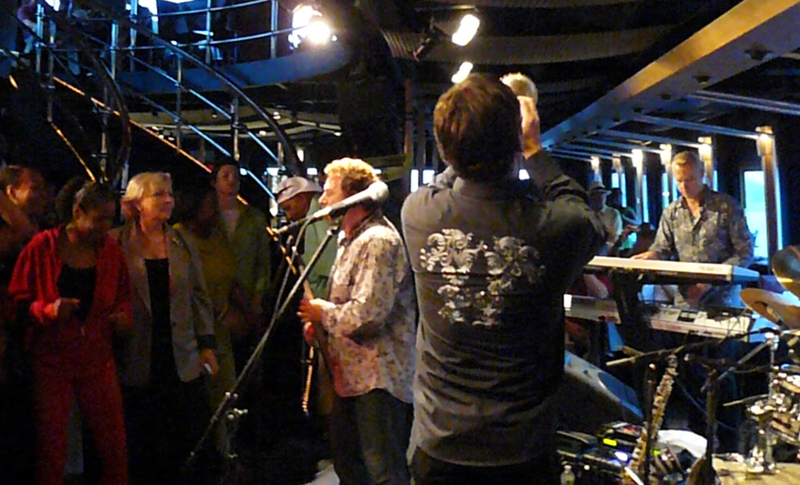 The band left the stage for what felt like ten seconds and came back for an encore. 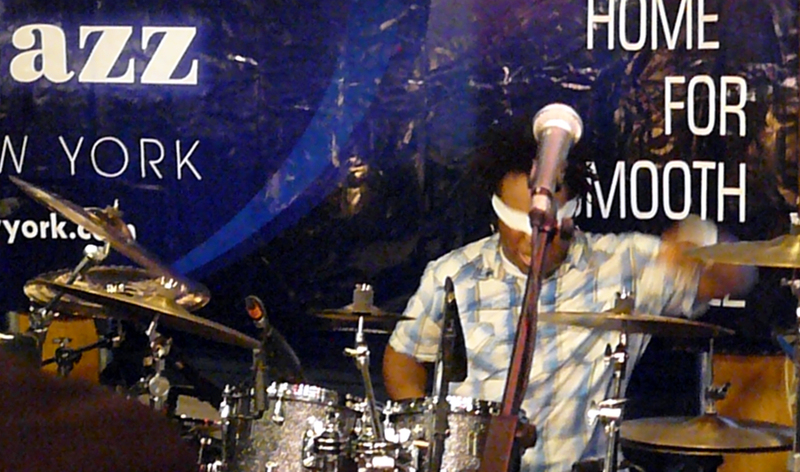 The set was exhilarating. 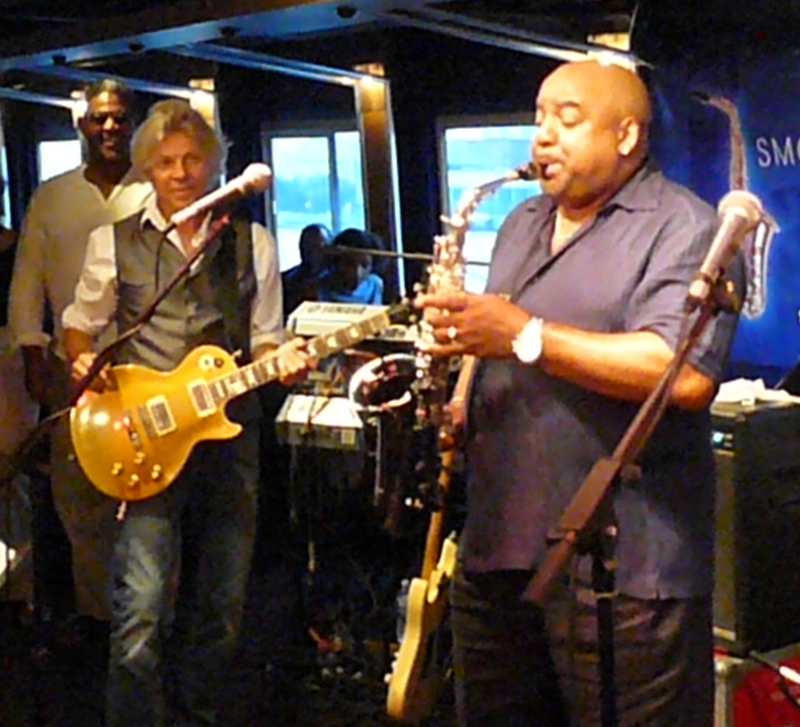 And after all that, Rick and Richard had a moonlight cruise set at 9:30. 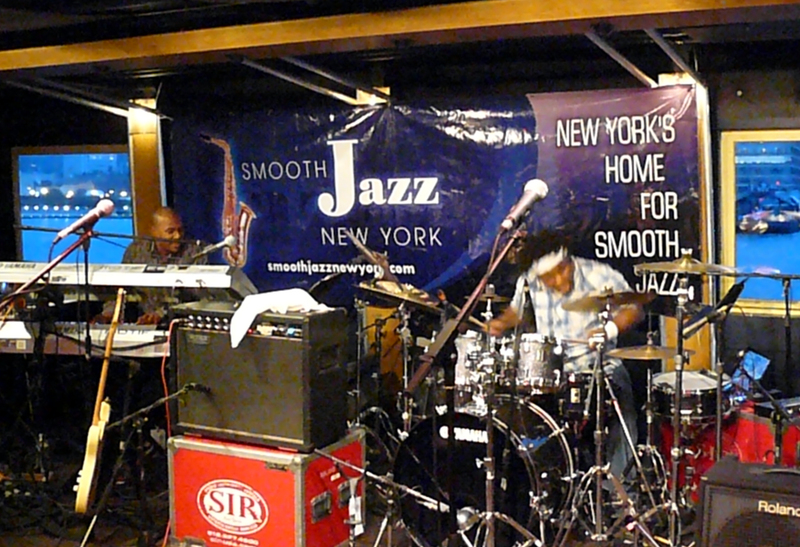 I have no doubt that it was just as exhilarating then as it was for the set I saw. 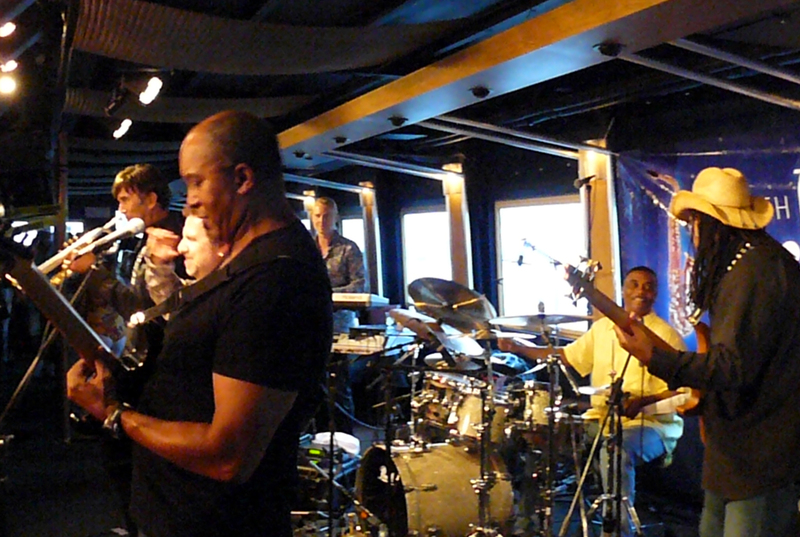 Thanks to Rick, Richard, Dwight, Nate, Ricky, and Ron. 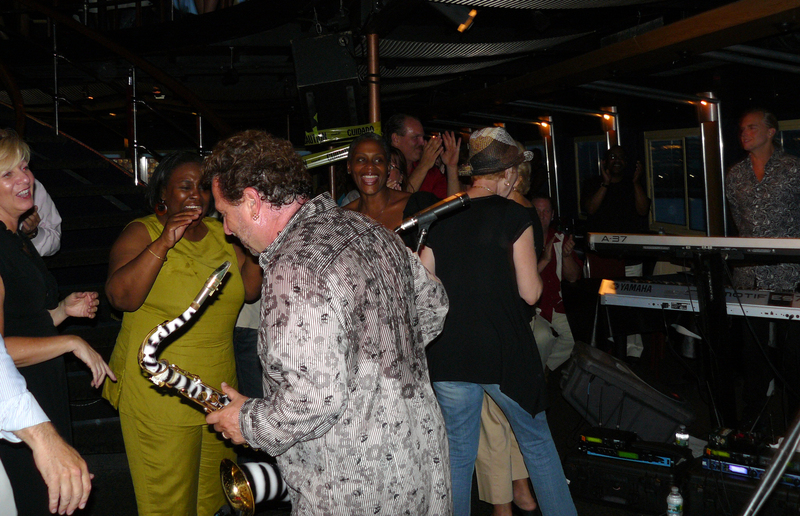 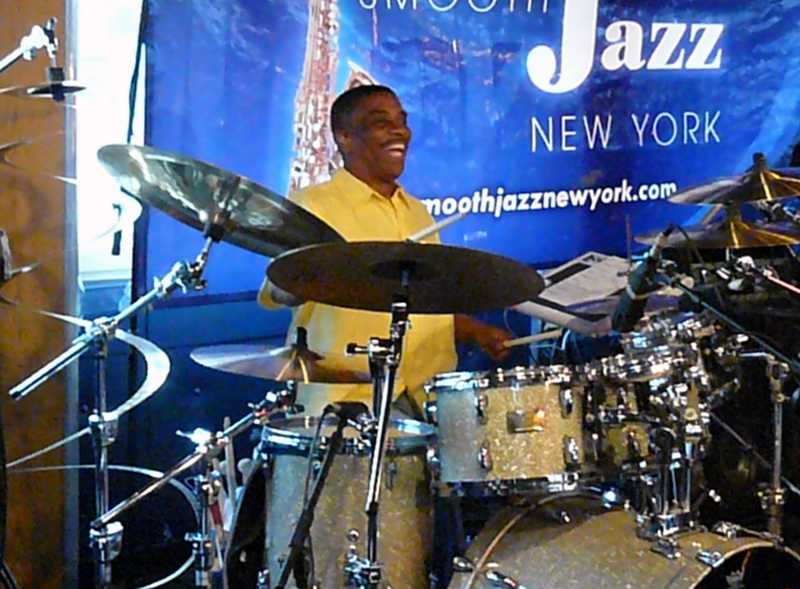 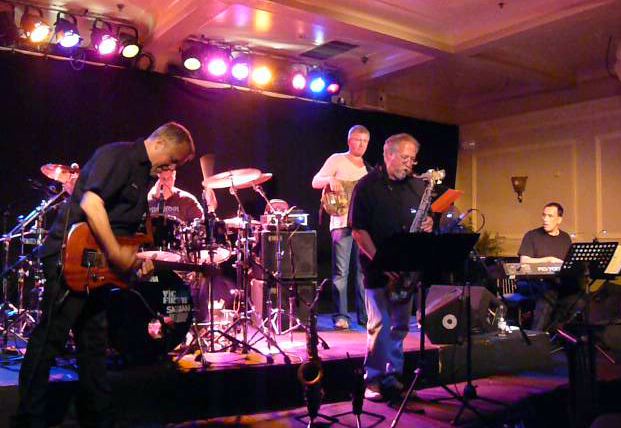 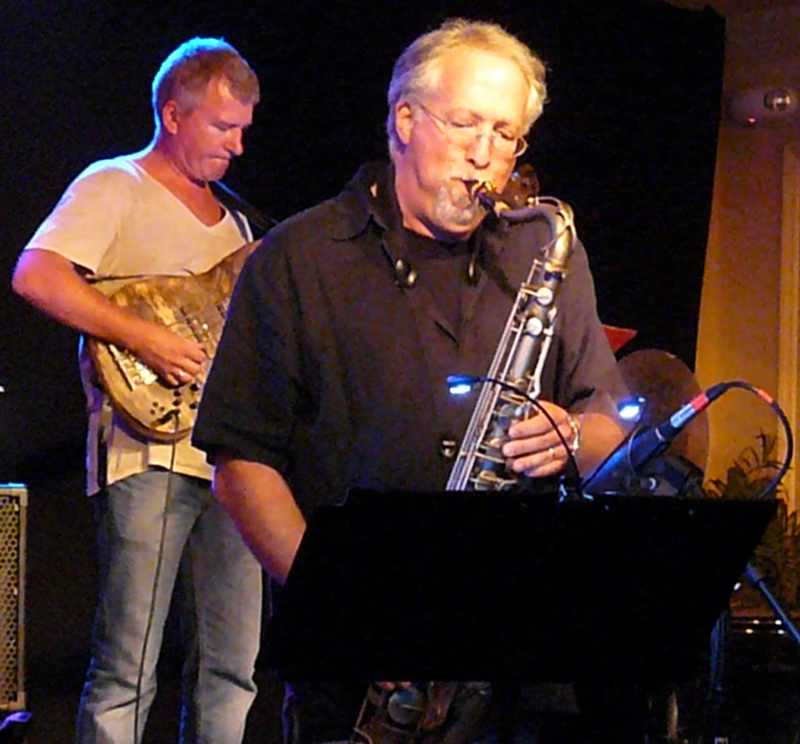 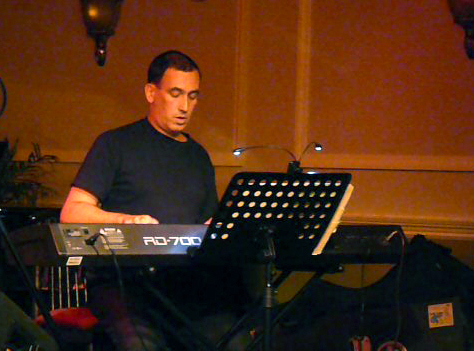 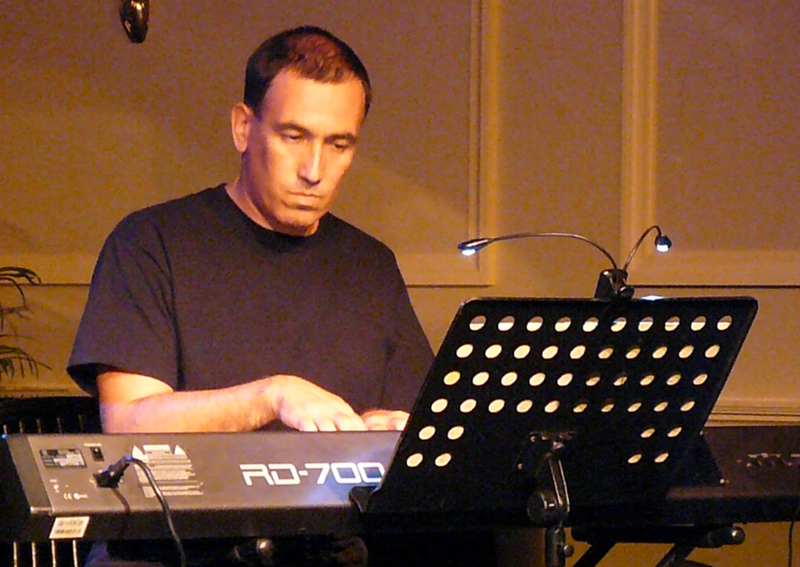 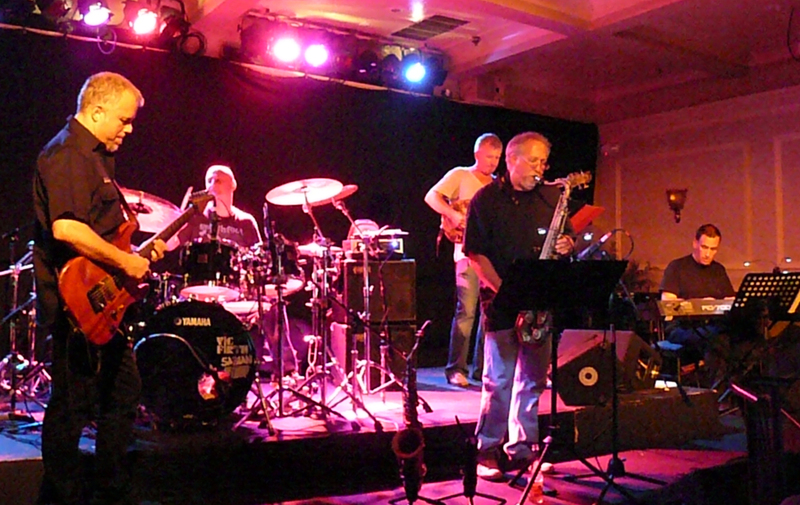 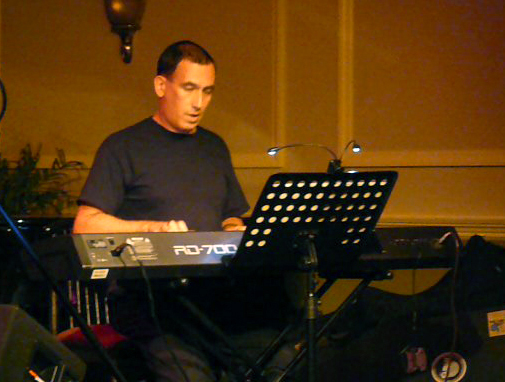 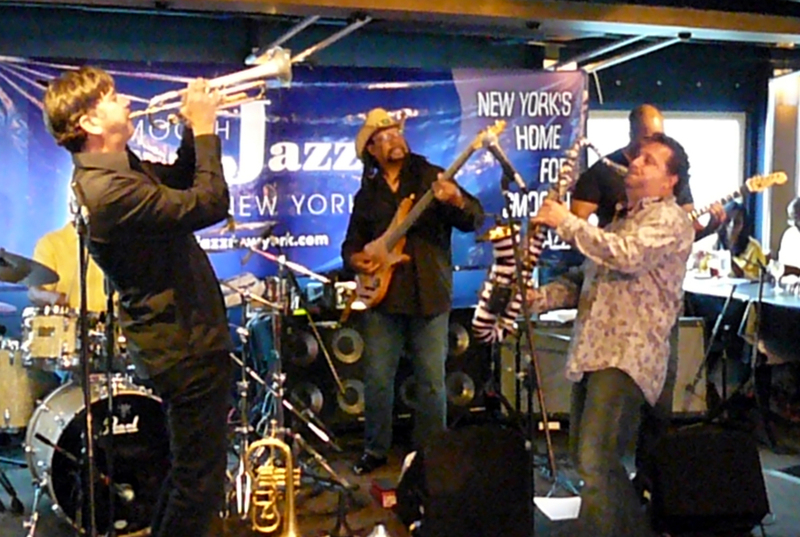 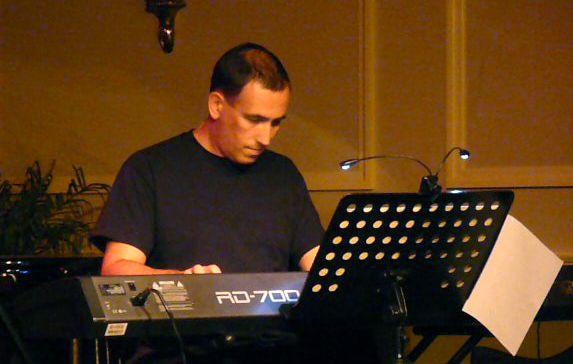 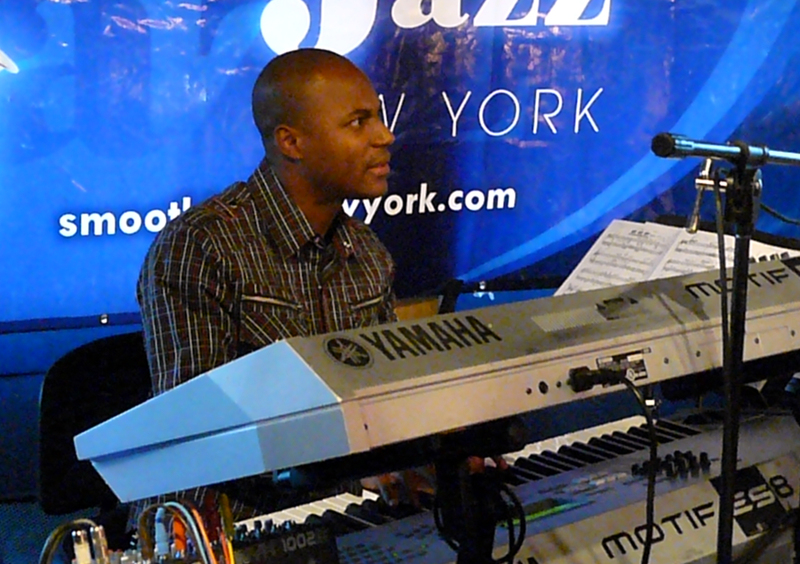 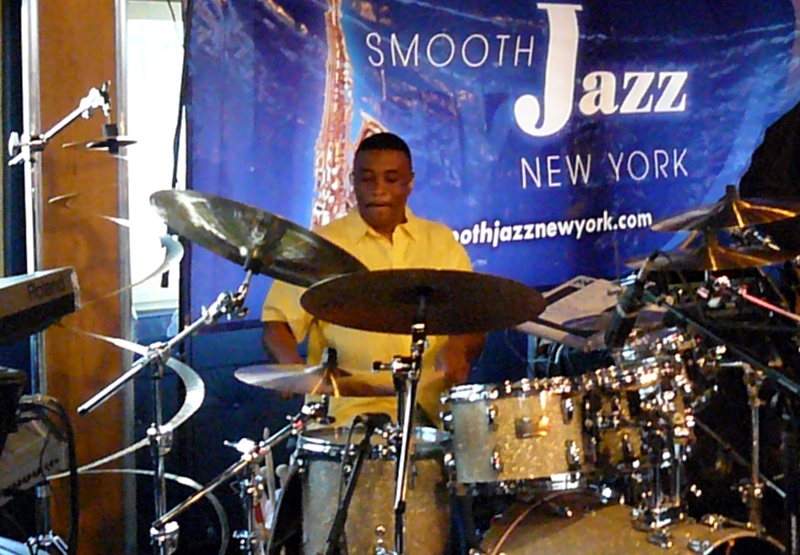 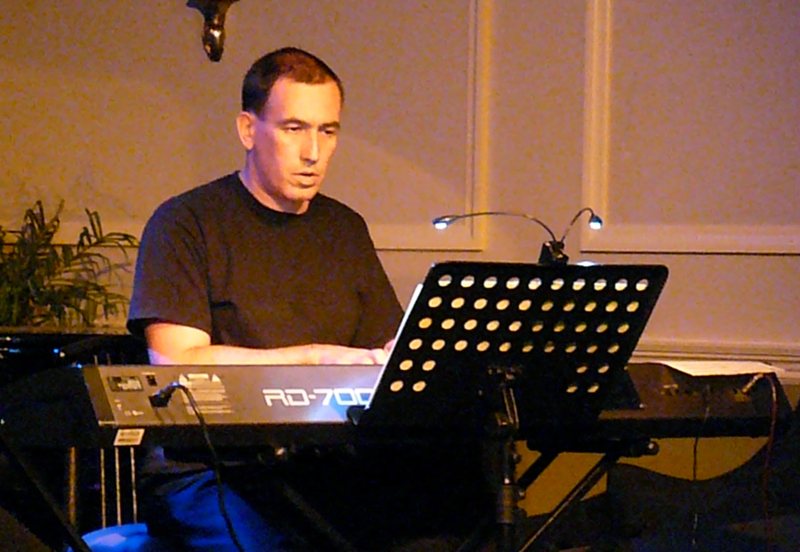 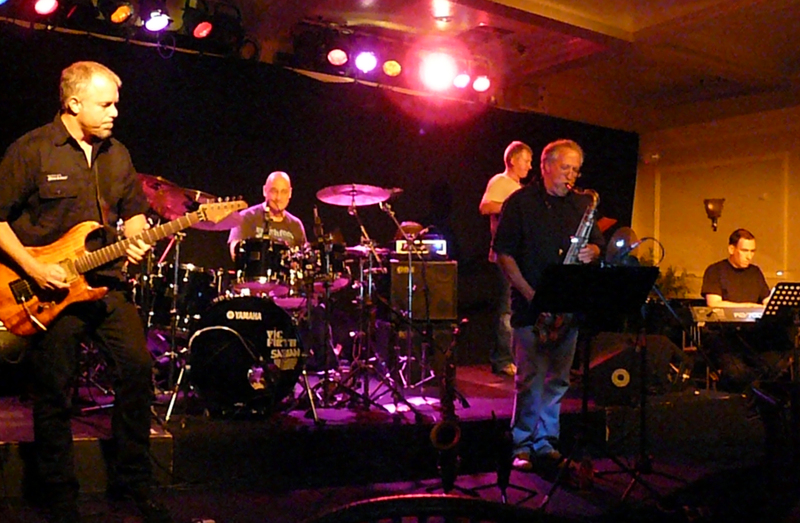 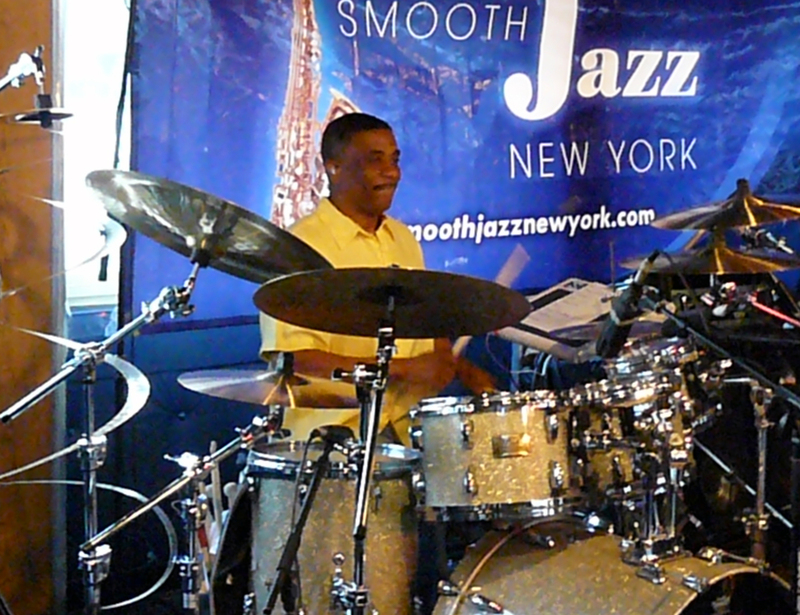 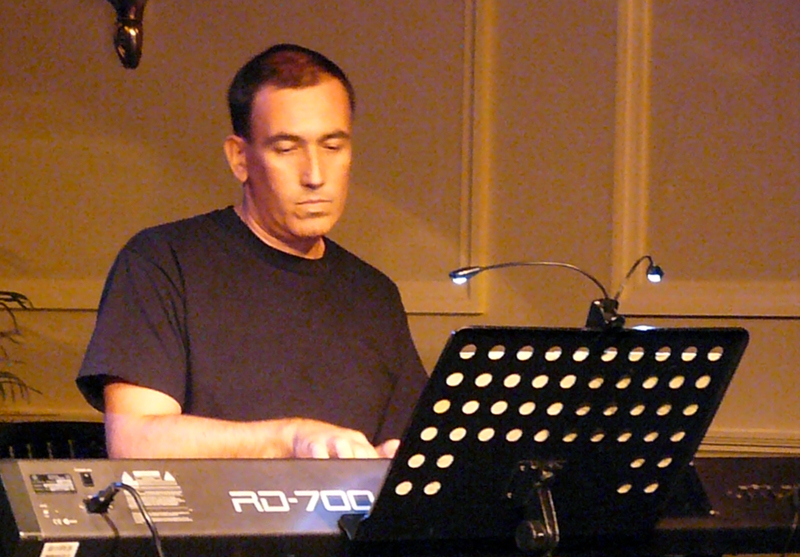 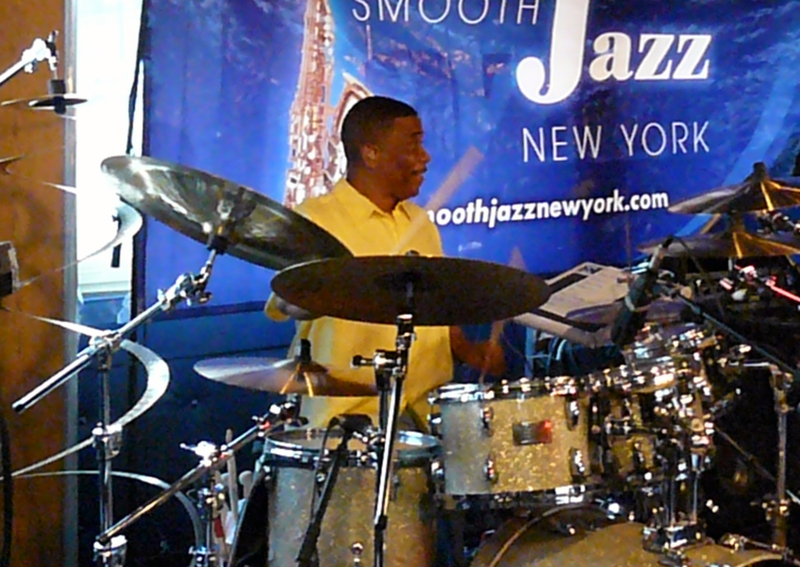 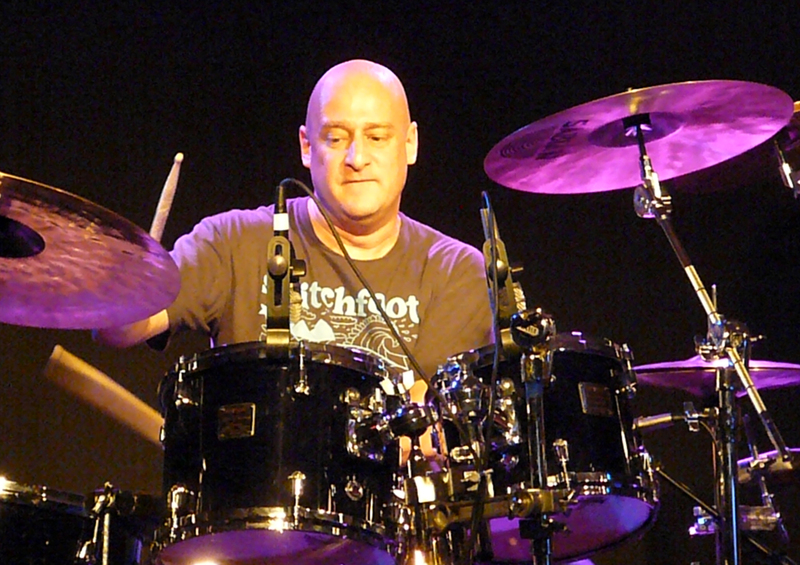 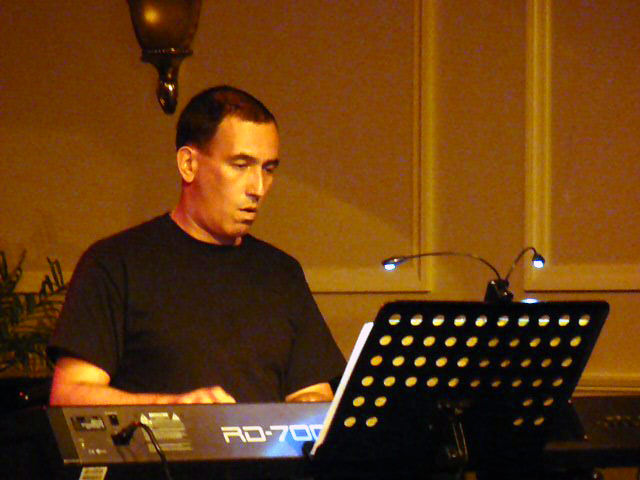 Posted by Mike C. in Jazz, Music, Personal, Travel, Weather. 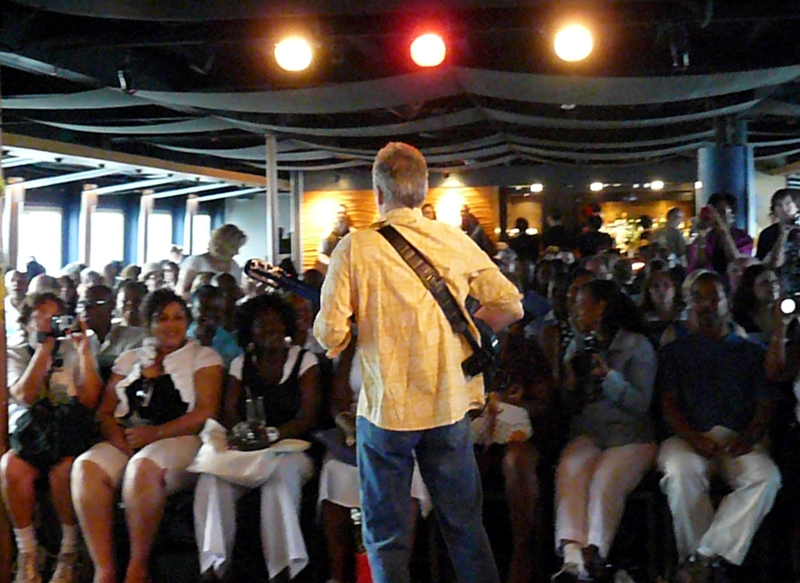 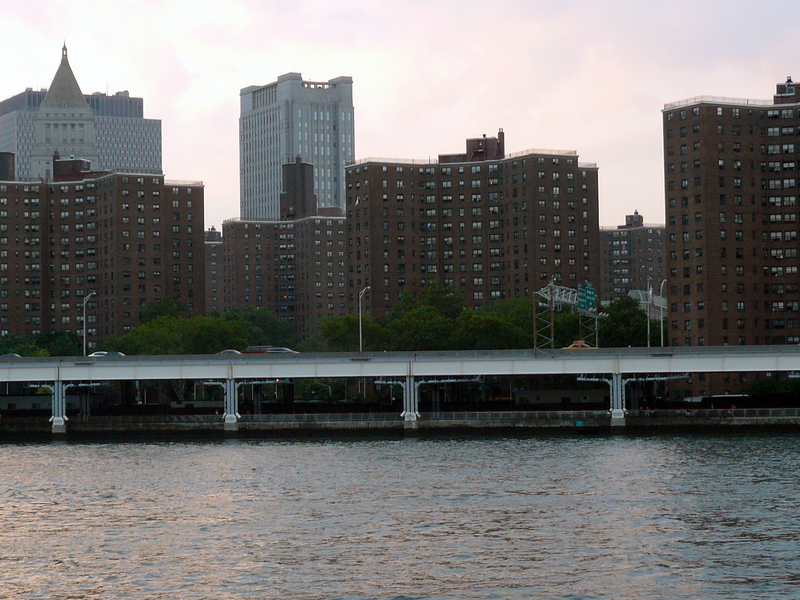 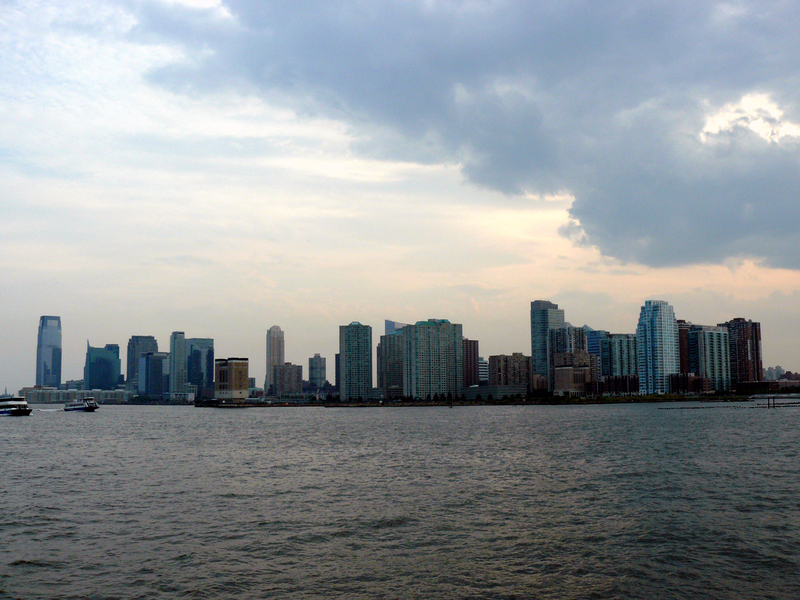 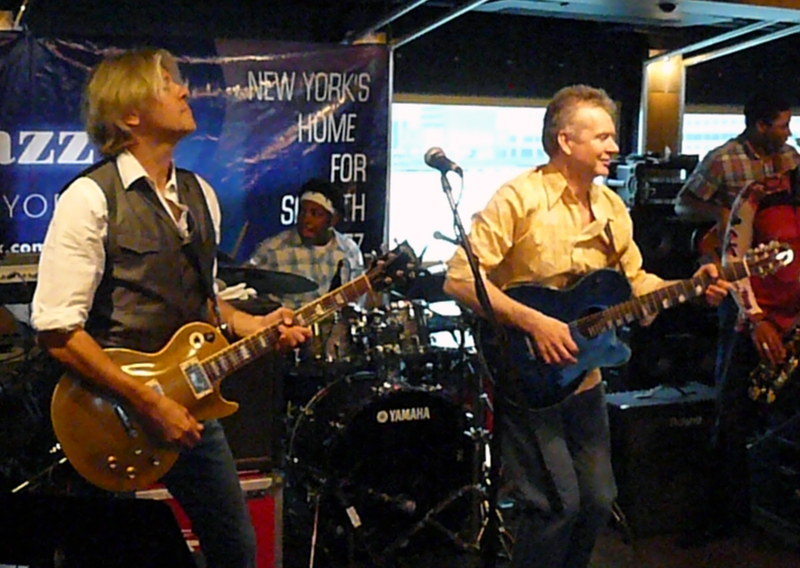 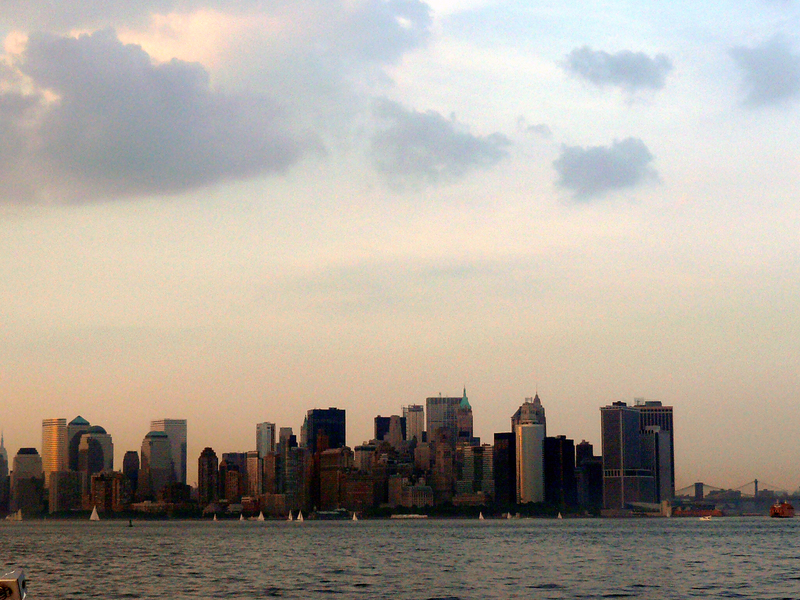 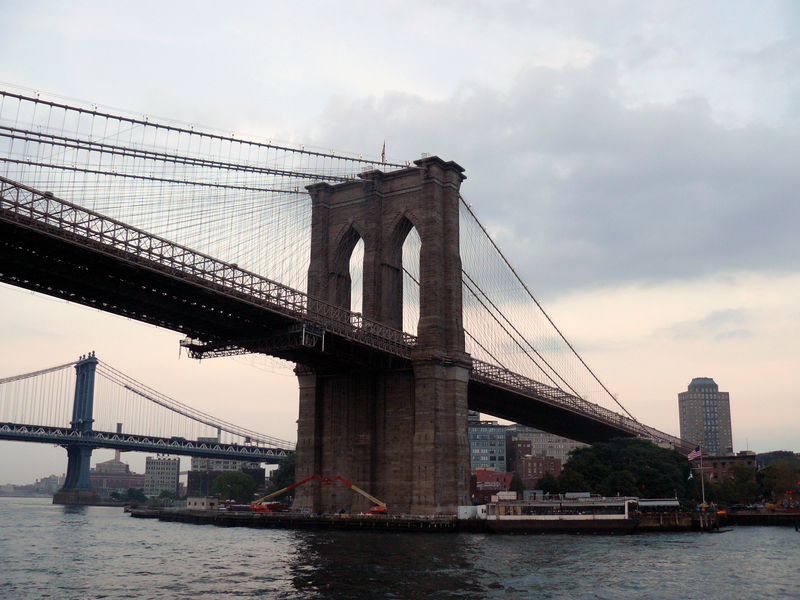 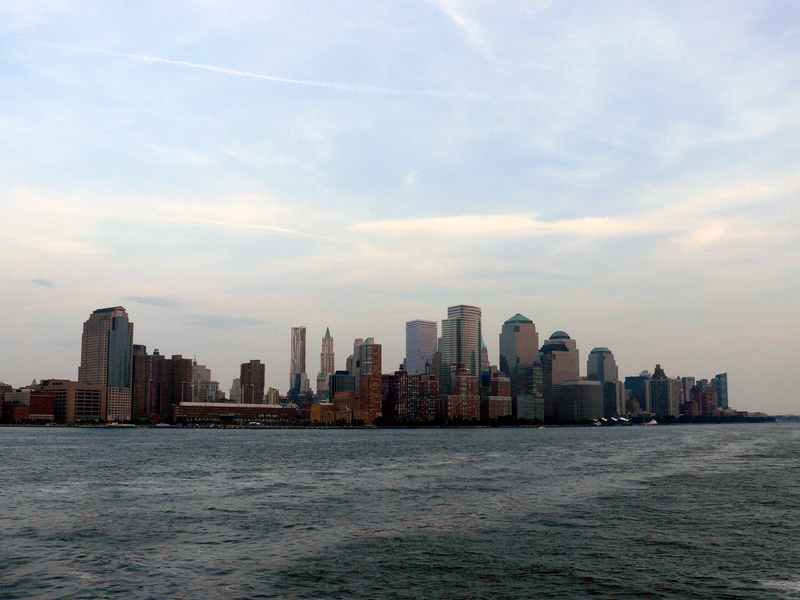 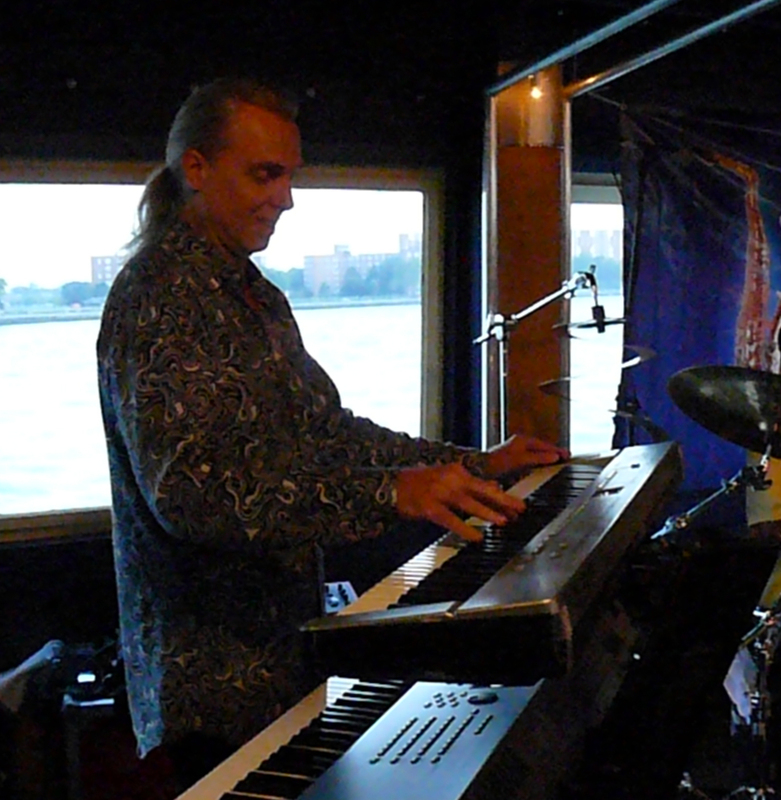 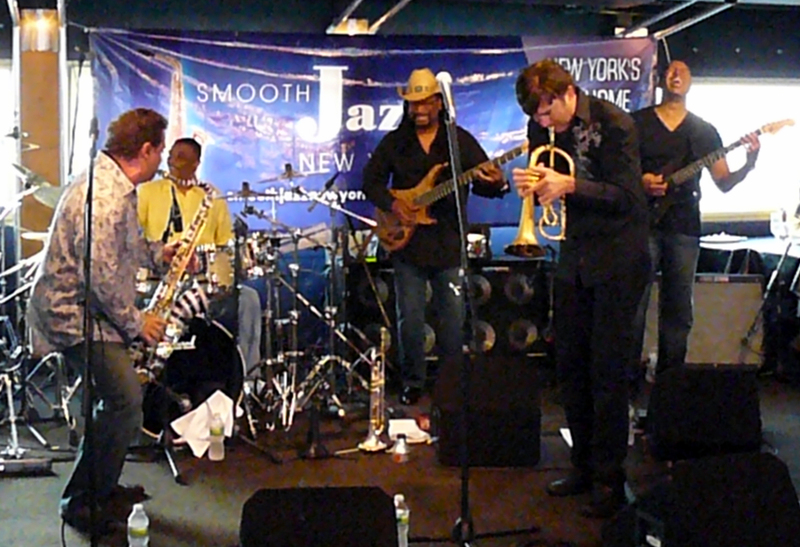 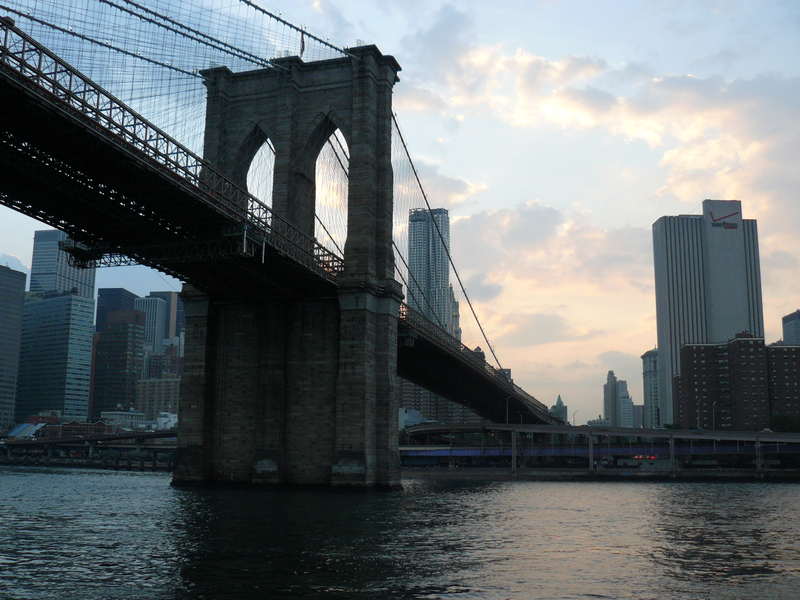 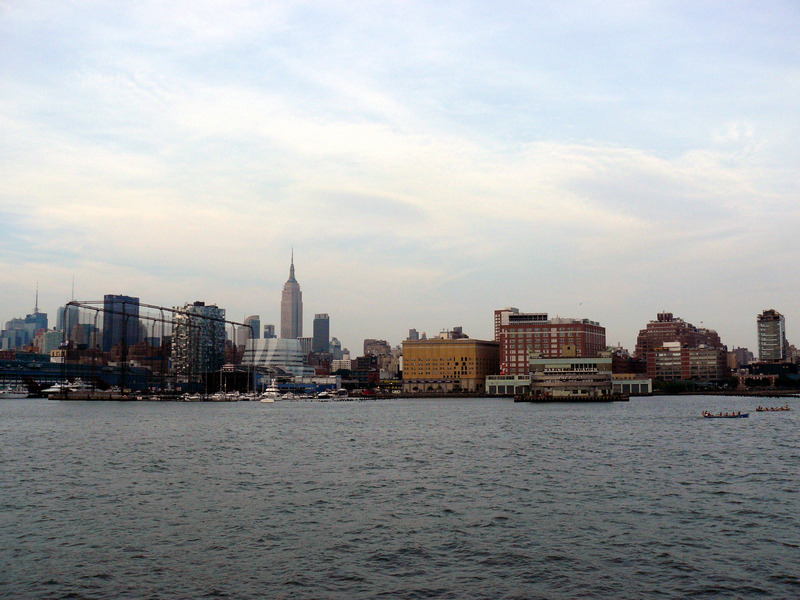 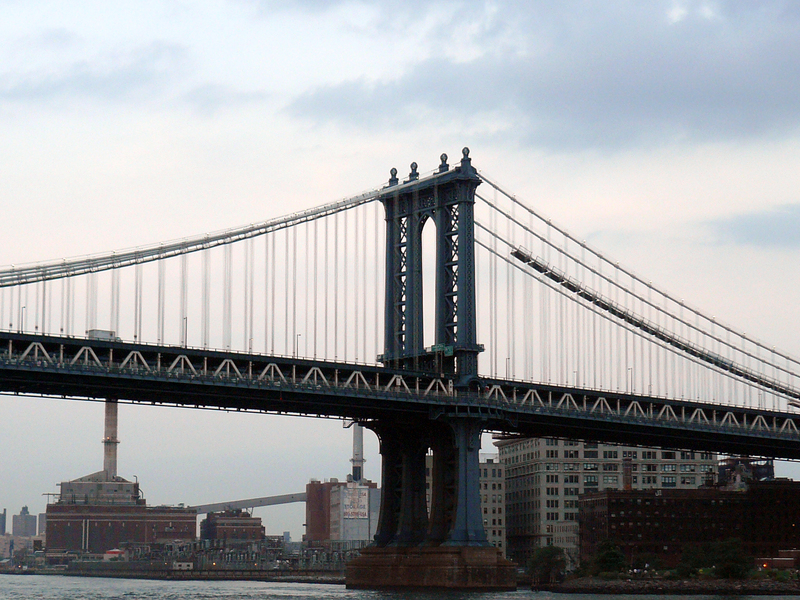 For the next two Wednesdays, I will be aboard the Spirit of New York for the sunset (6:30 PM) Smooth Cruise. 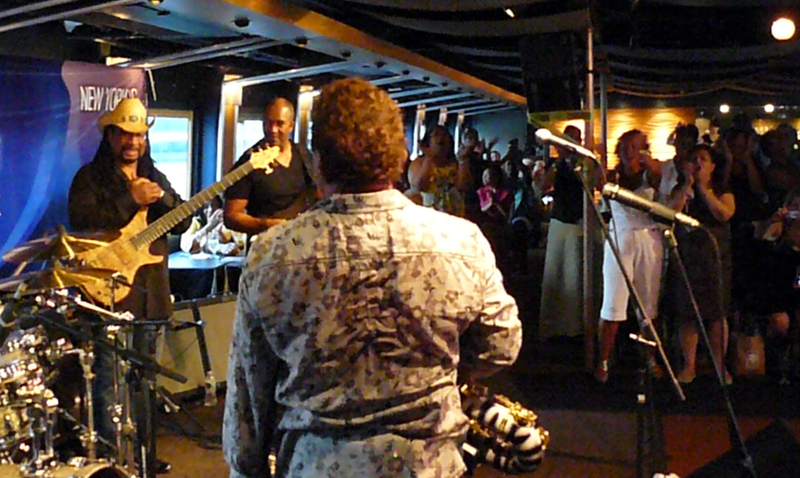 This will be my third year aboard. 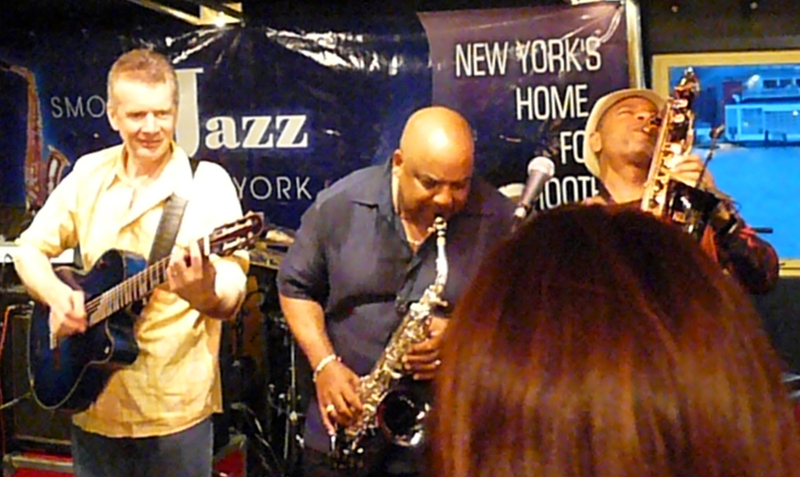 In 2008, I saw Spyro Gyra. 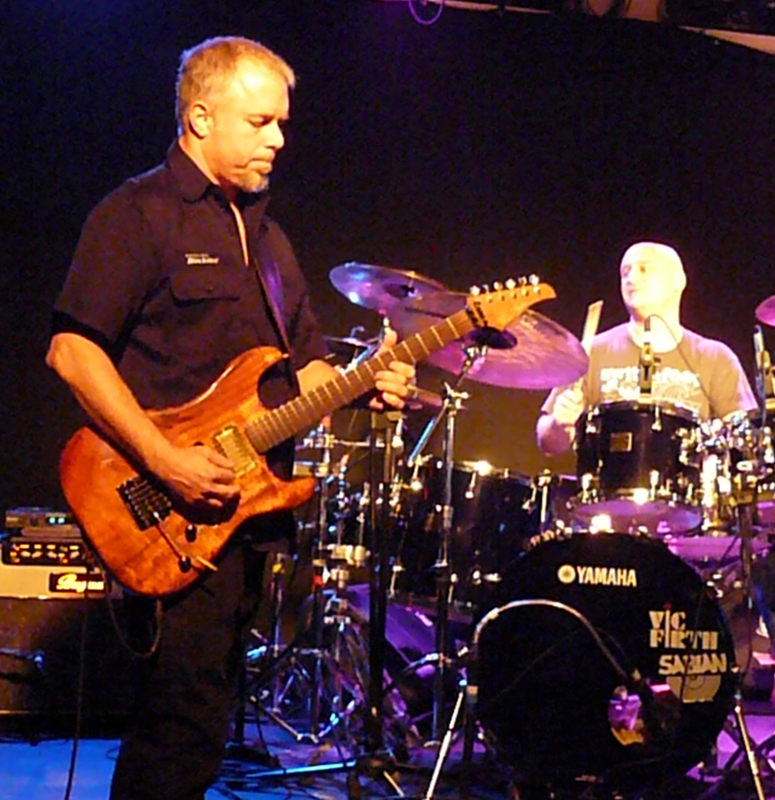 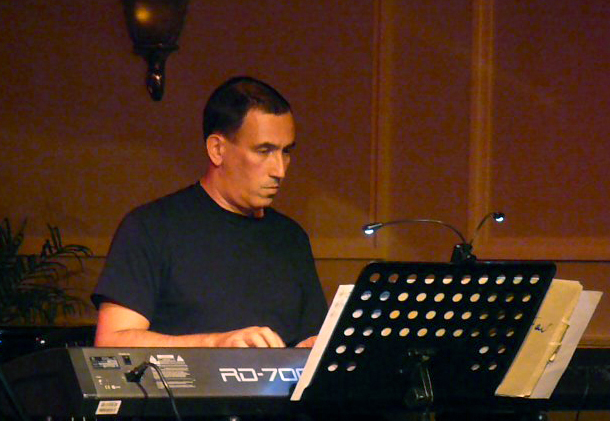 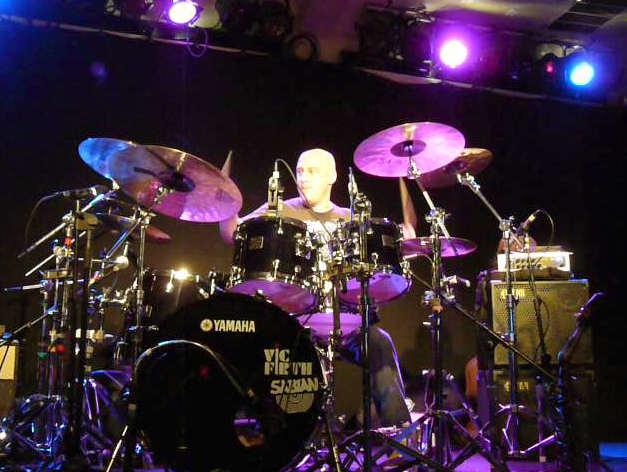 In 2009, I caught the Rippingtons. 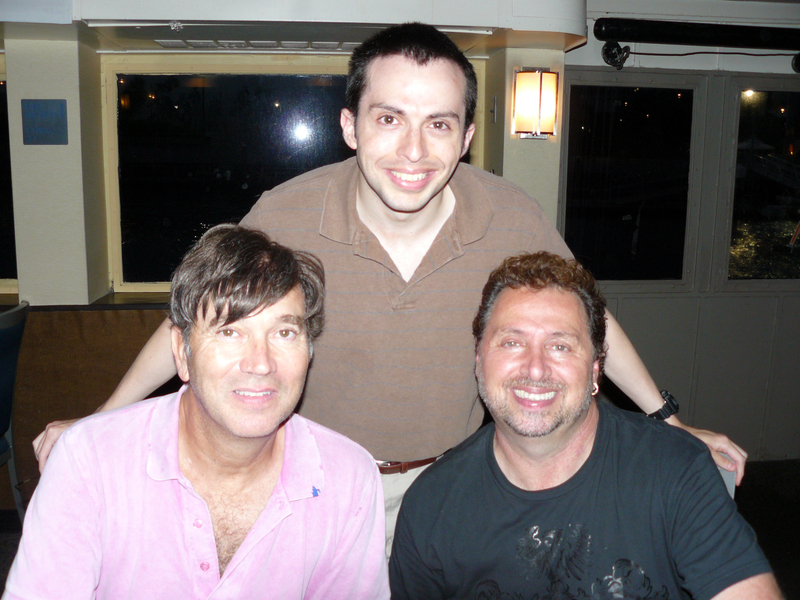 This week, I’ll be seeing RnR: Rick Braun and Richard Elliot. 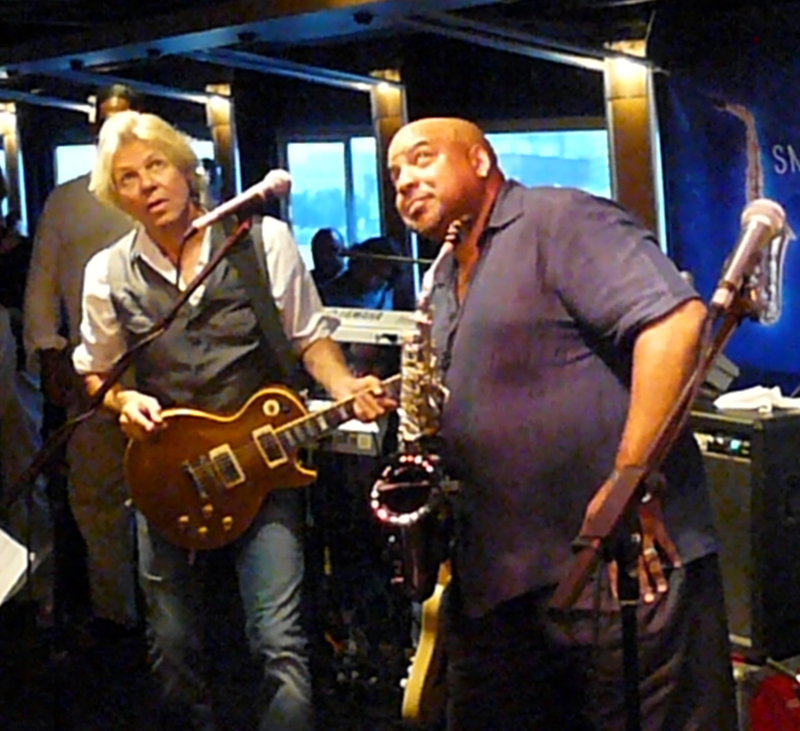 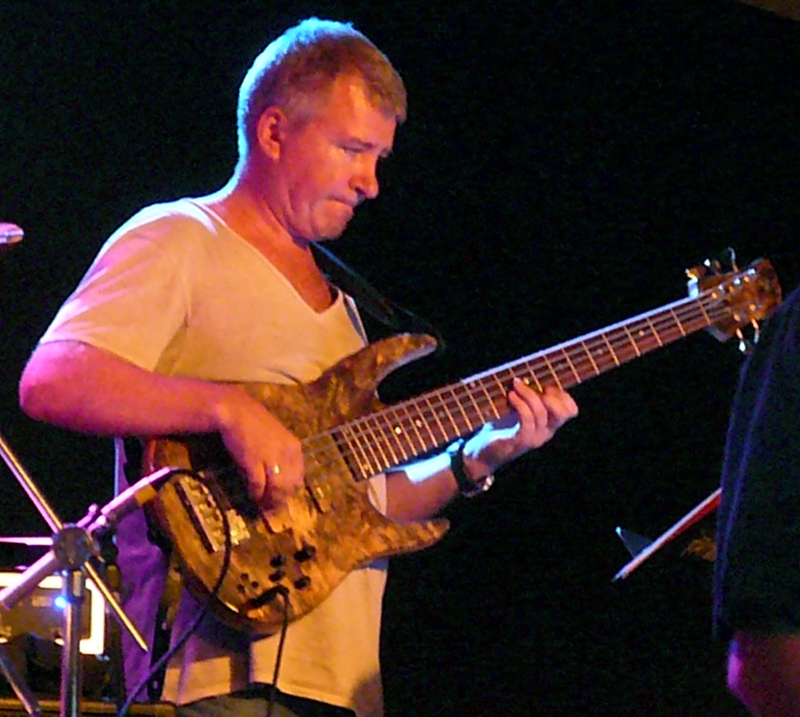 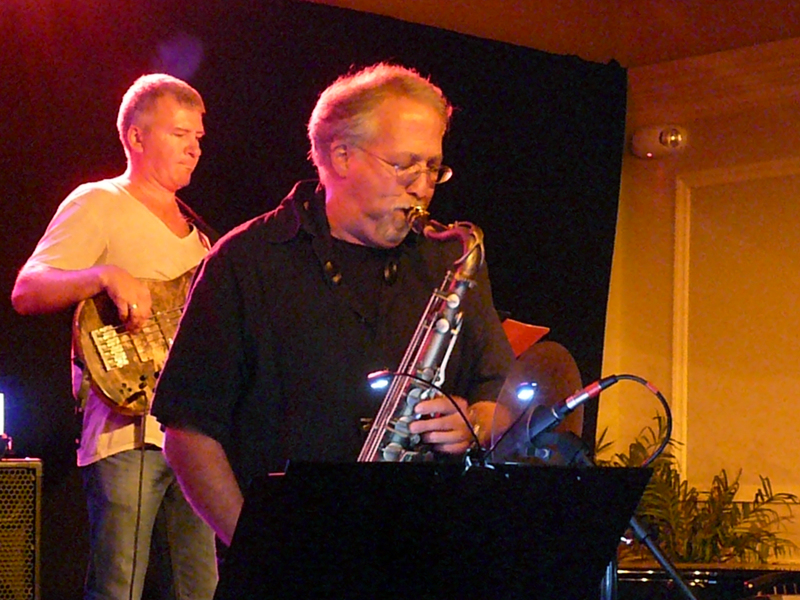 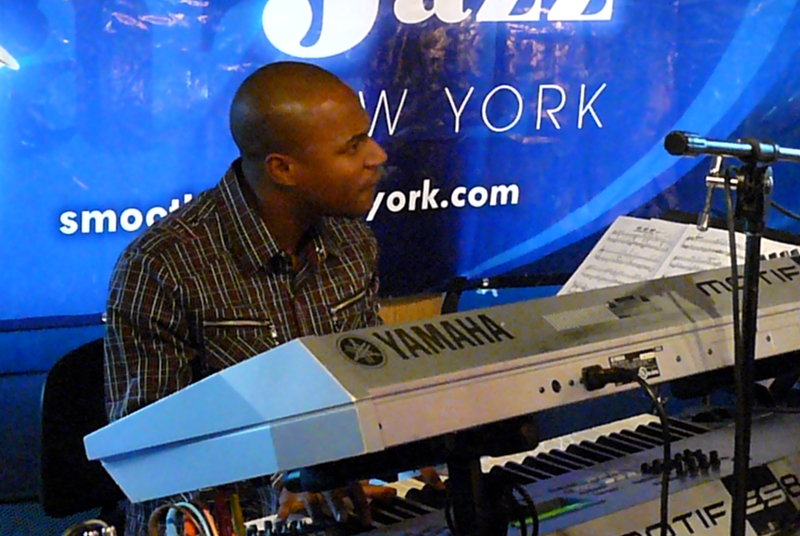 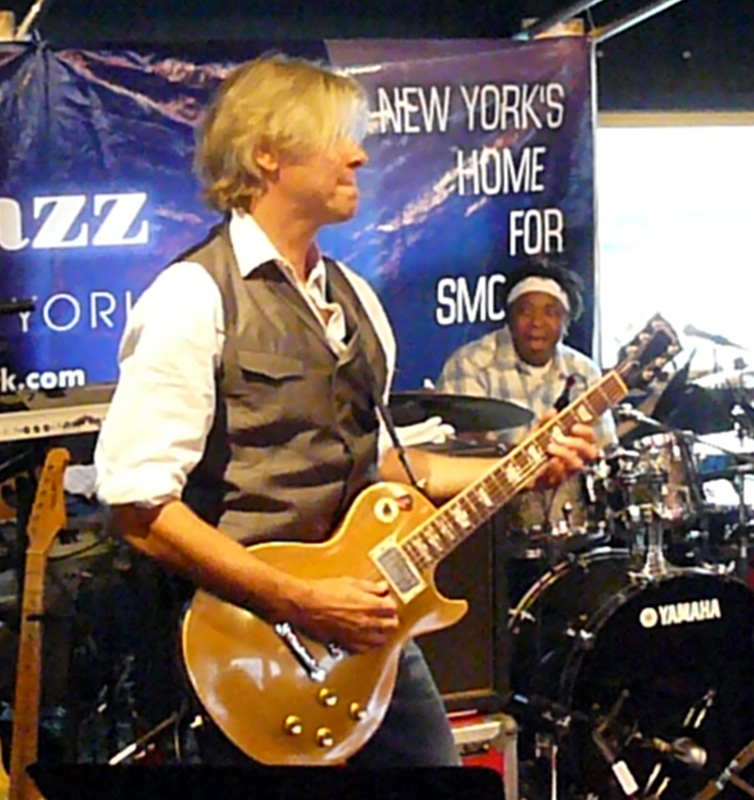 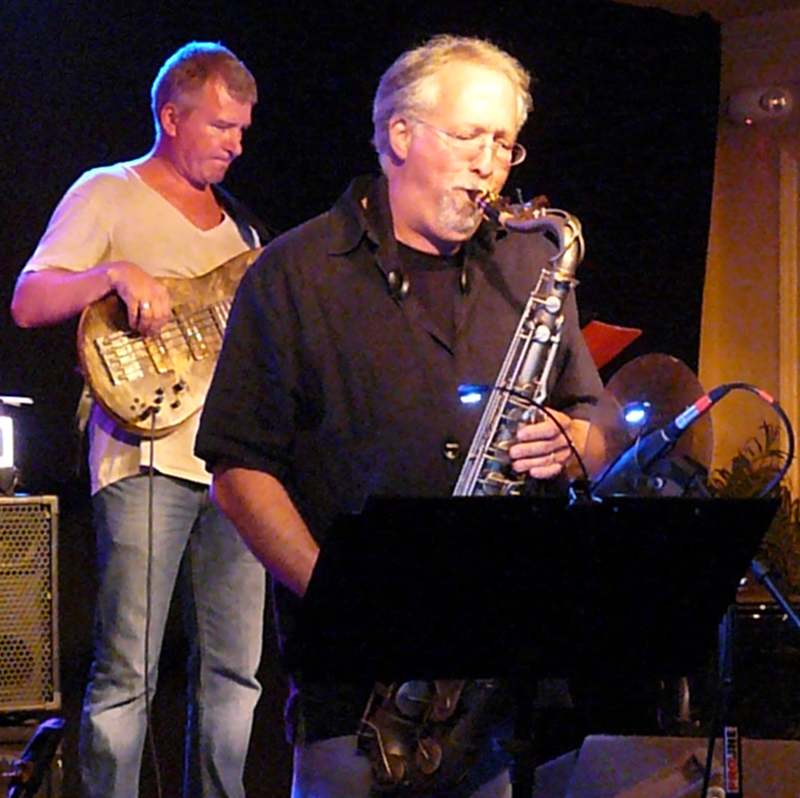 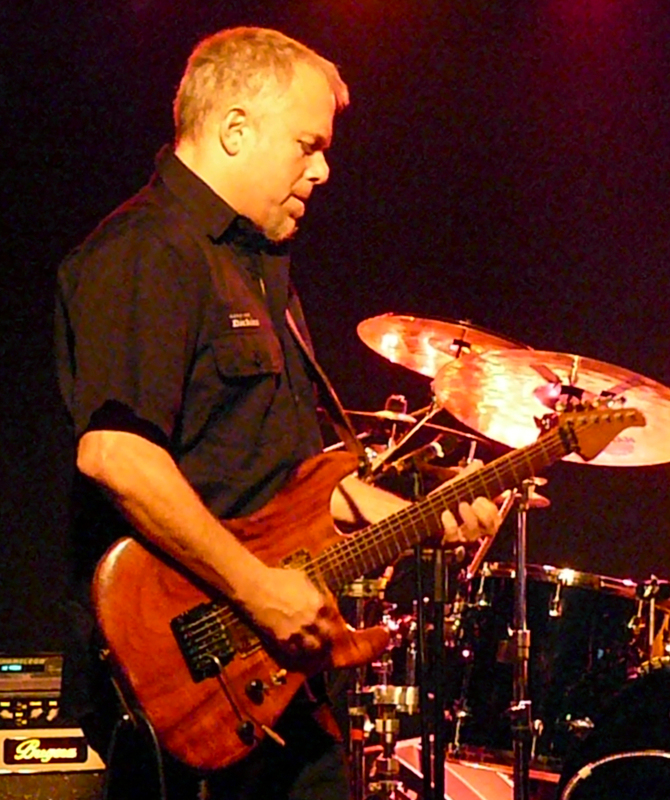 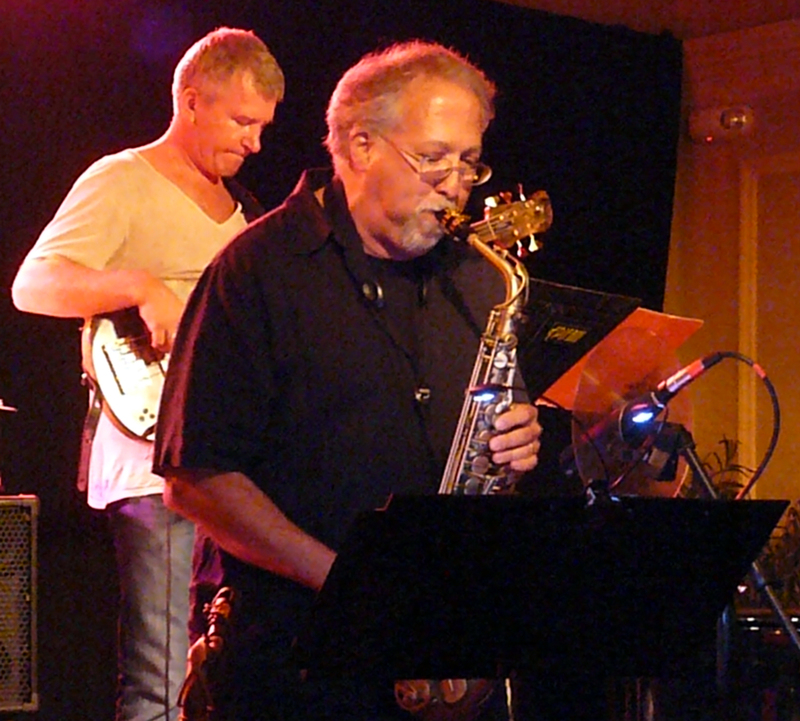 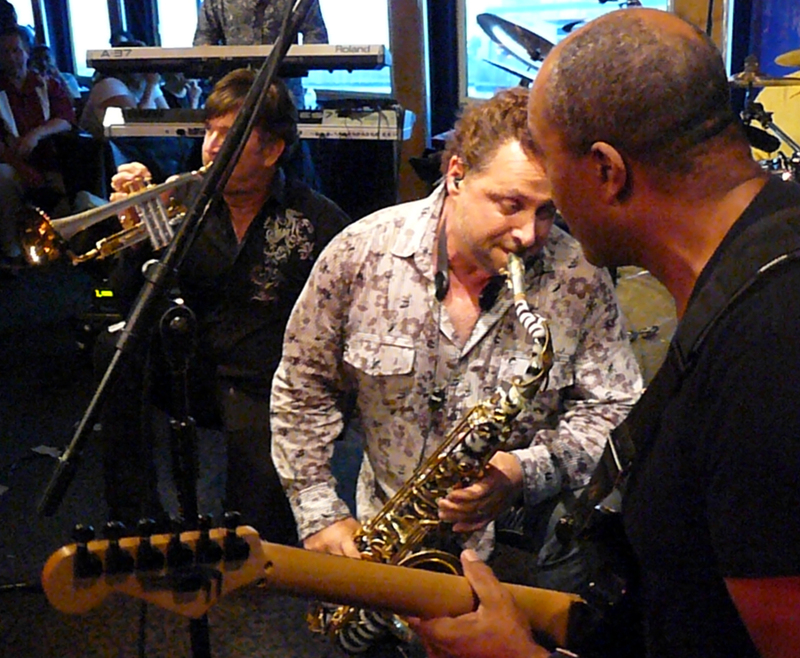 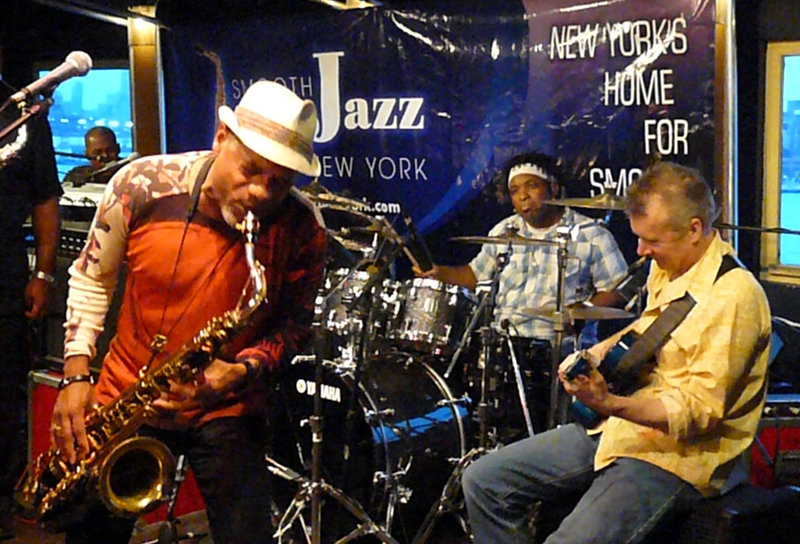 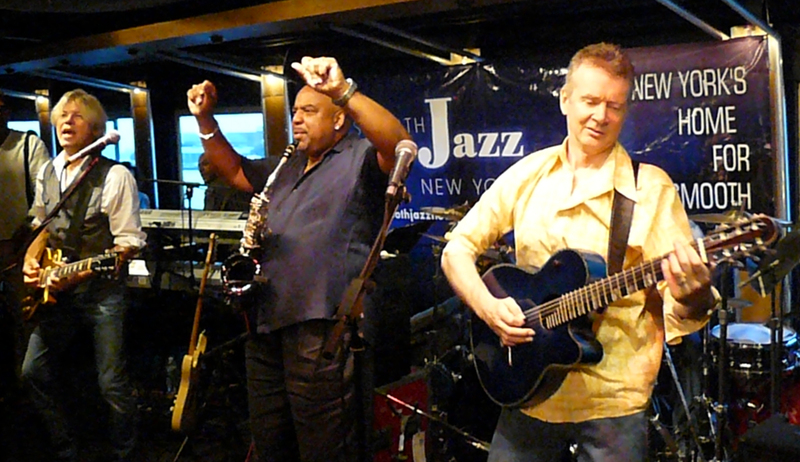 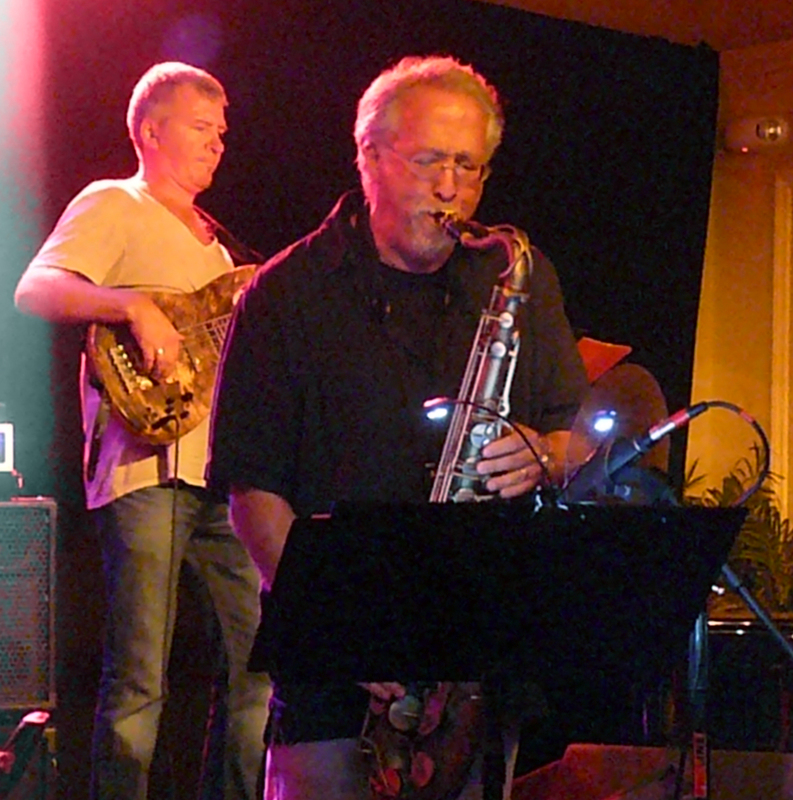 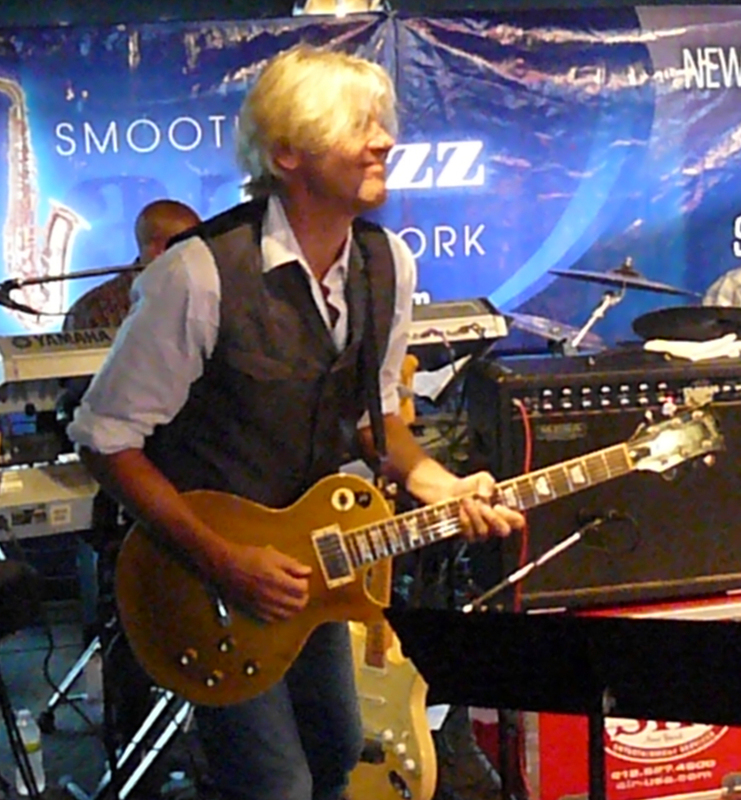 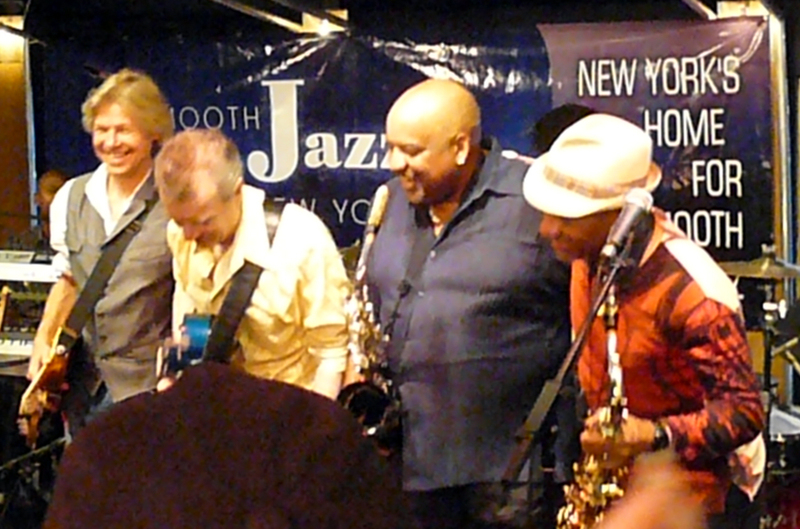 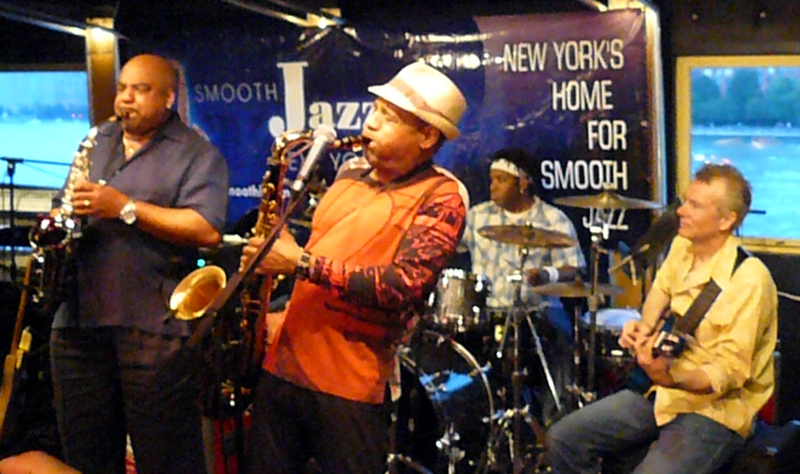 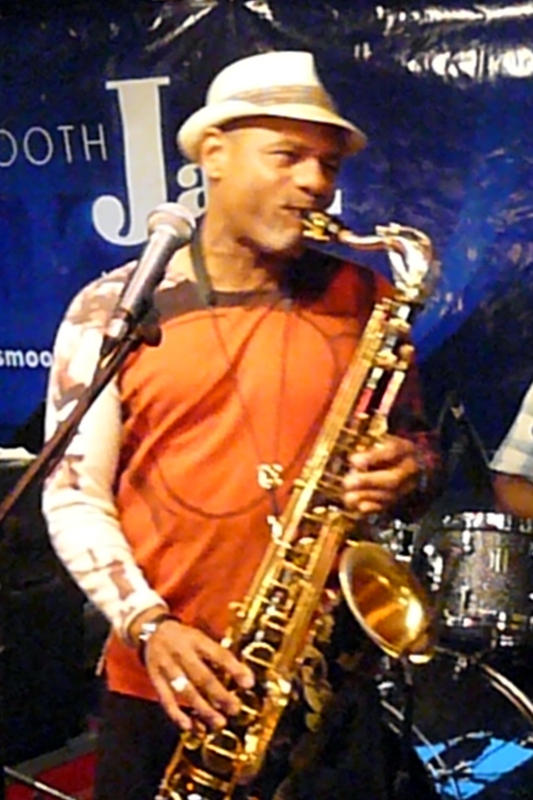 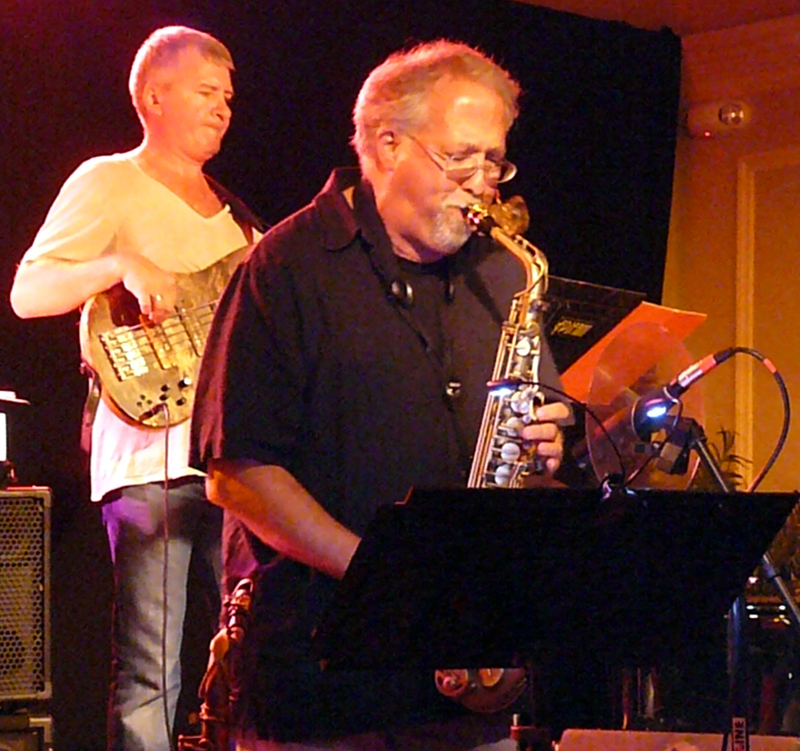 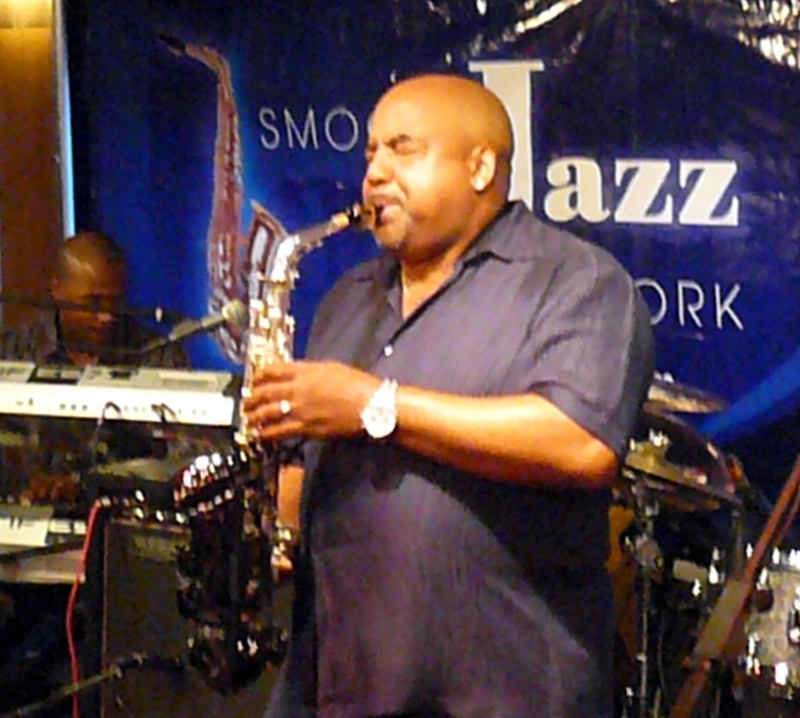 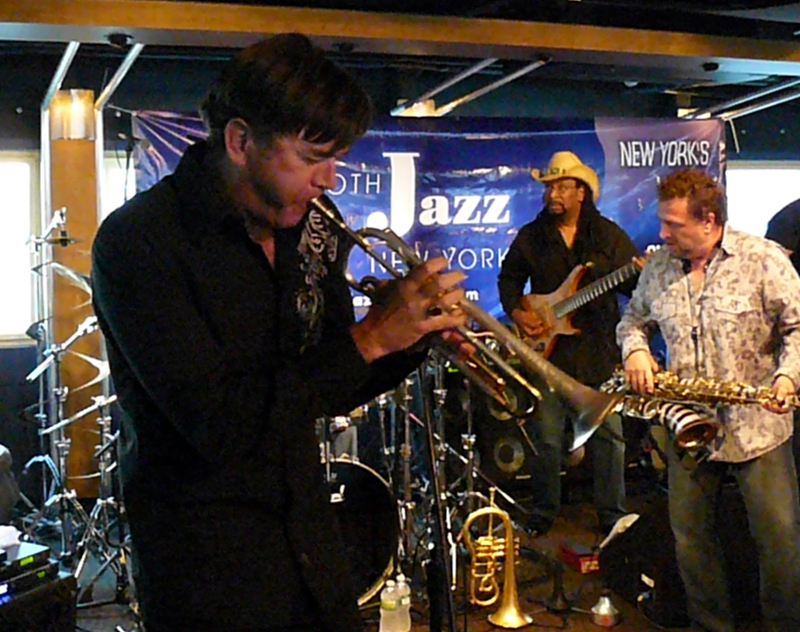 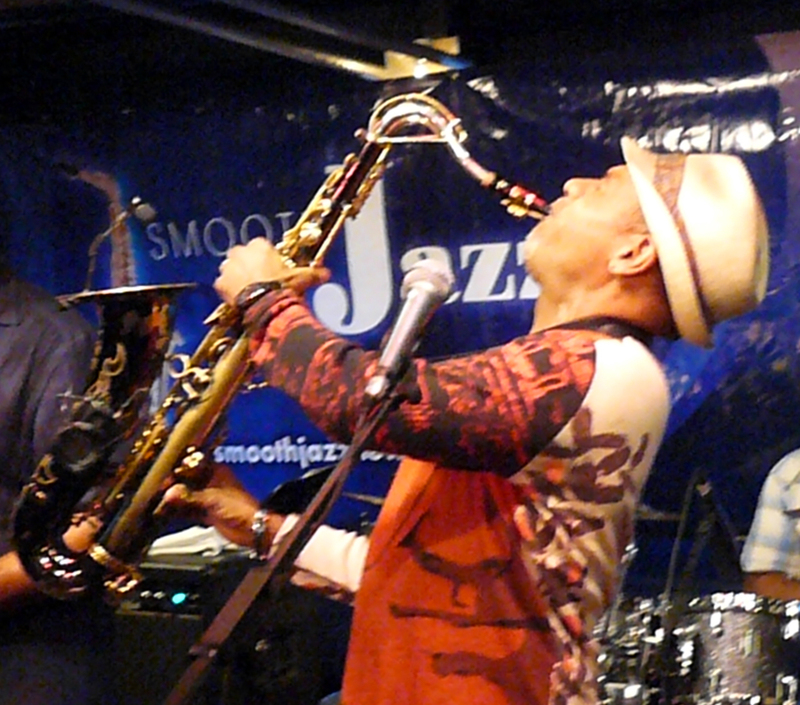 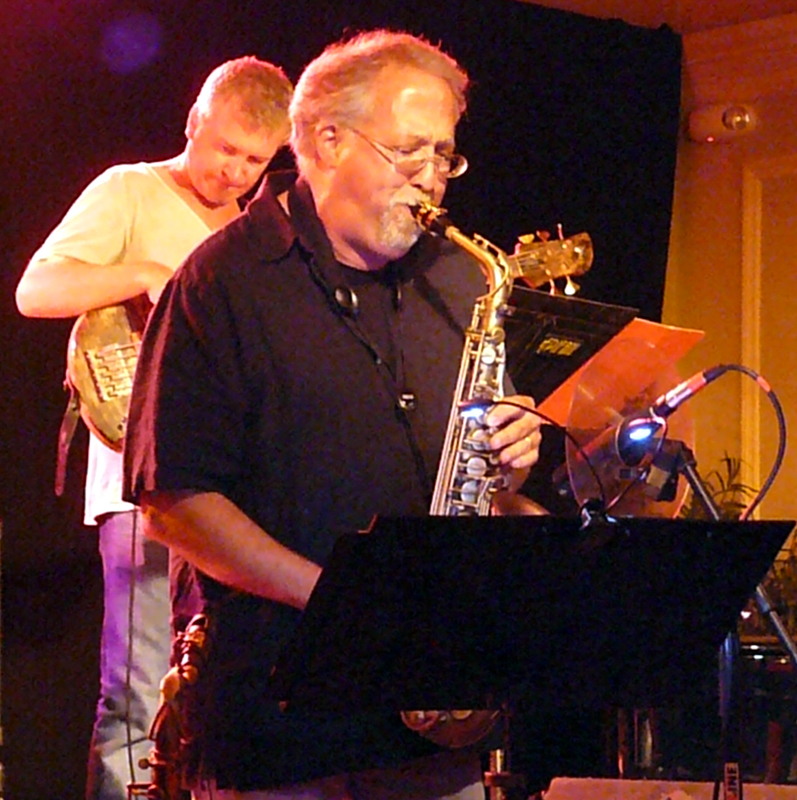 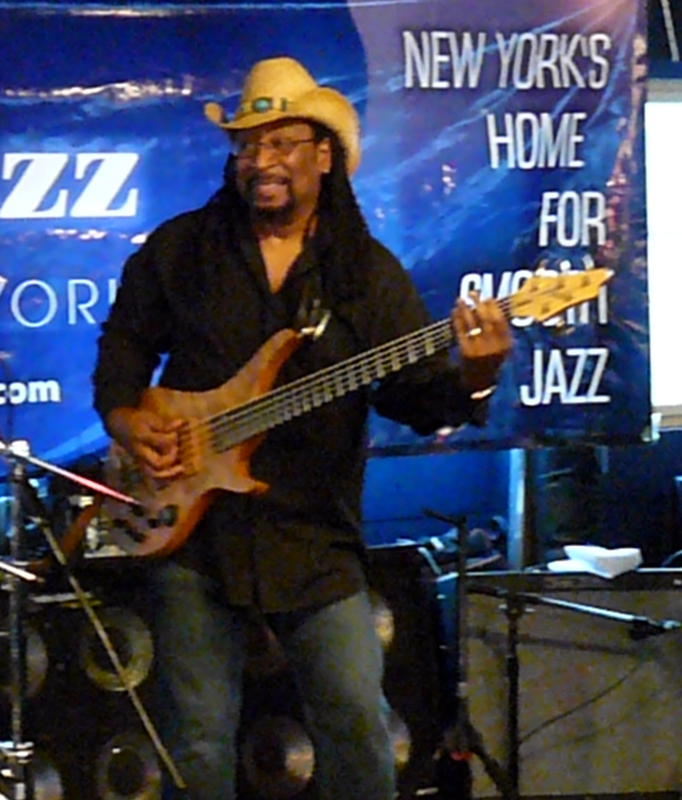 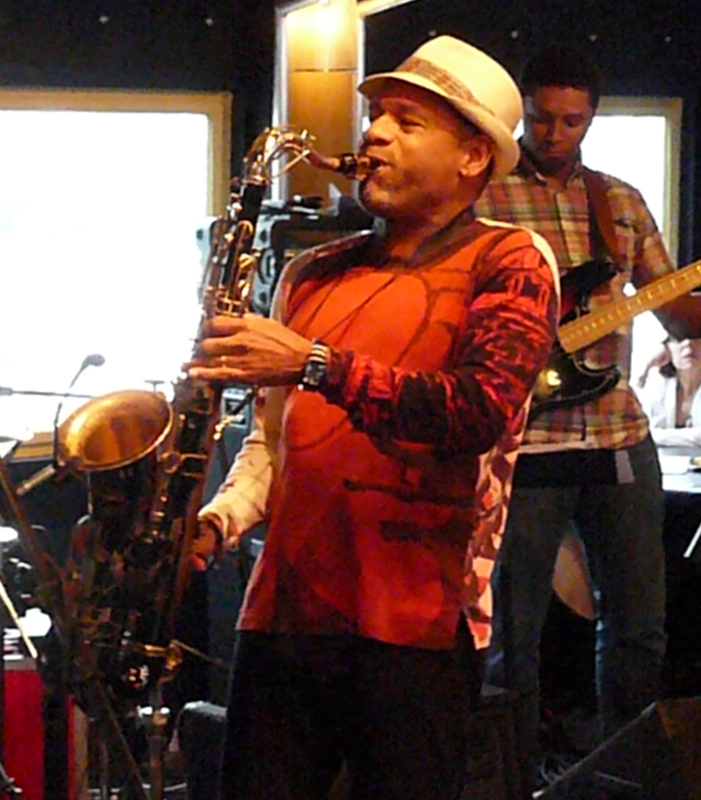 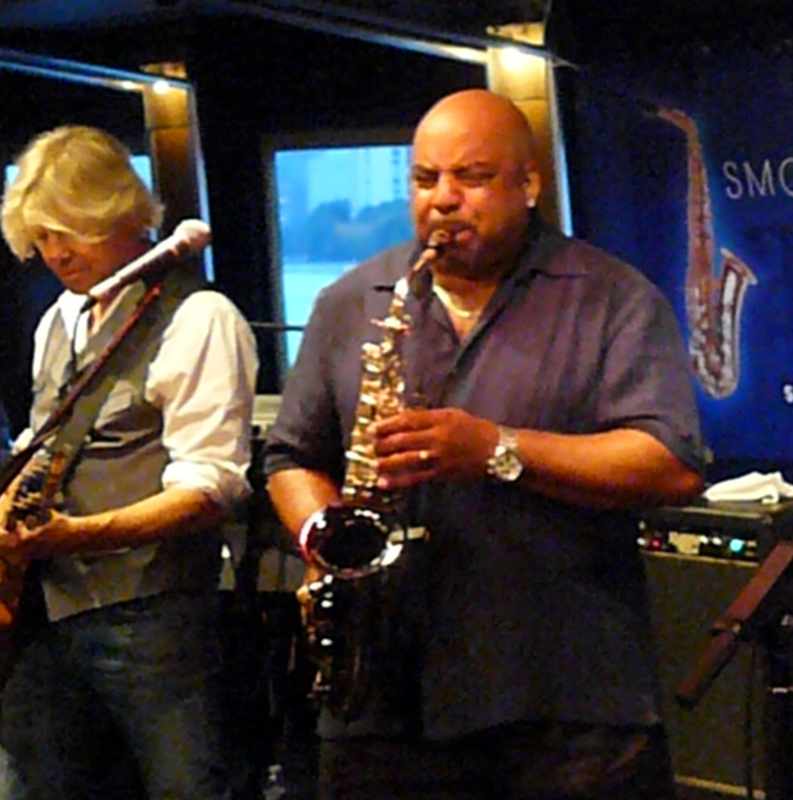 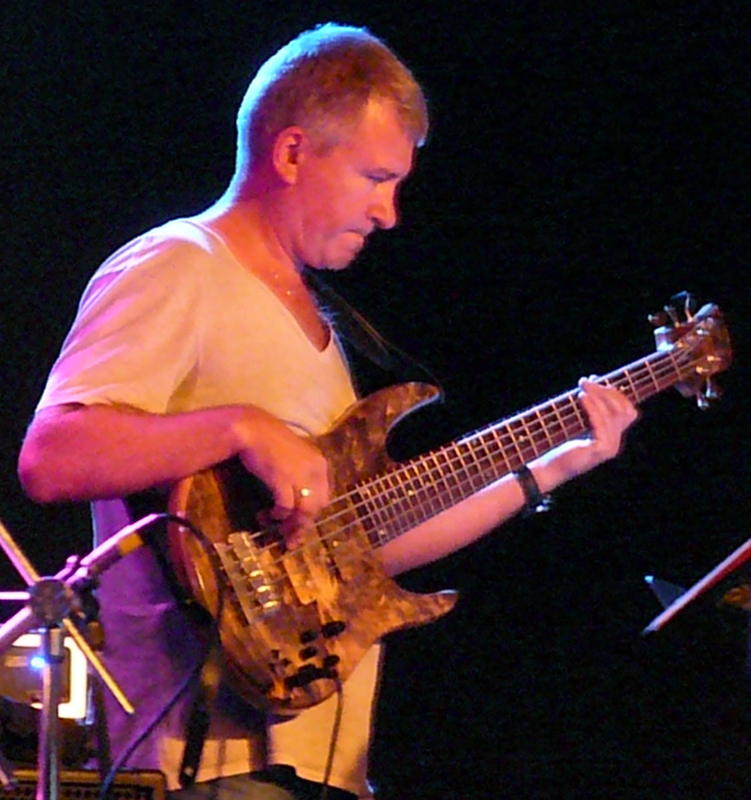 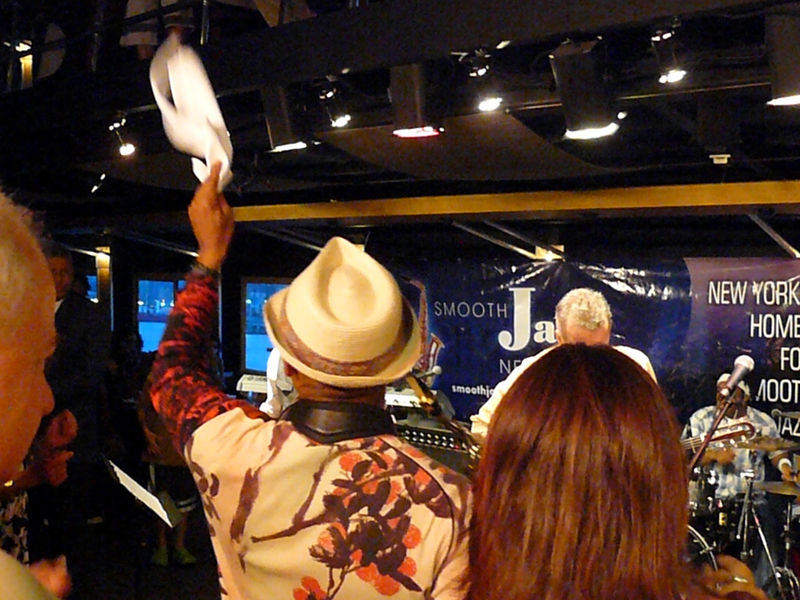 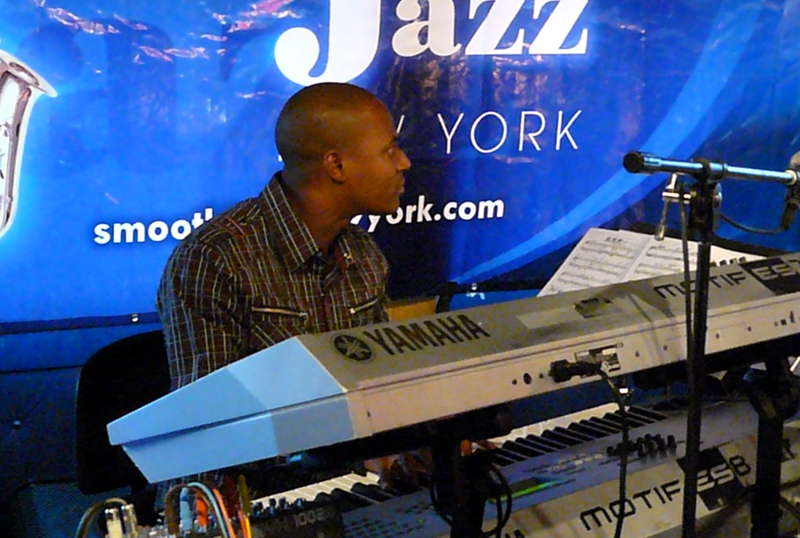 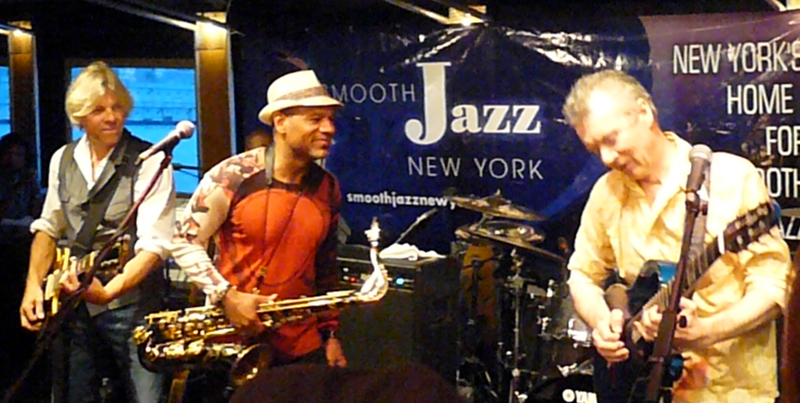 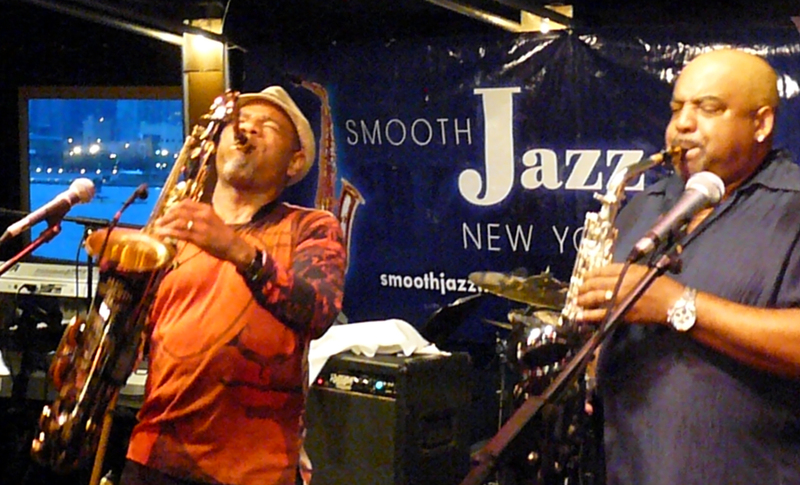 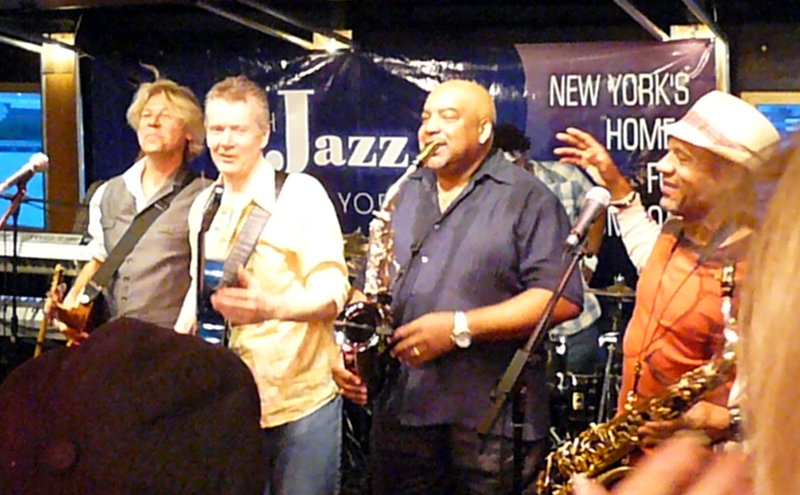 Next week, it’s Guitars and Saxes with Peter White, Jeff Golub, Gerald Albright, and Kirk Whalum. 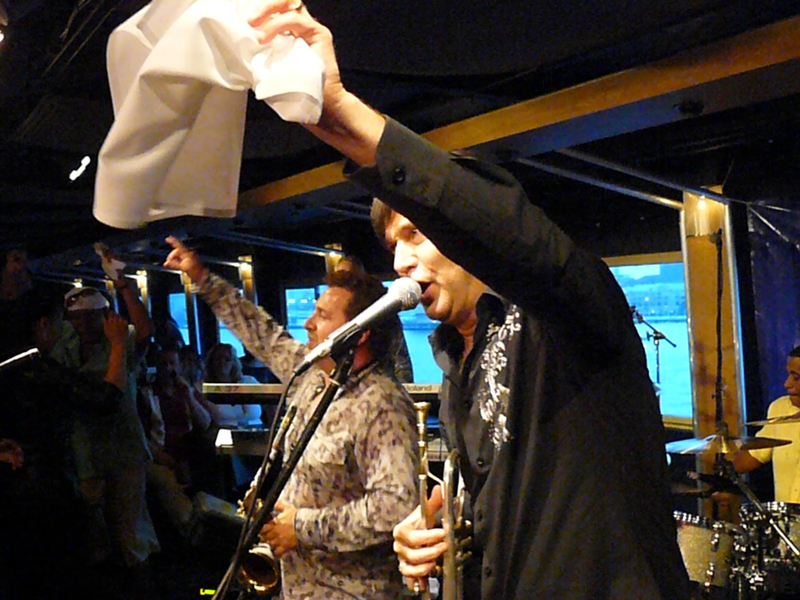 Photo recaps will be posted within a week (at the latest) after each cruise.